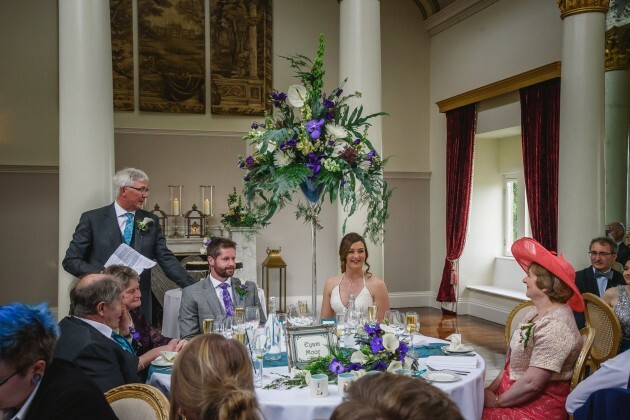 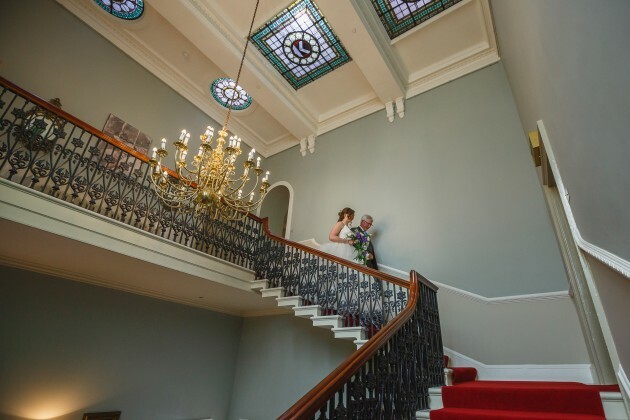 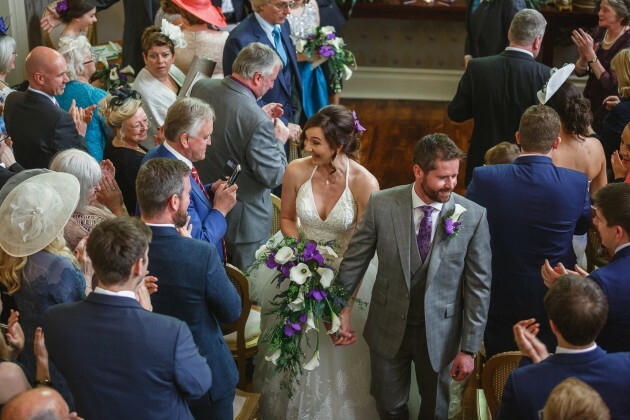 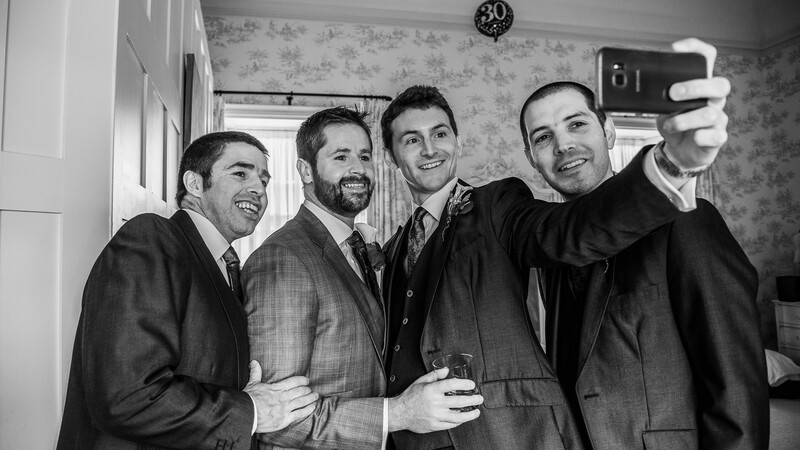 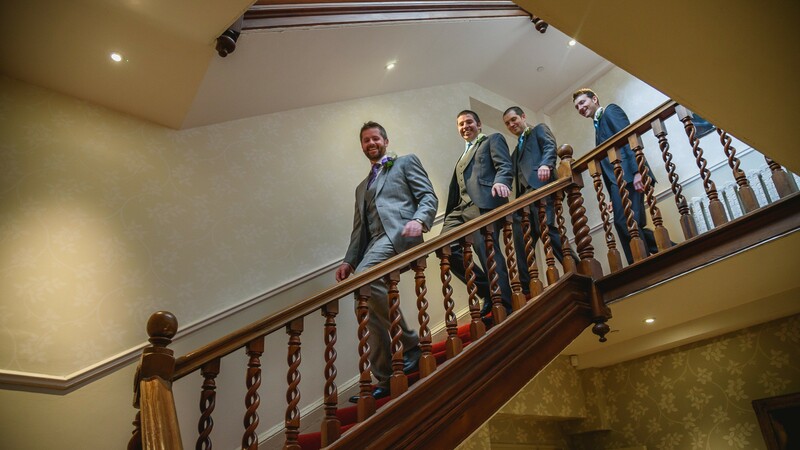 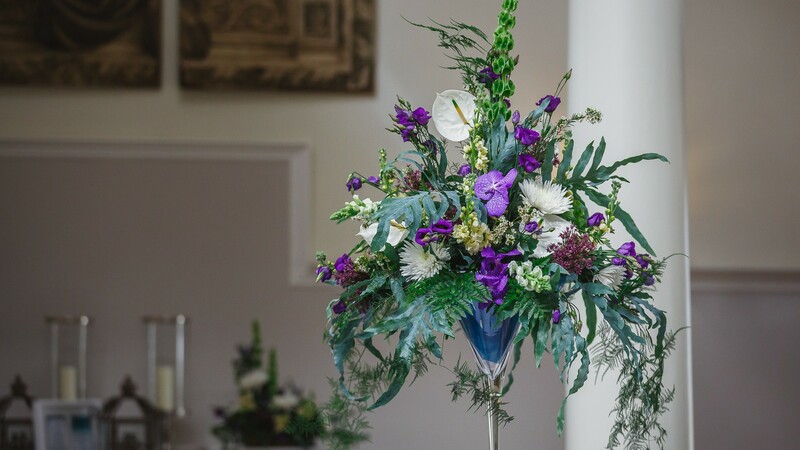 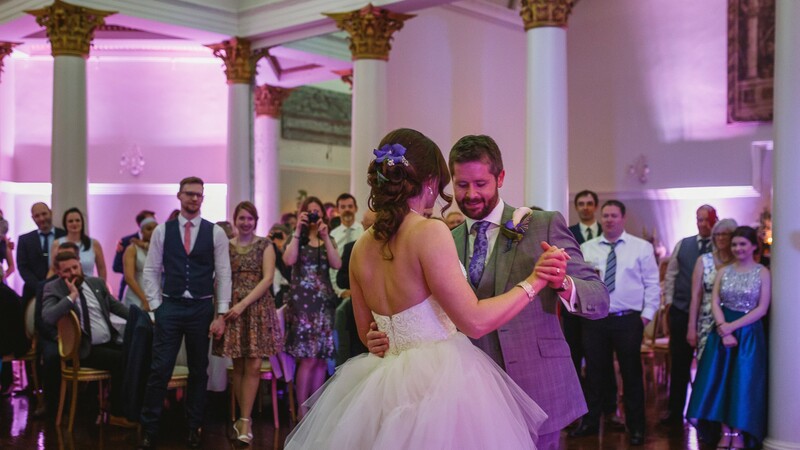 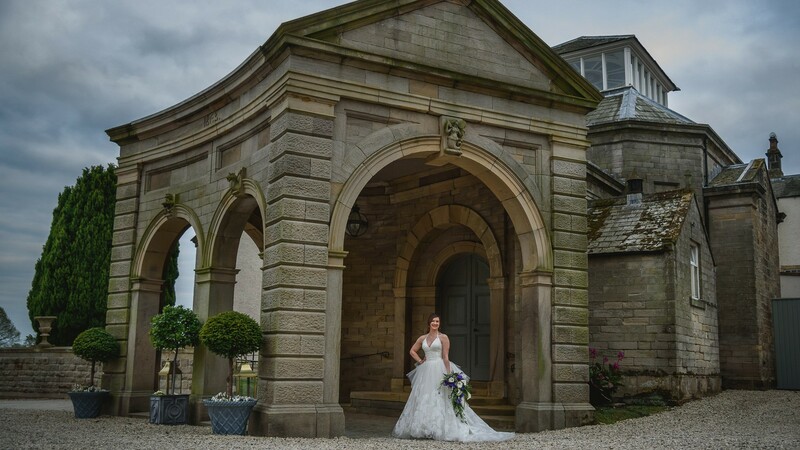 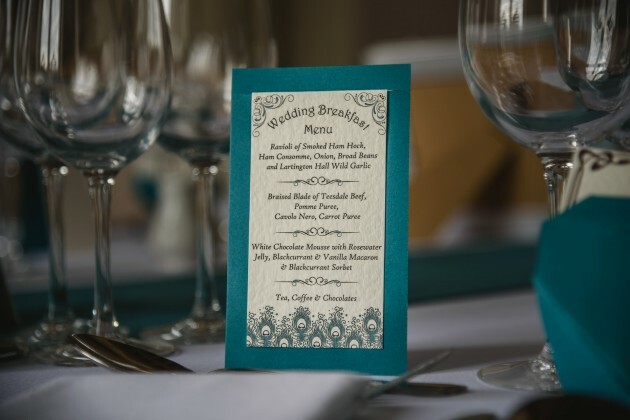 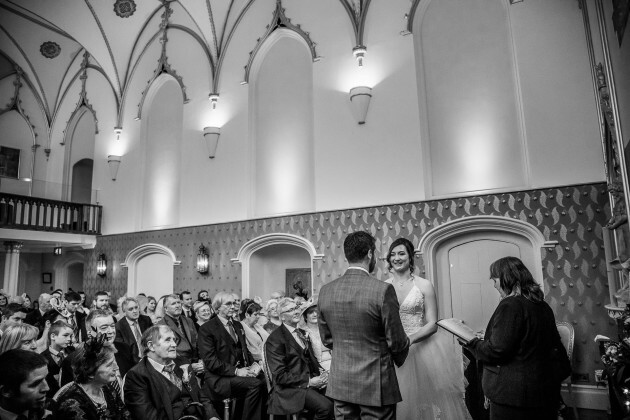 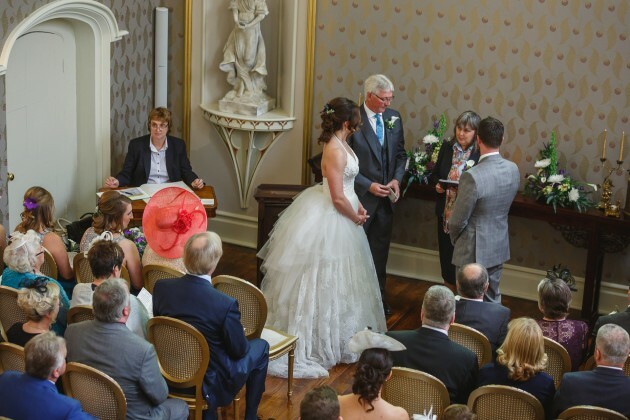 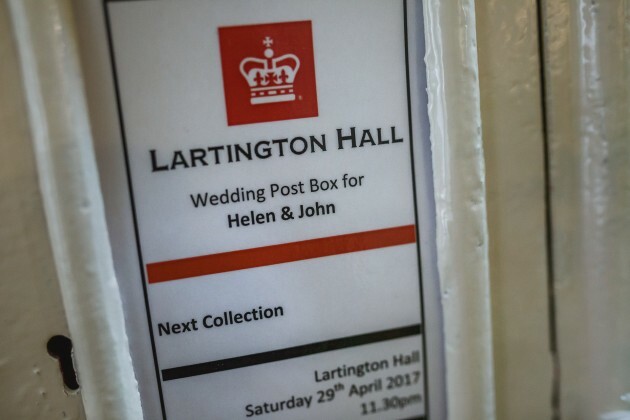 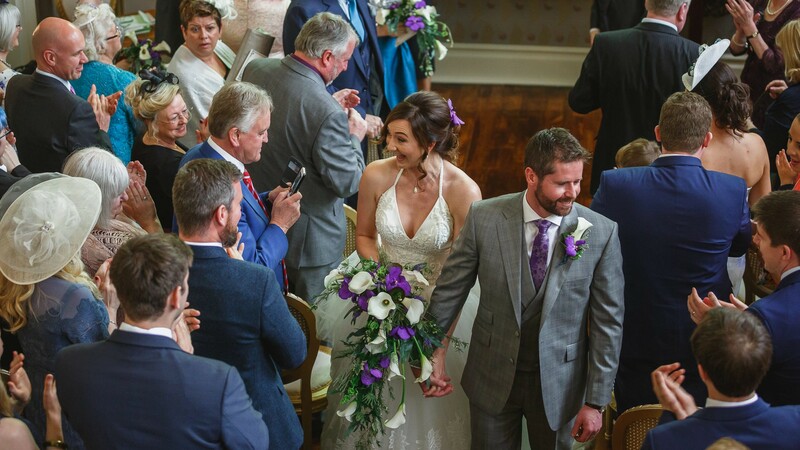 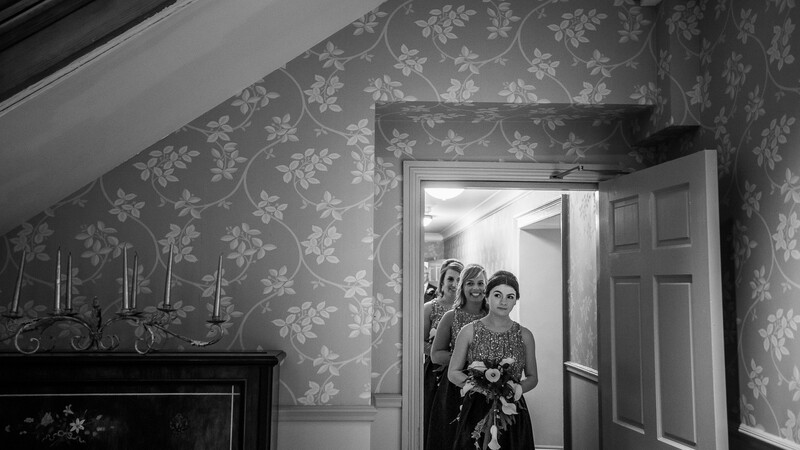 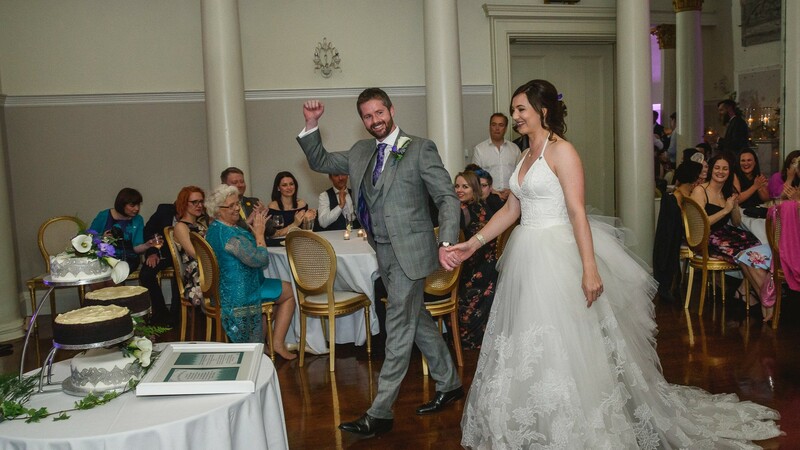 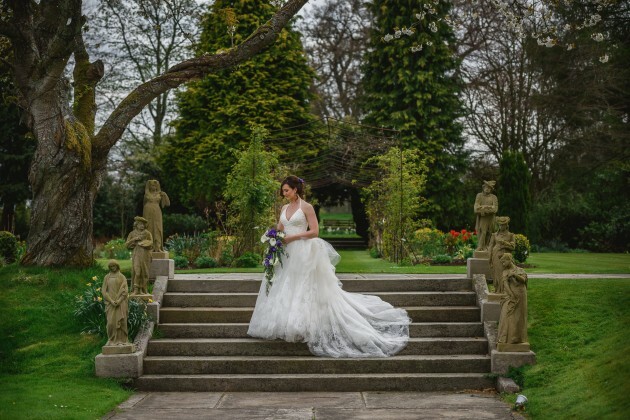 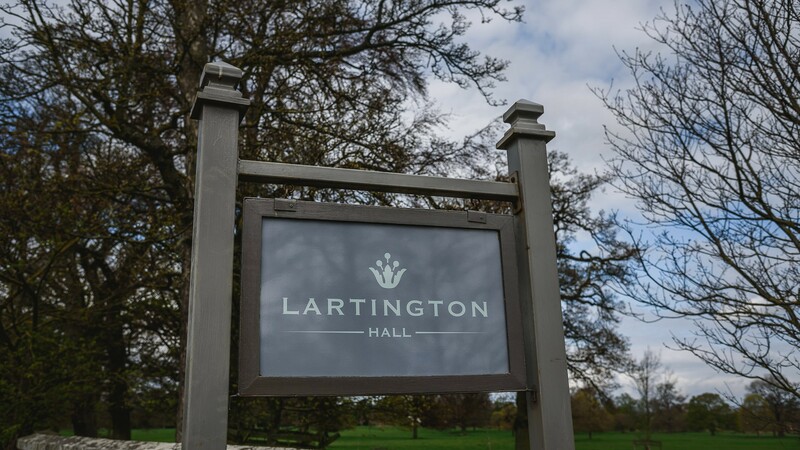 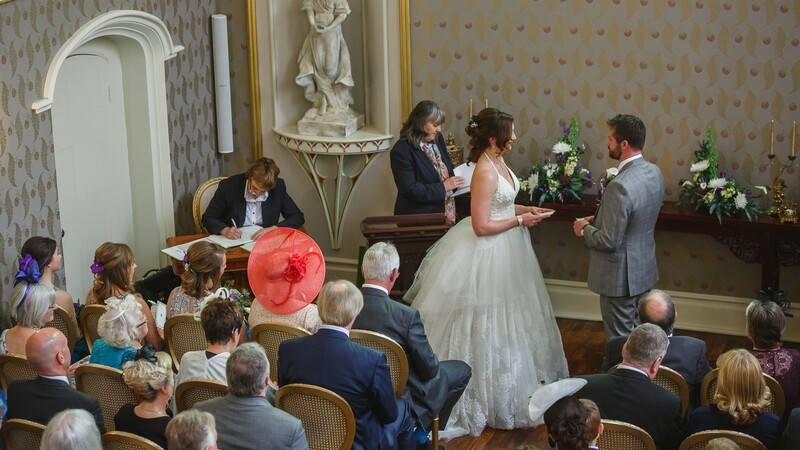 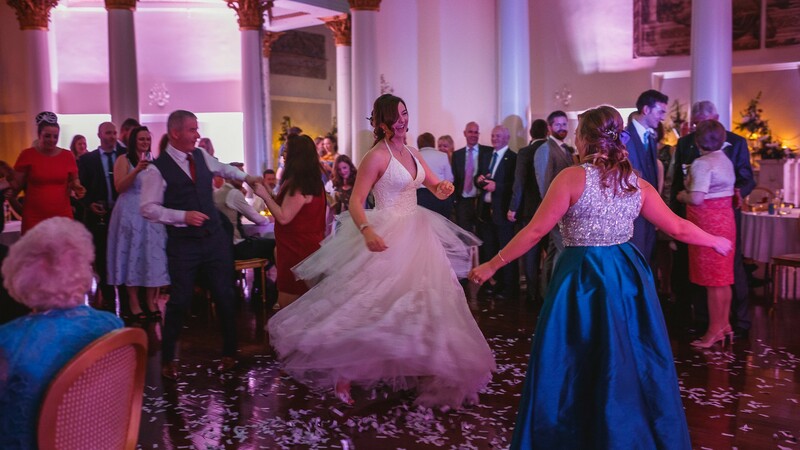 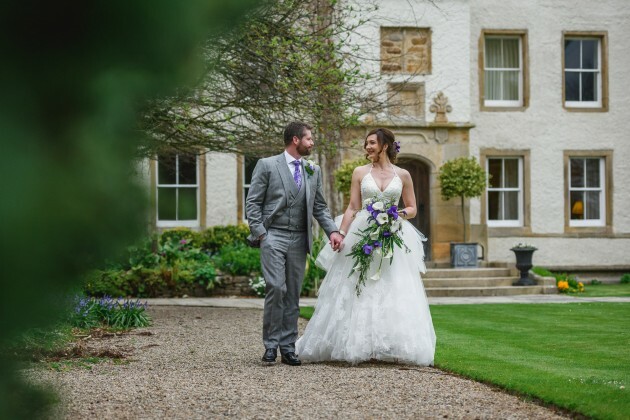 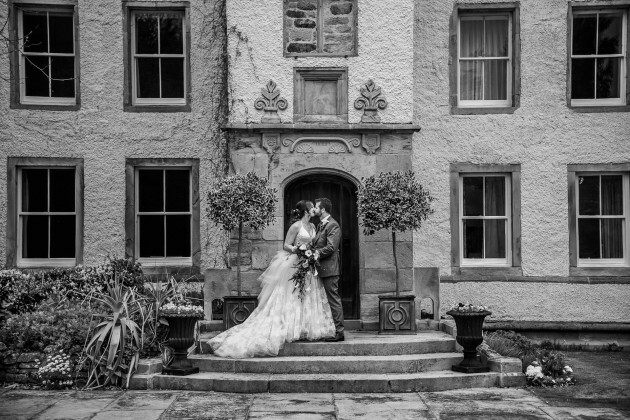 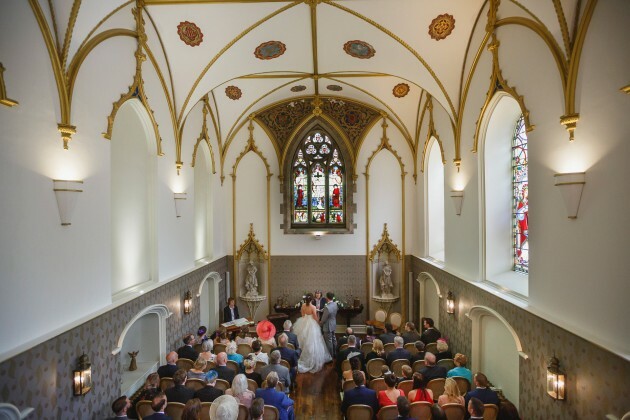 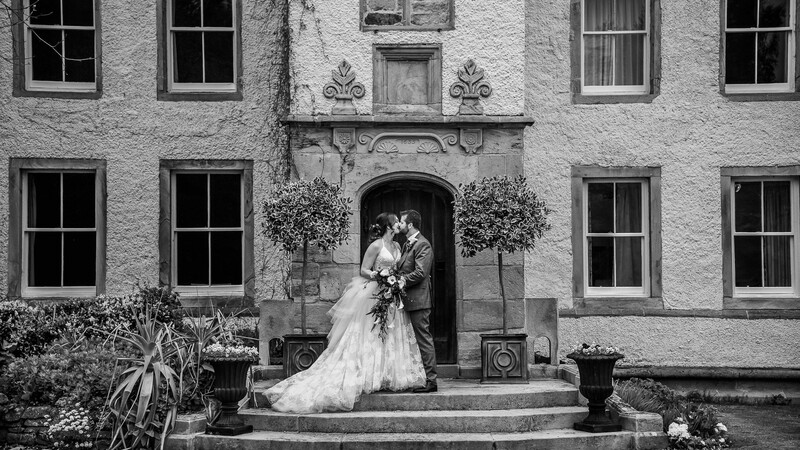 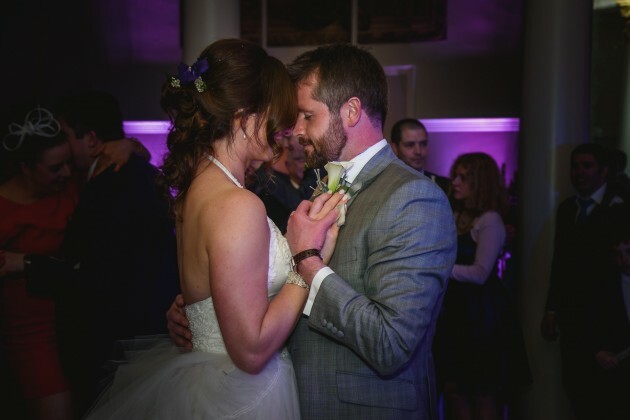 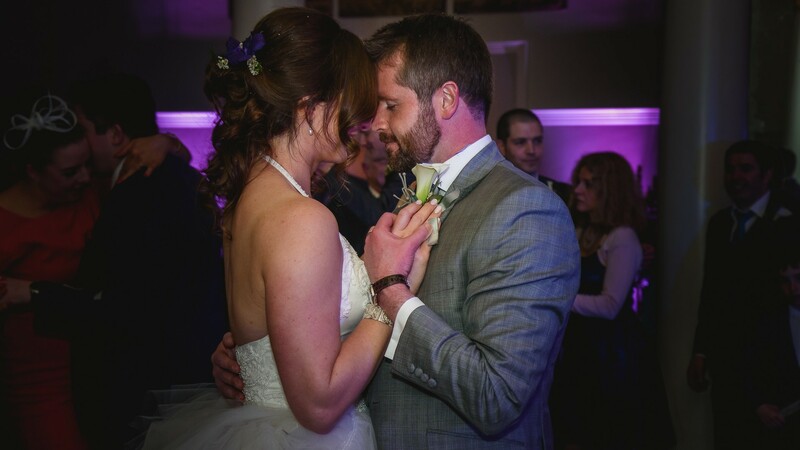 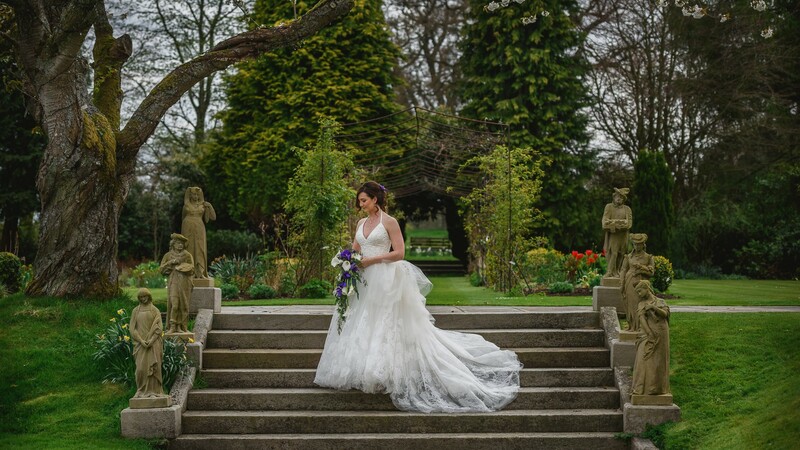 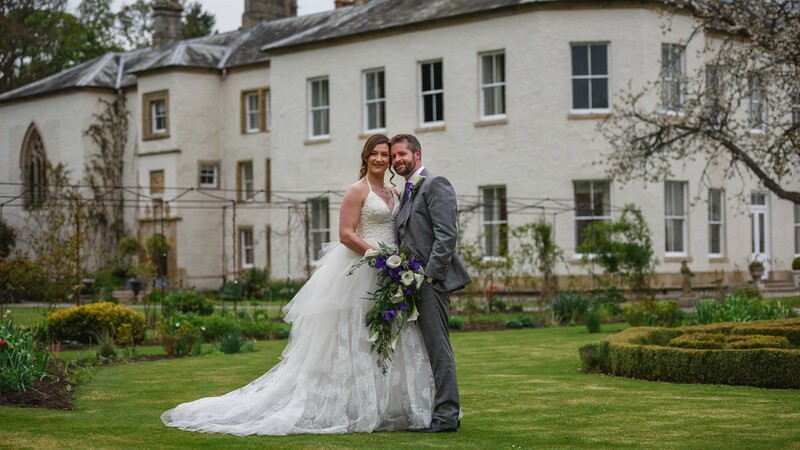 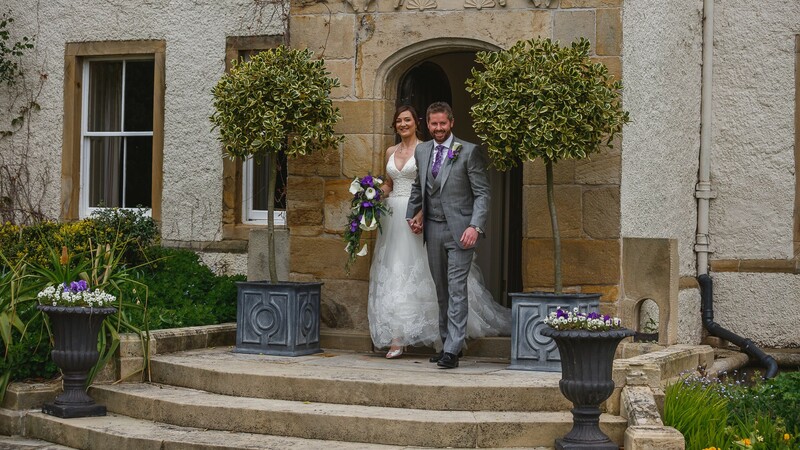 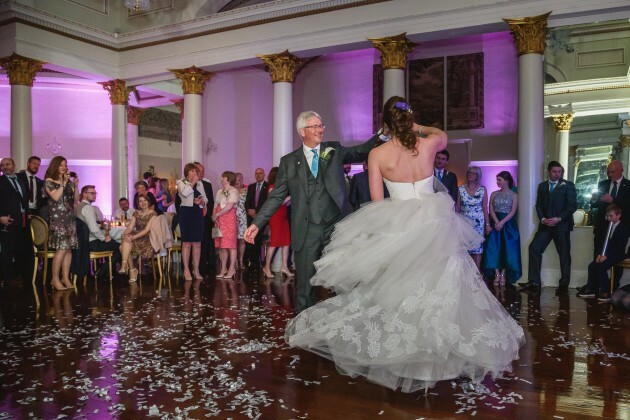 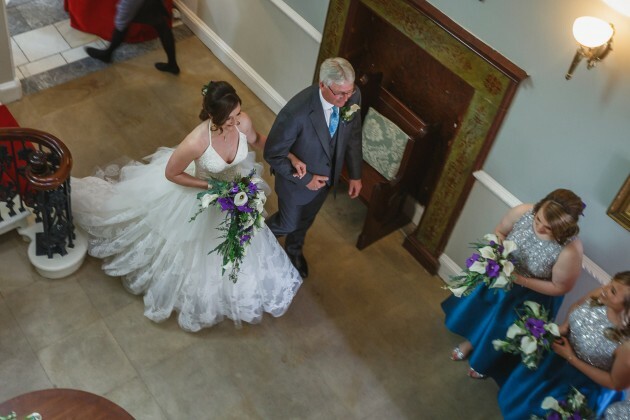 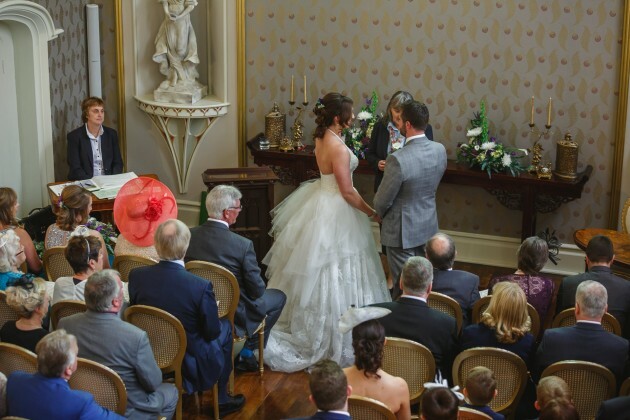 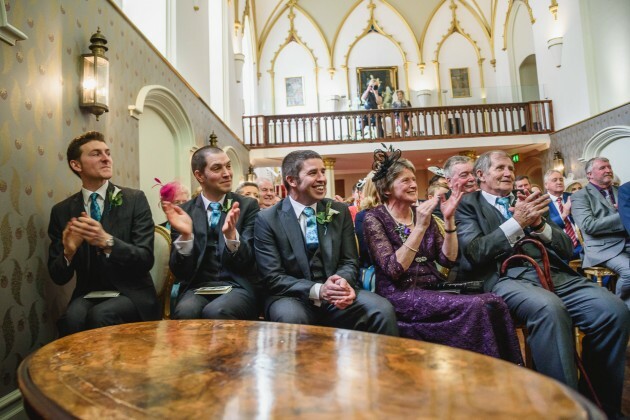 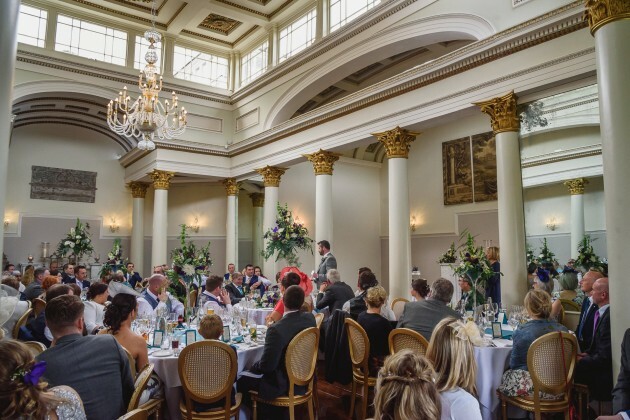 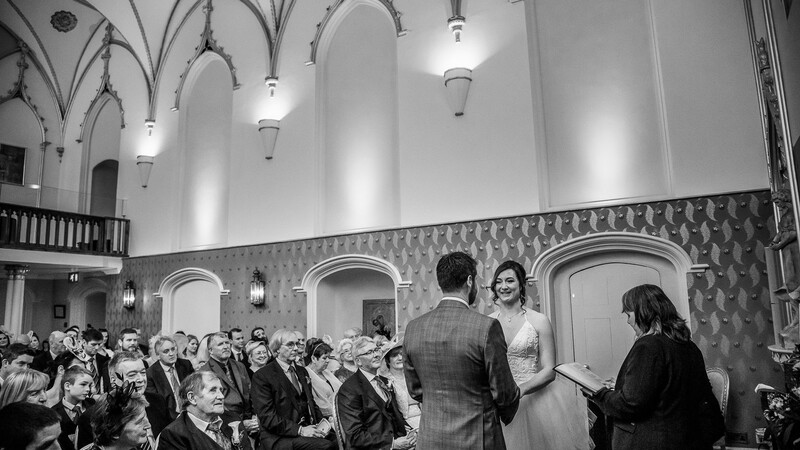 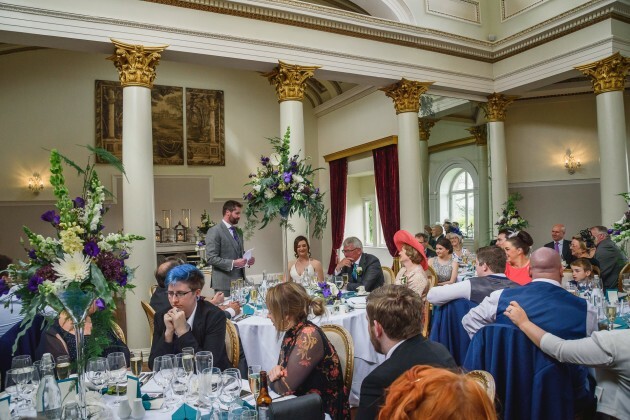 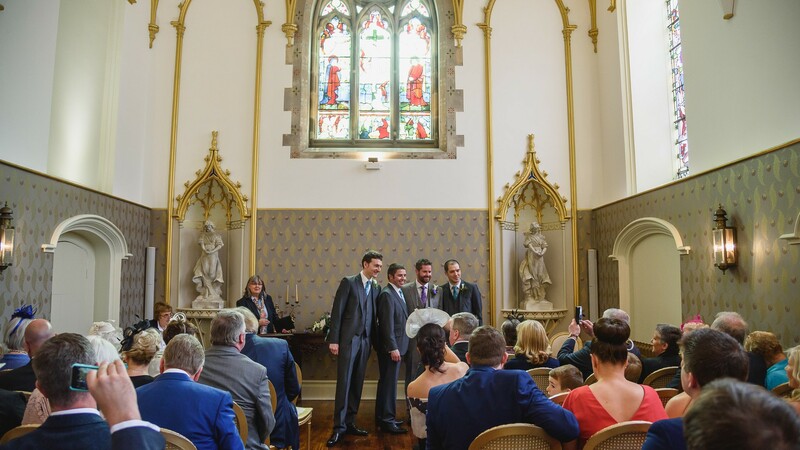 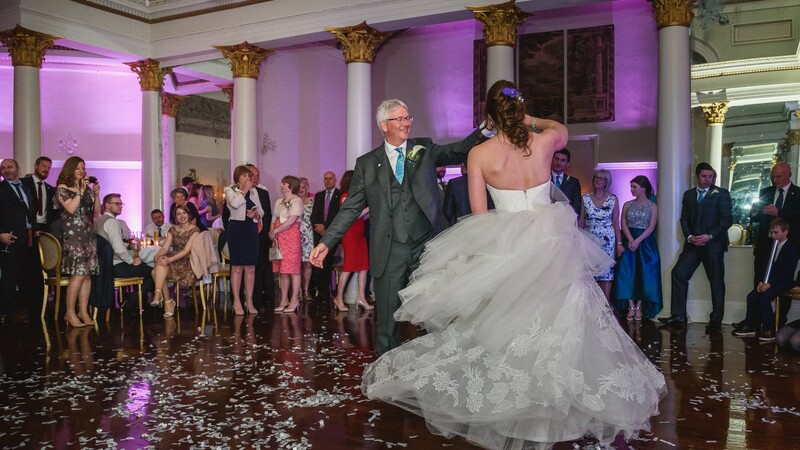 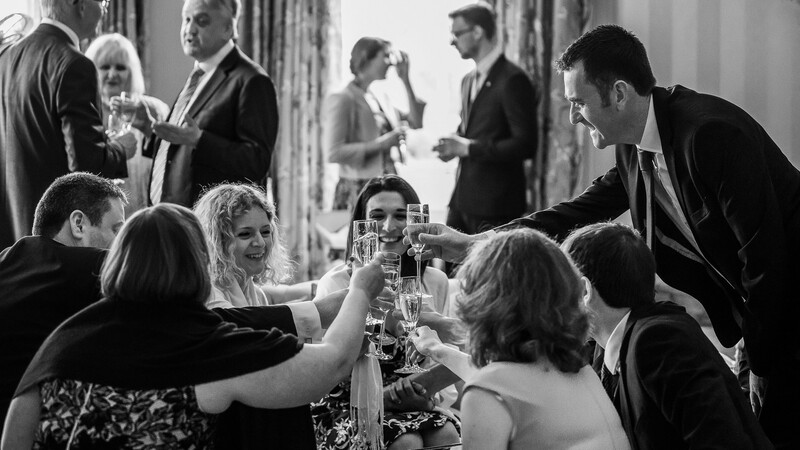 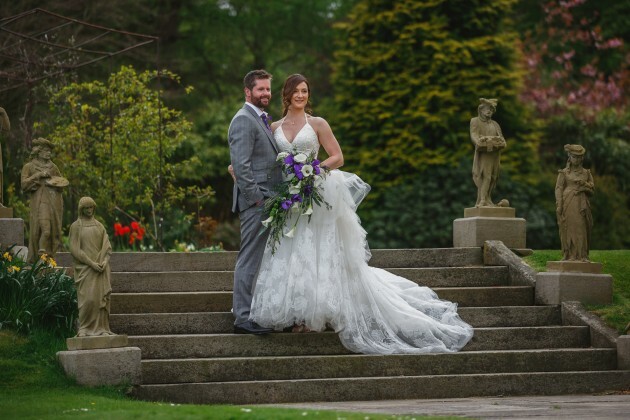 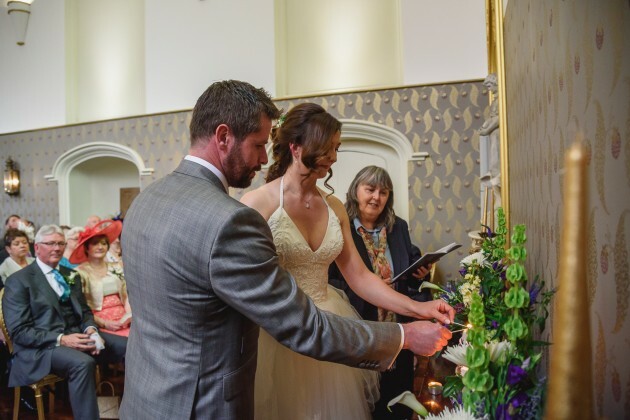 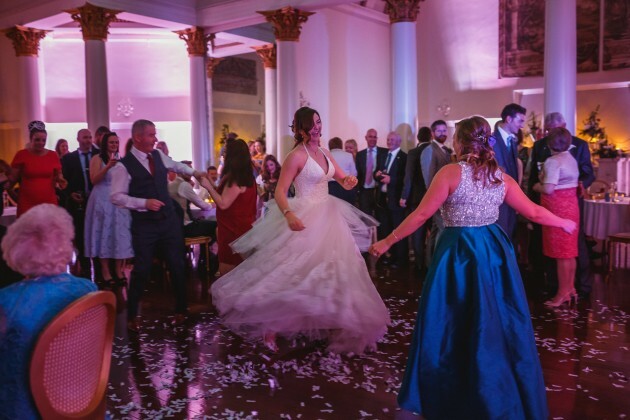 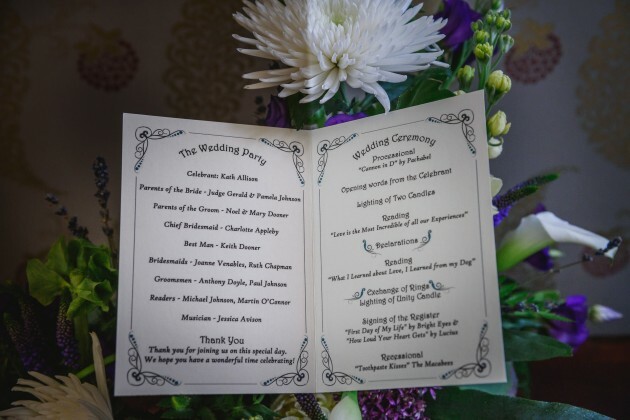 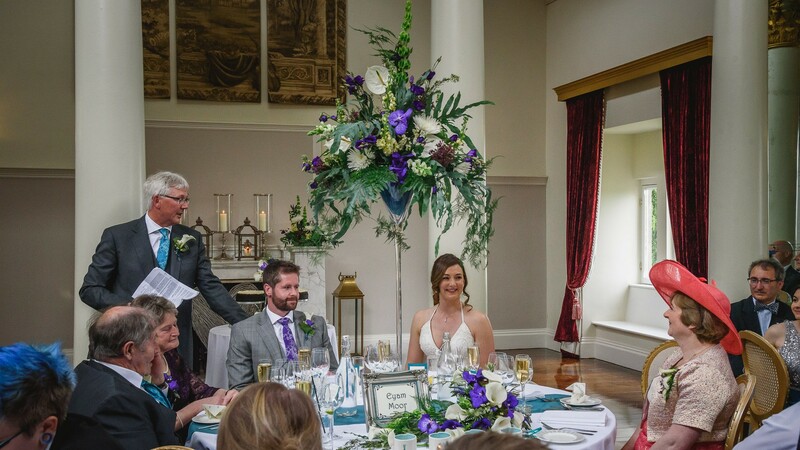 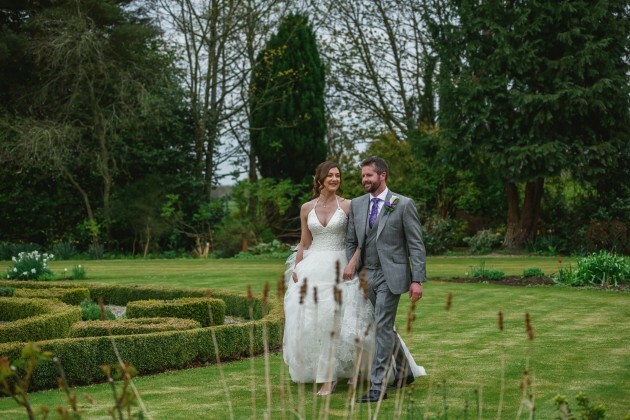 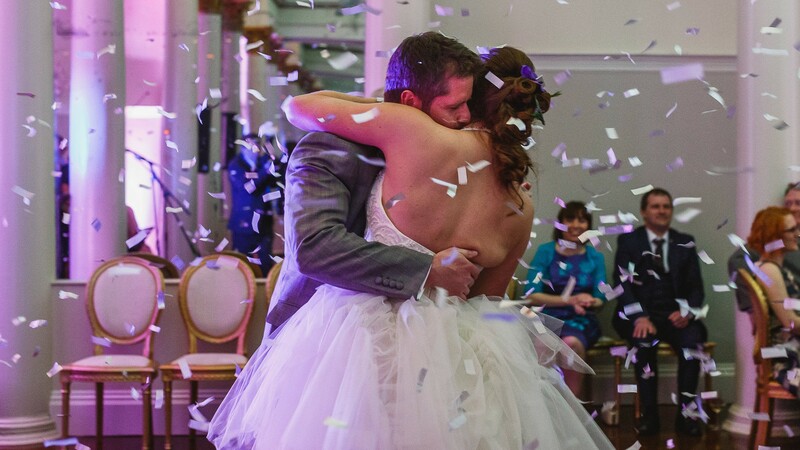 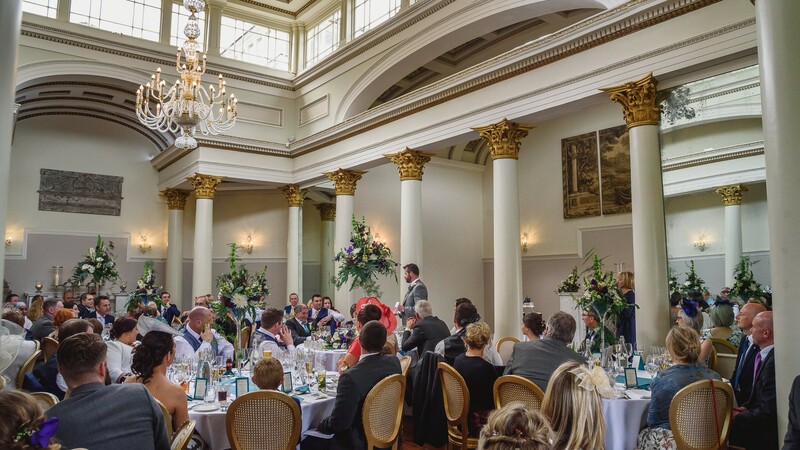 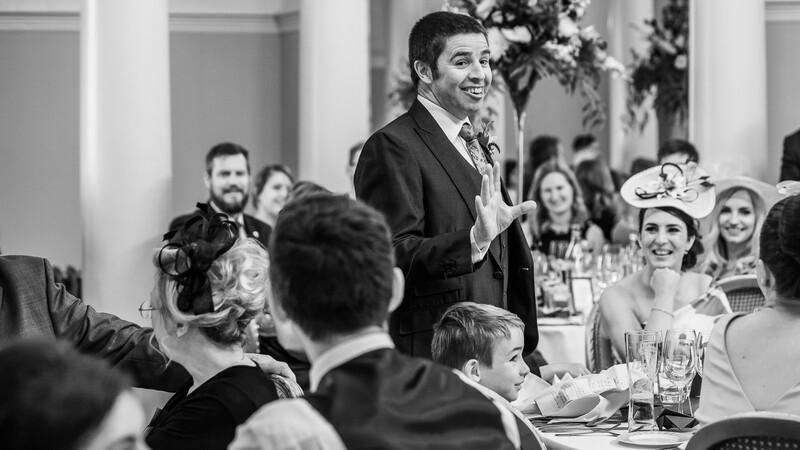 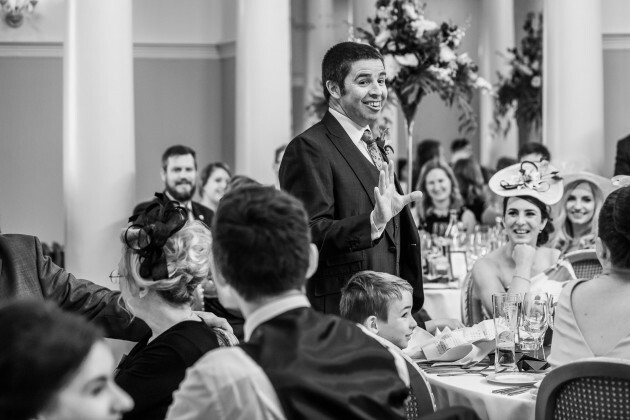 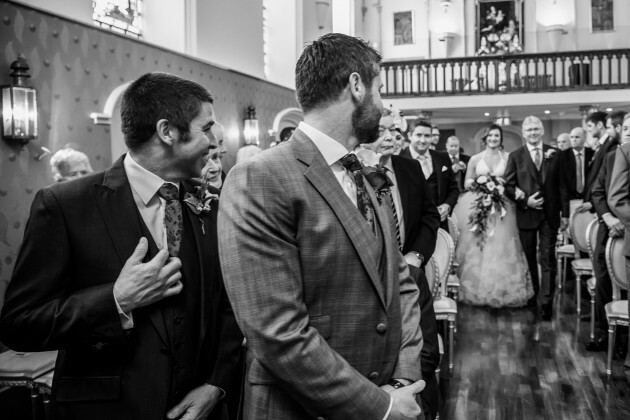 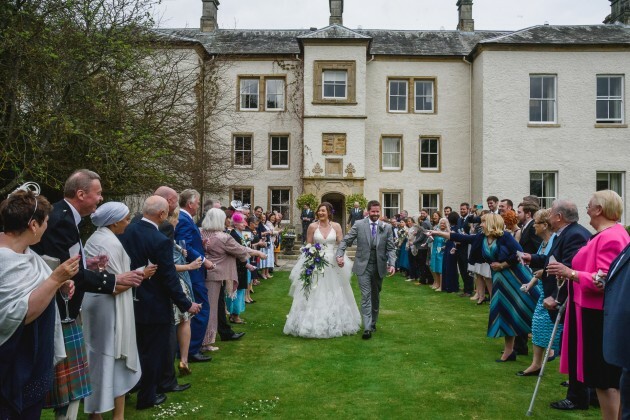 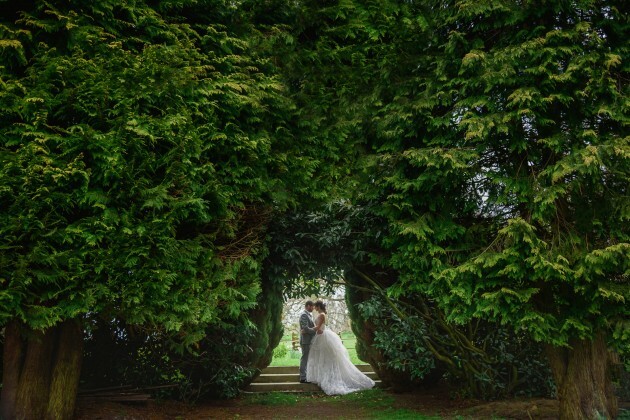 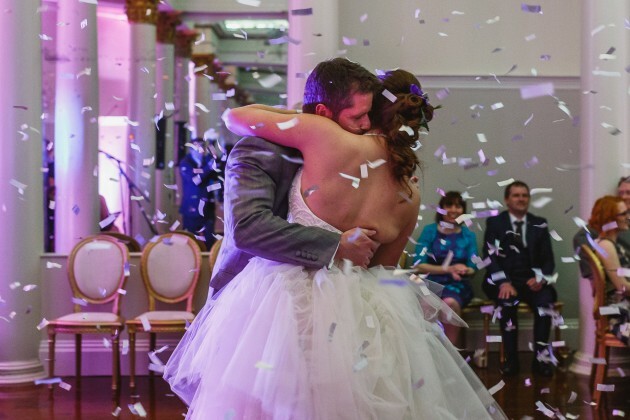 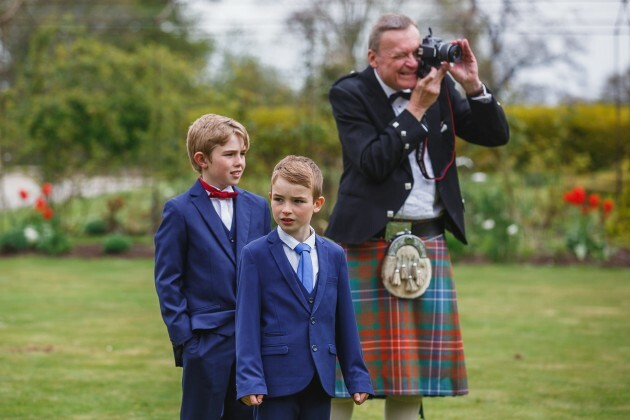 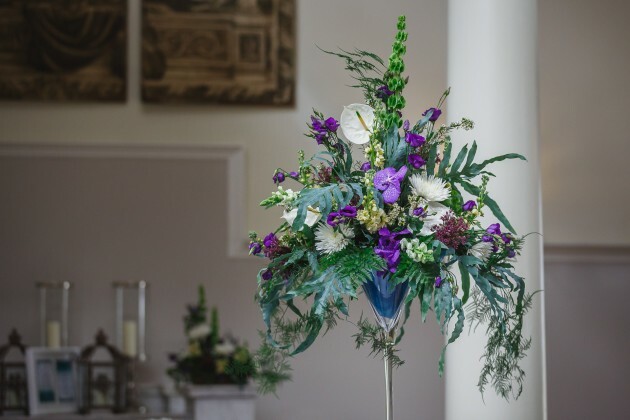 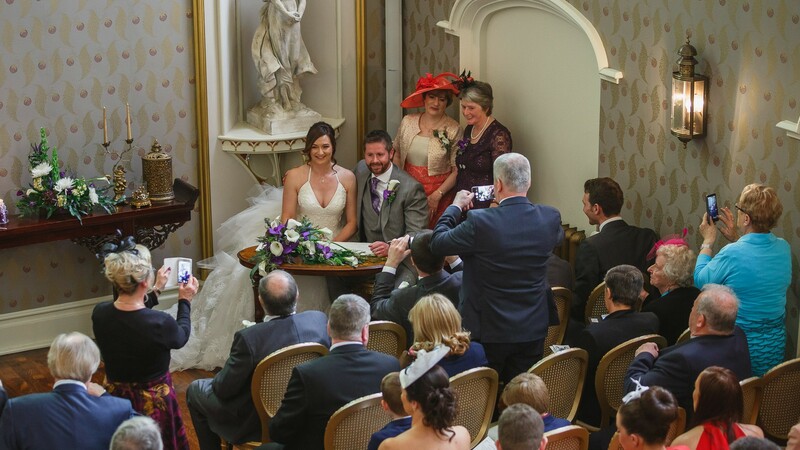 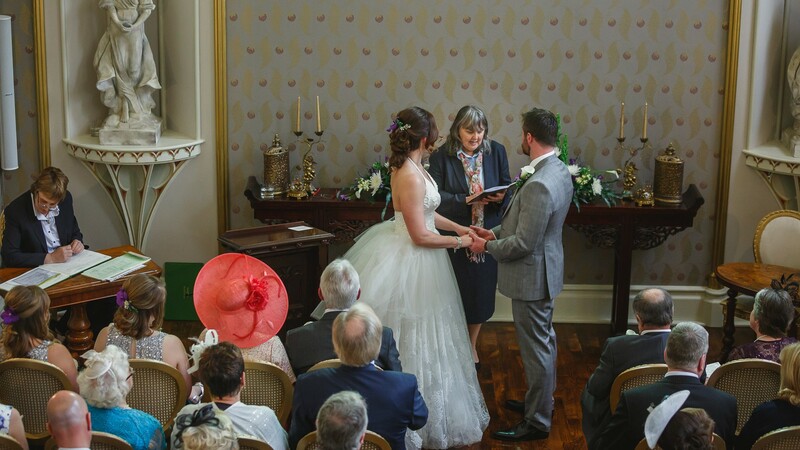 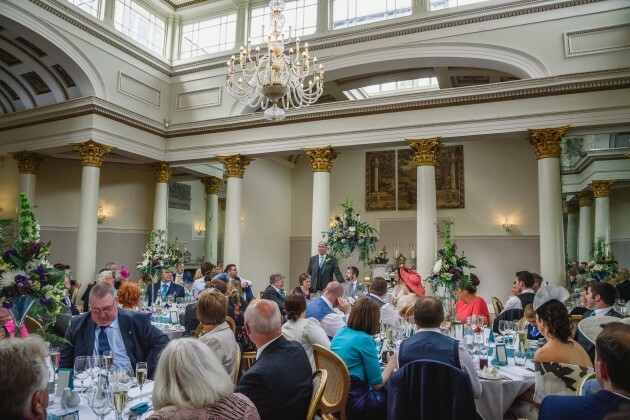 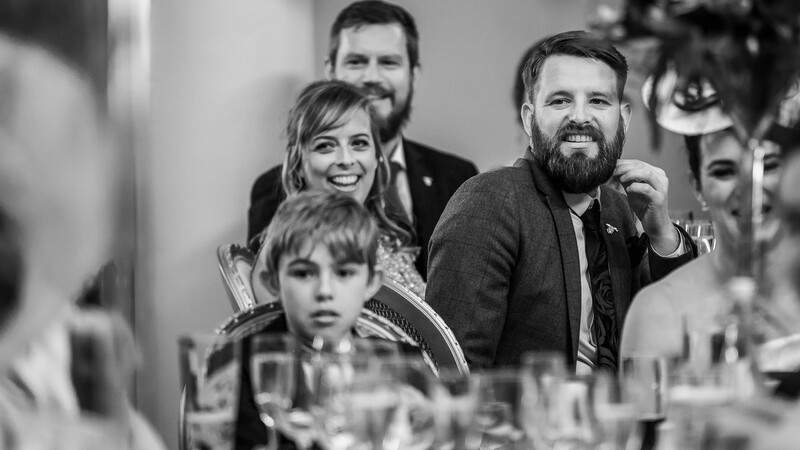 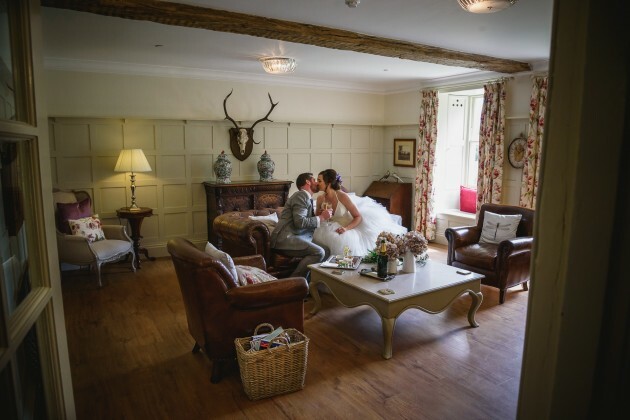 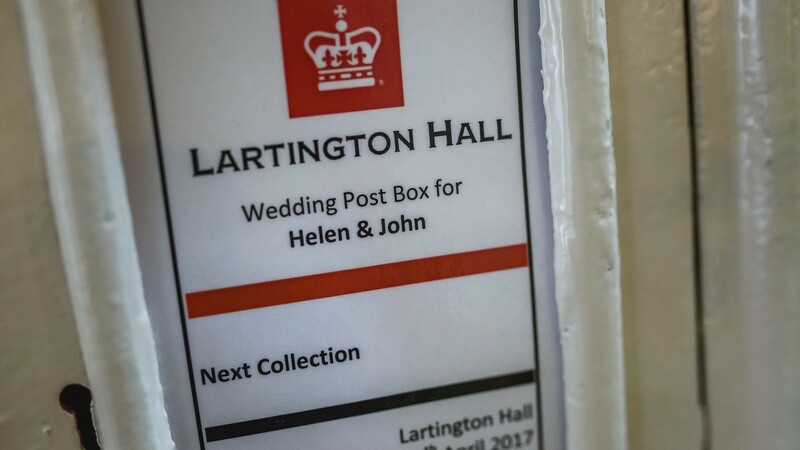 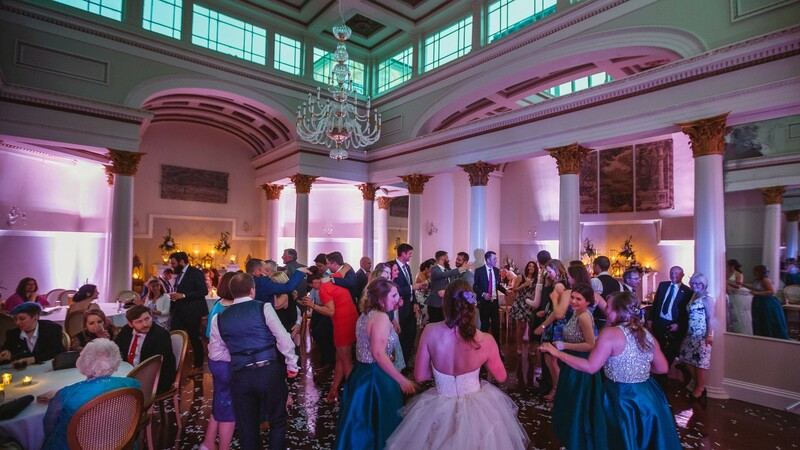 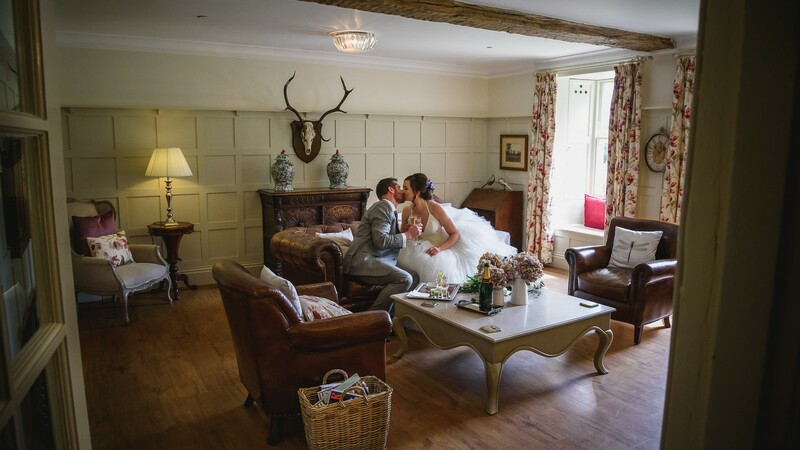 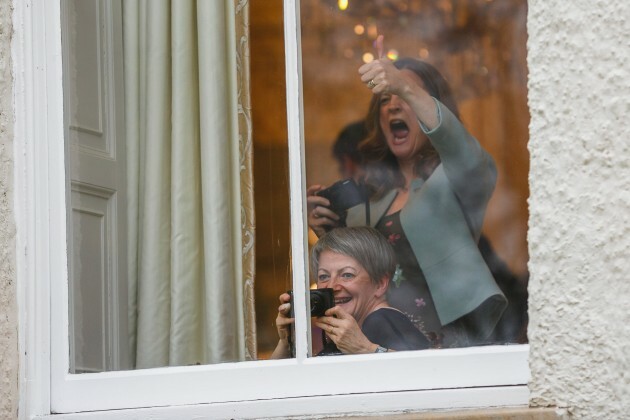 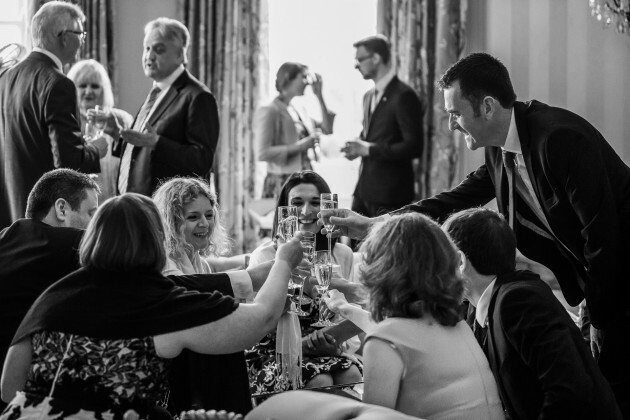 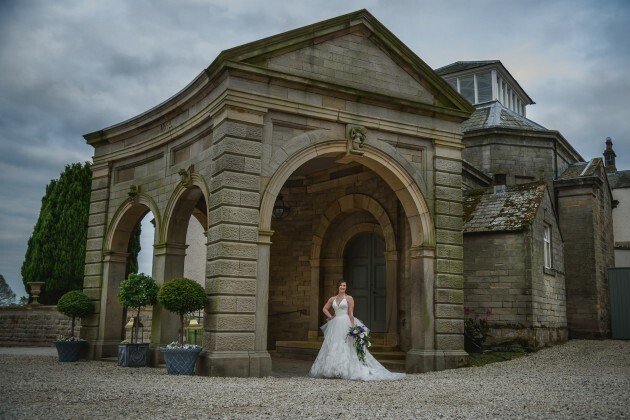 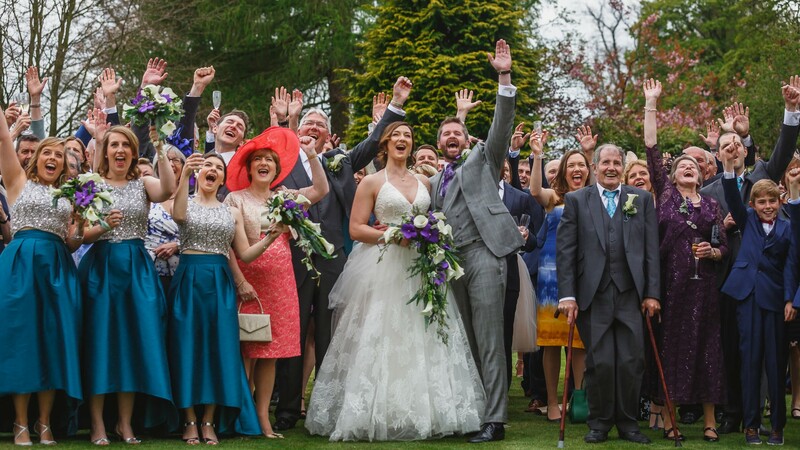 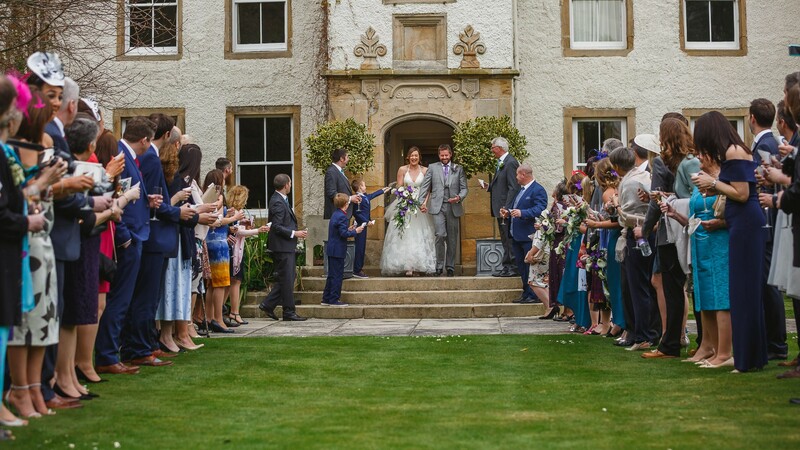 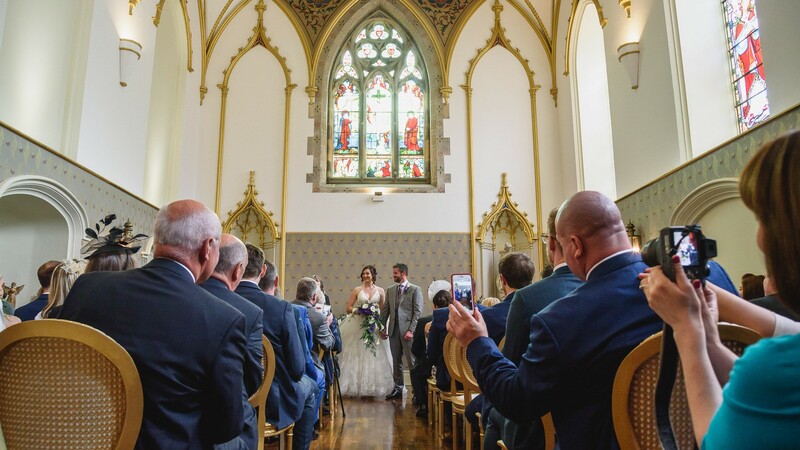 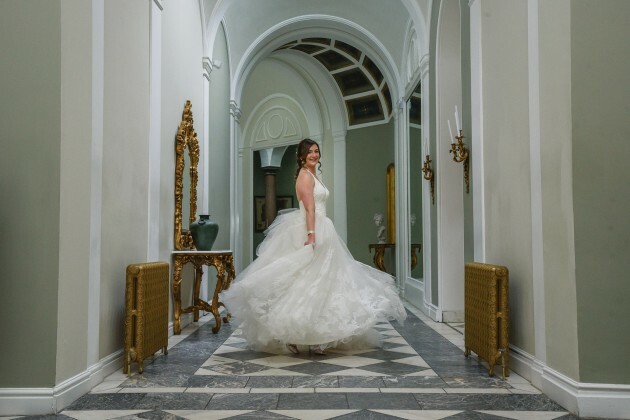 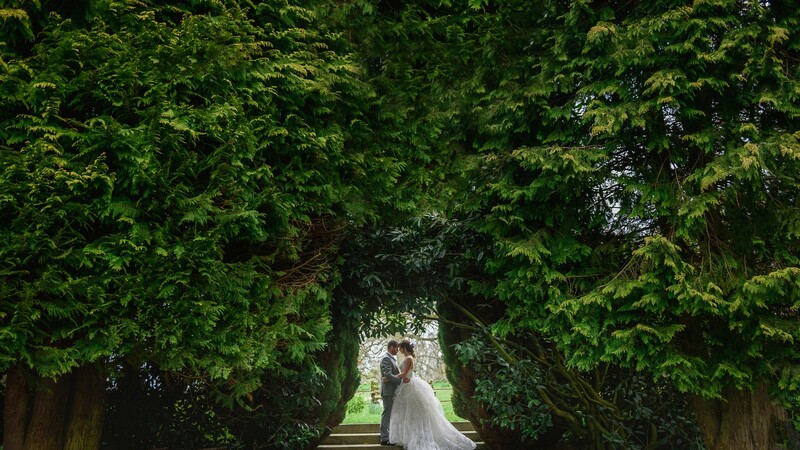 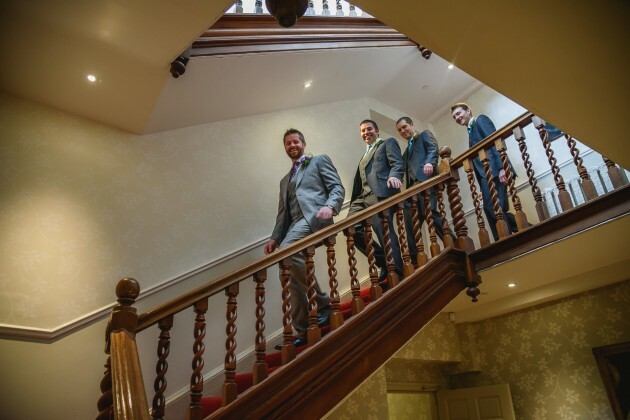 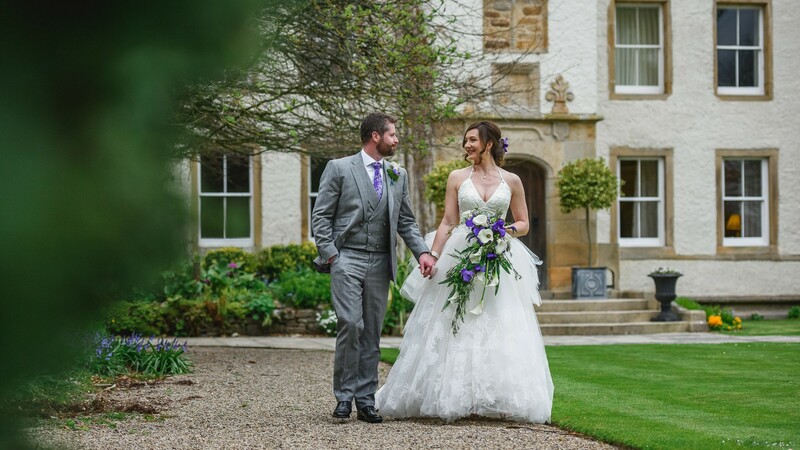 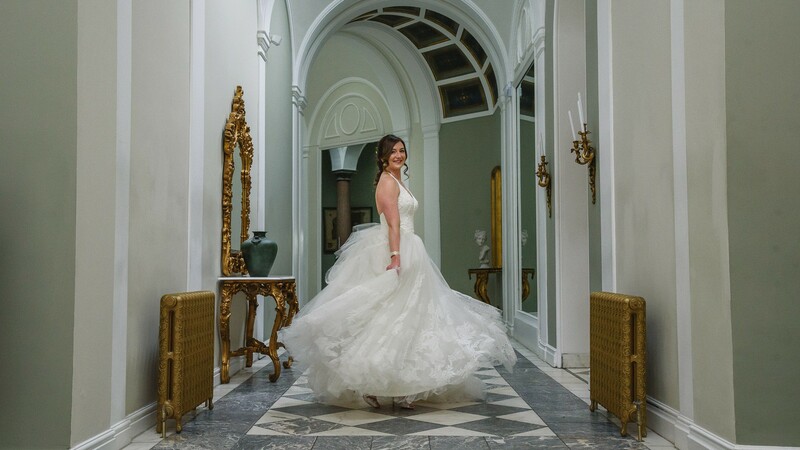 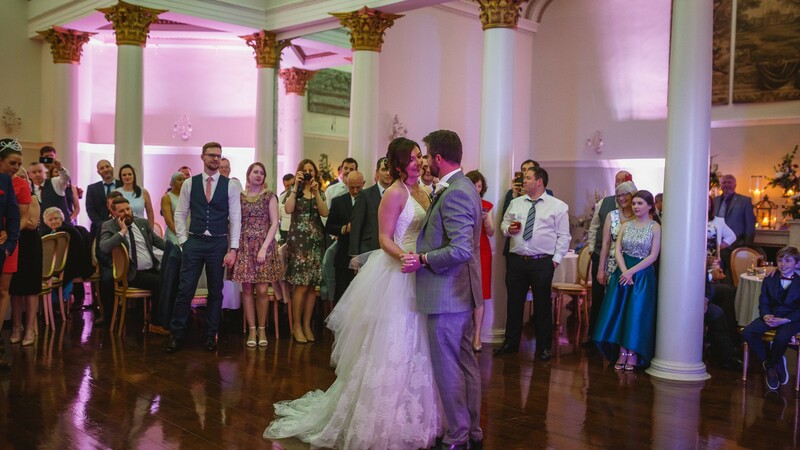 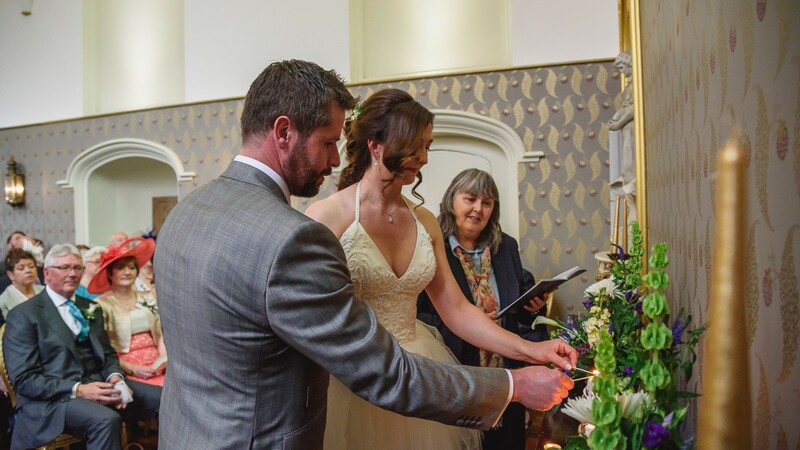 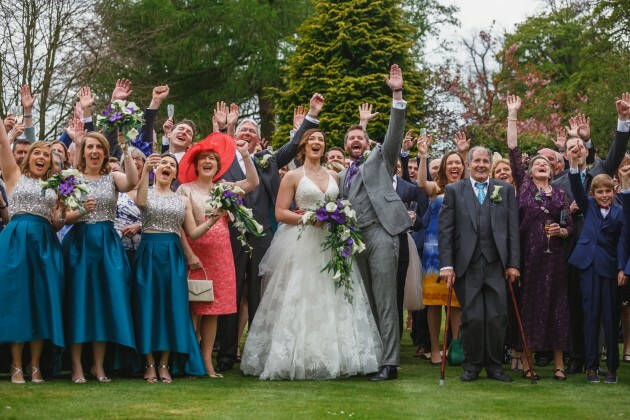 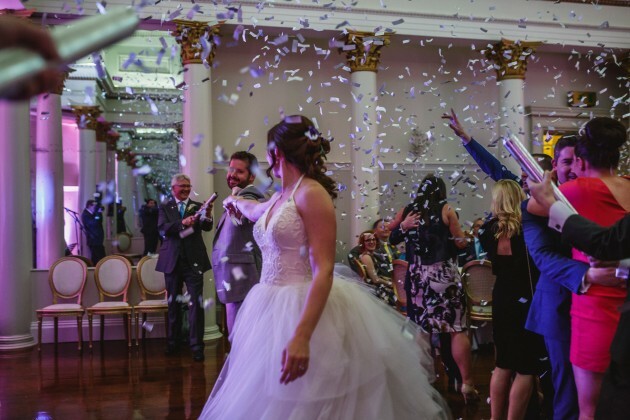 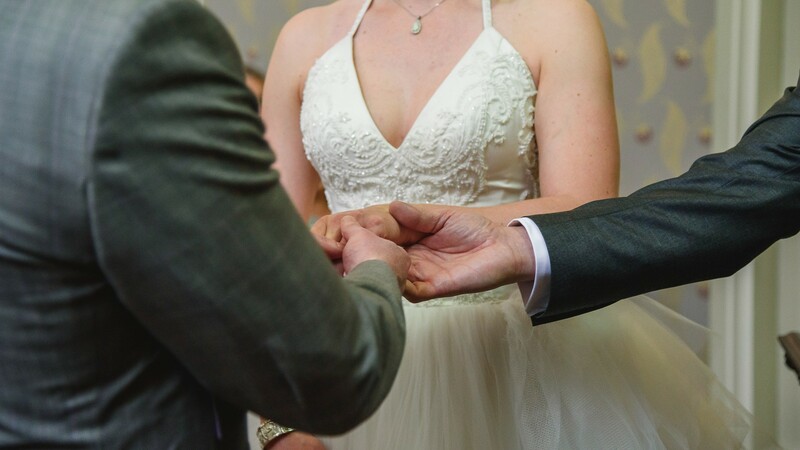 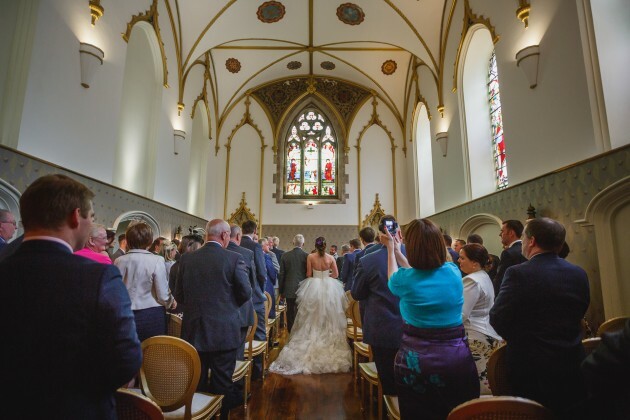 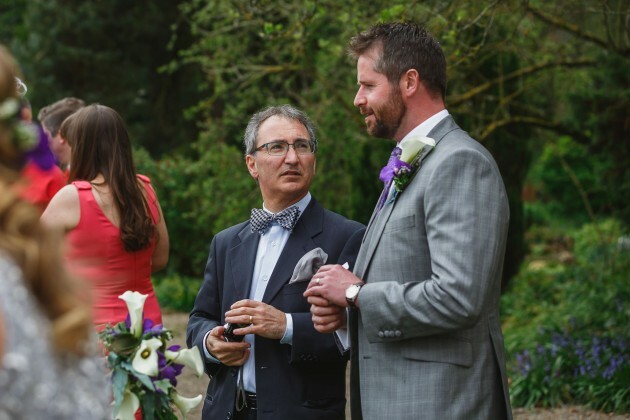 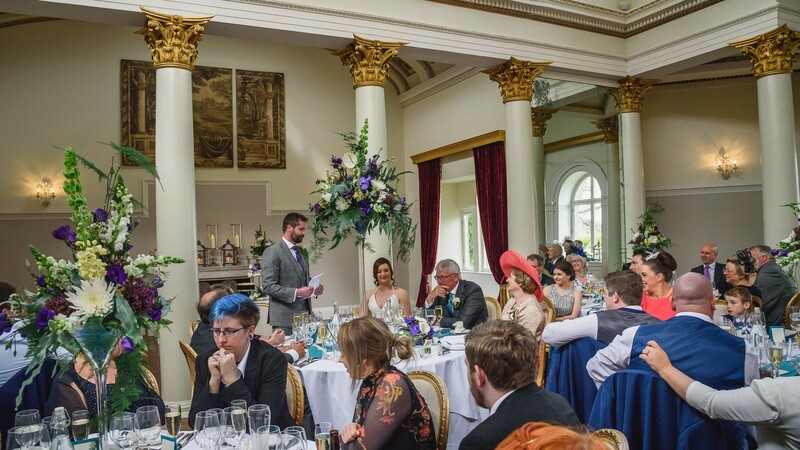 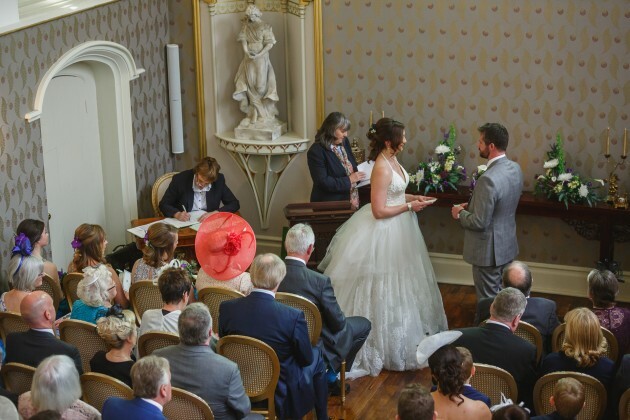 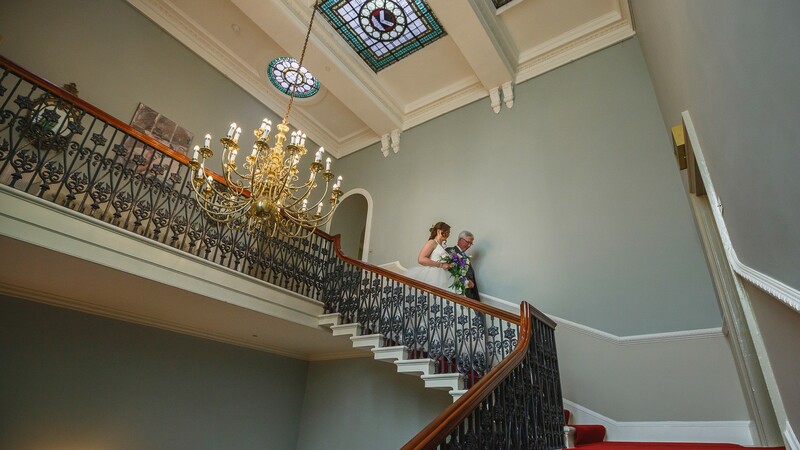 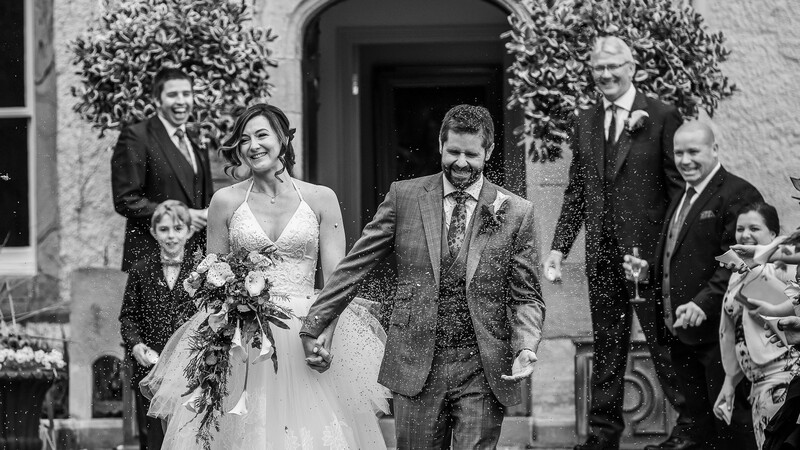 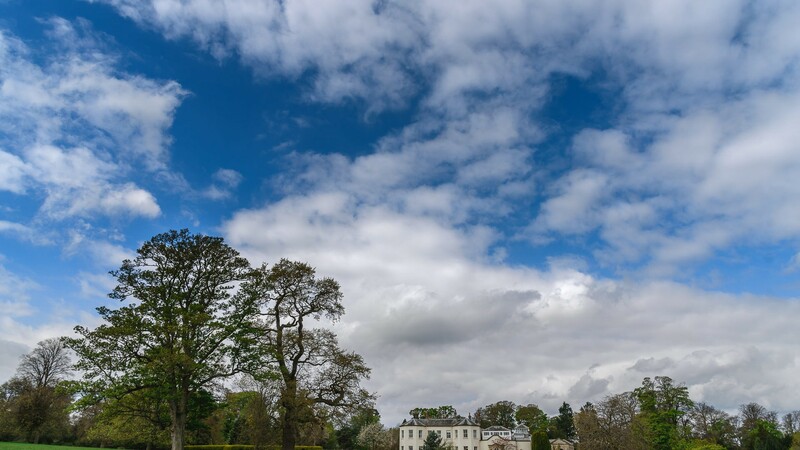 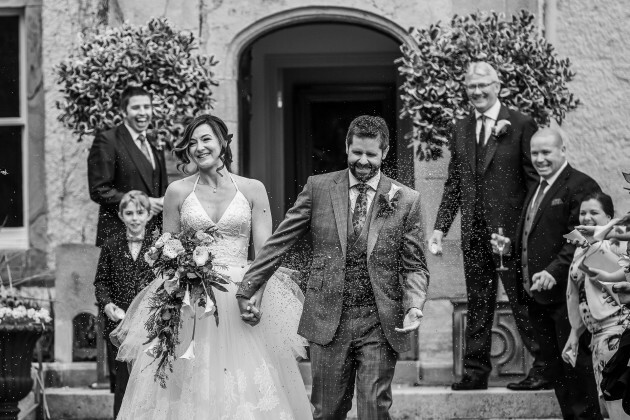 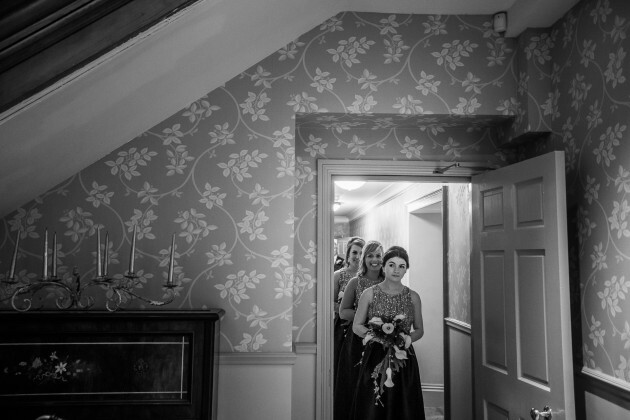 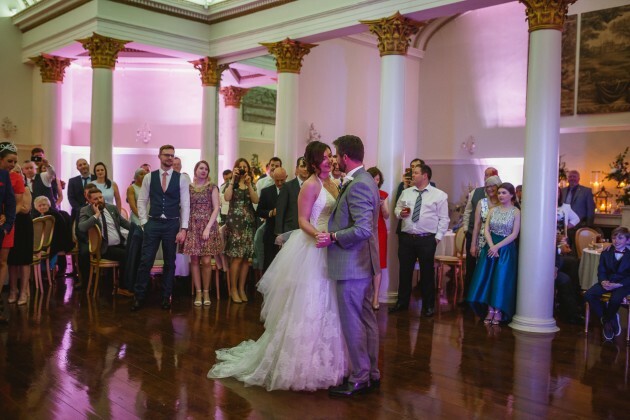 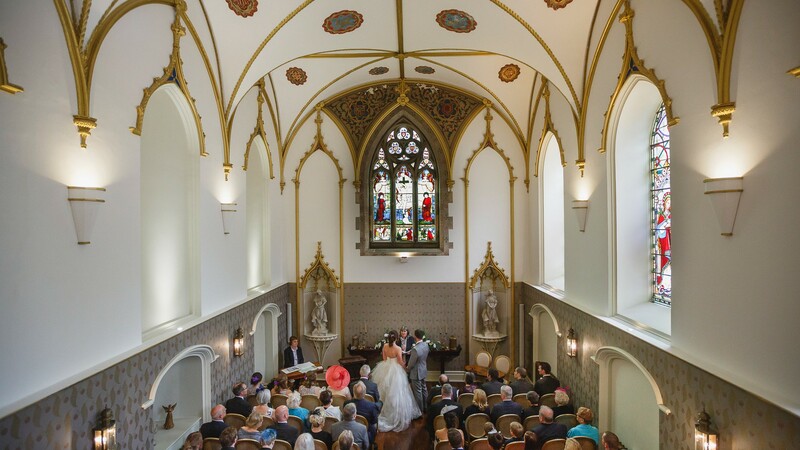 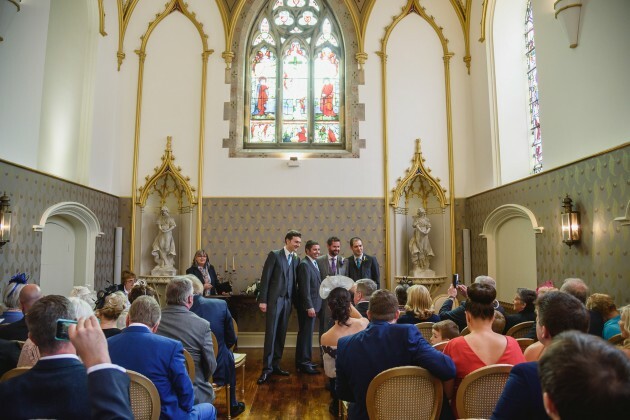 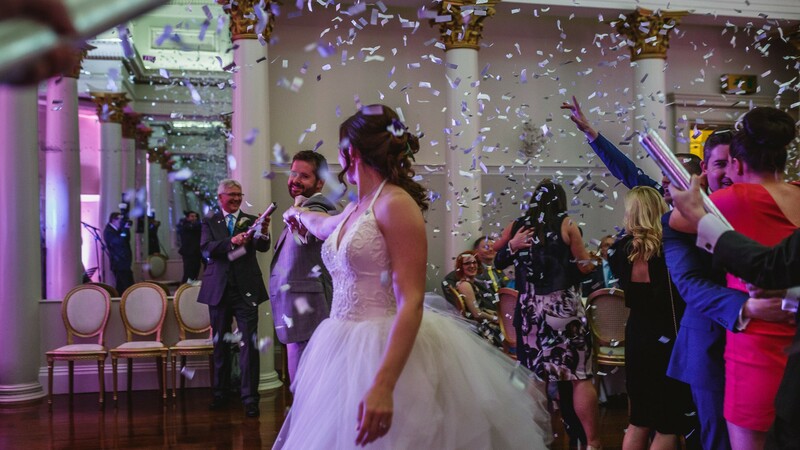 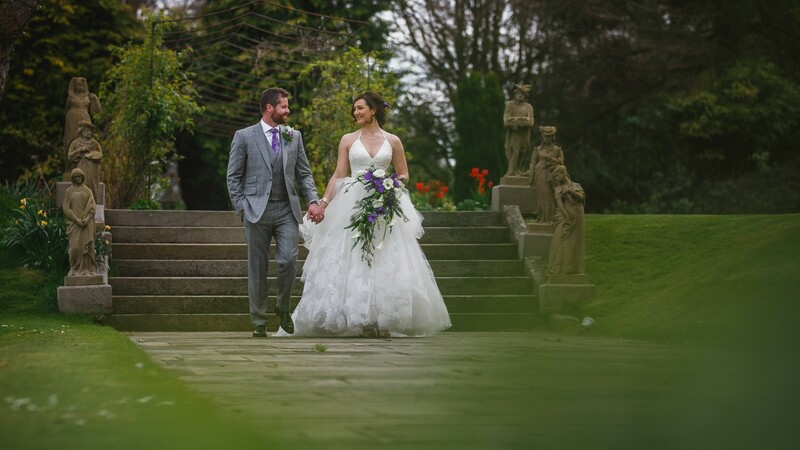 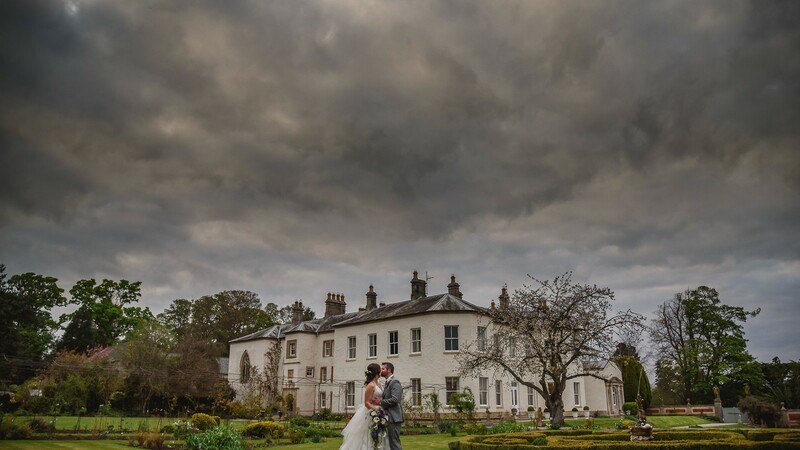 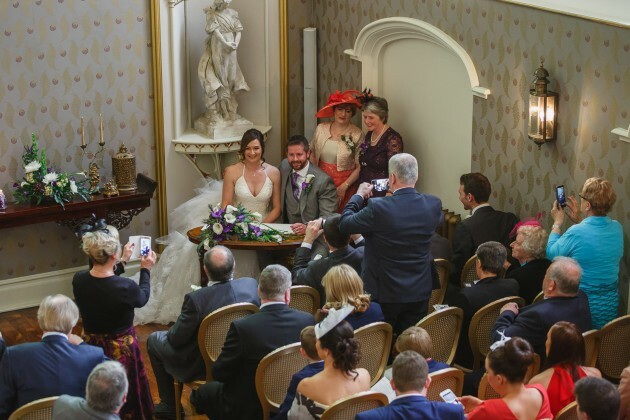 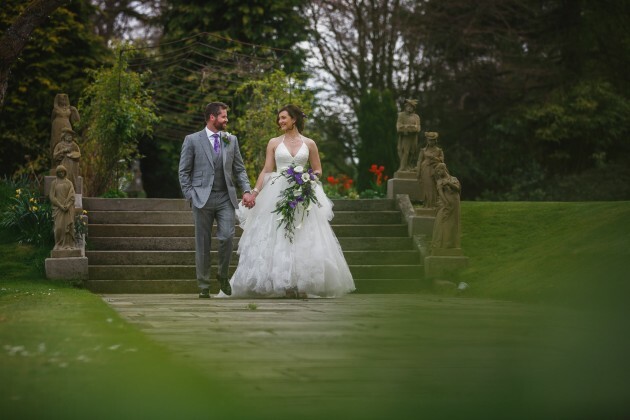 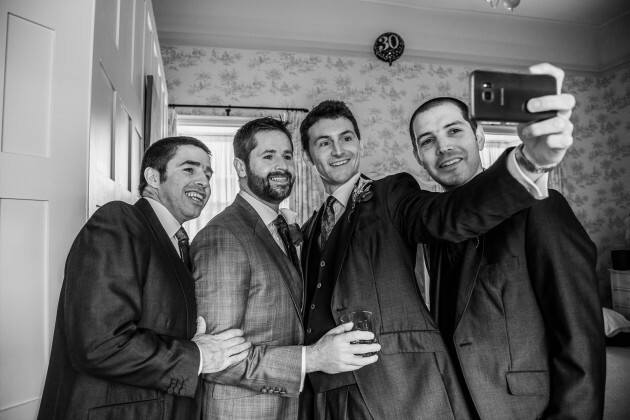 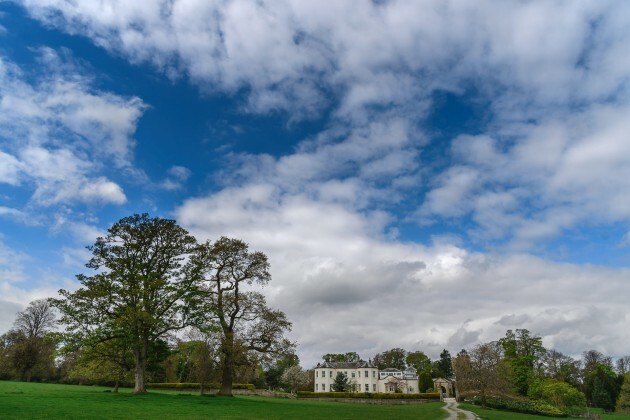 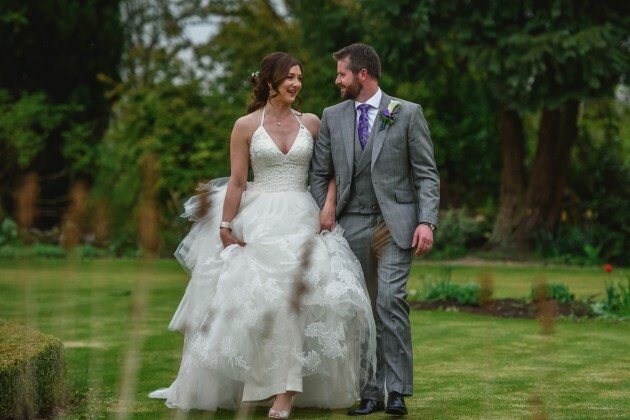 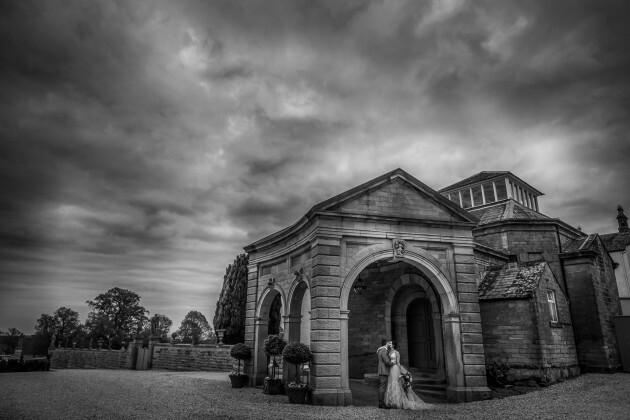 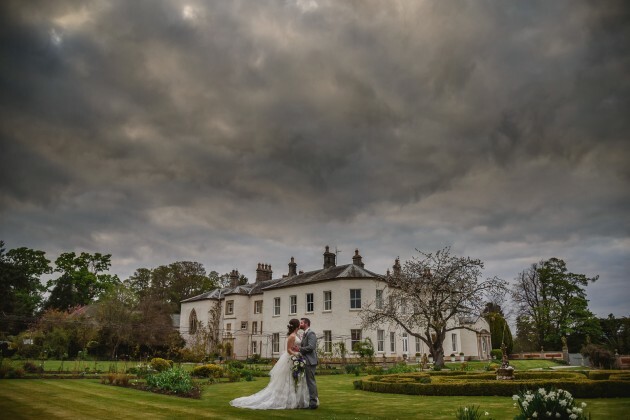 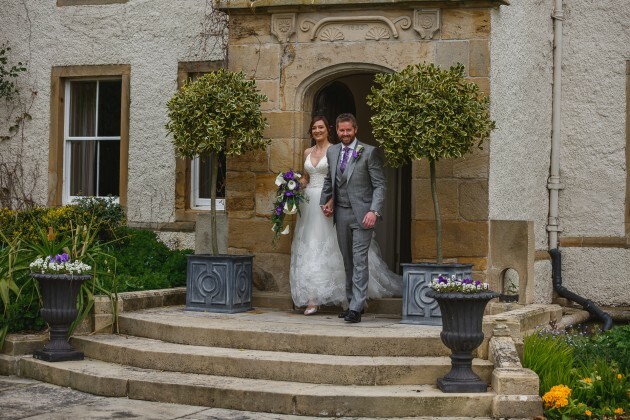 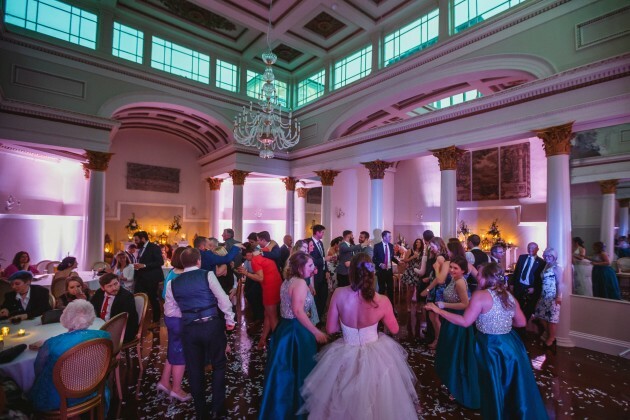 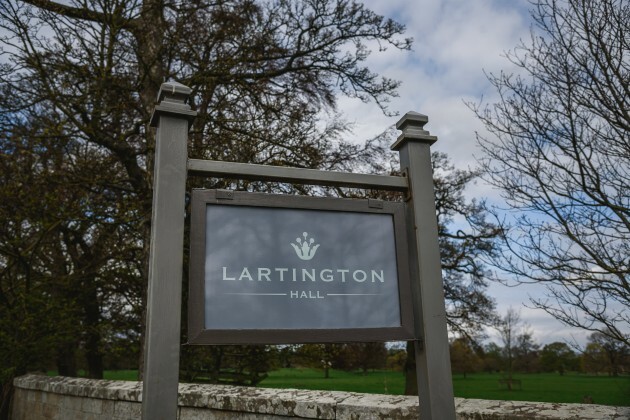 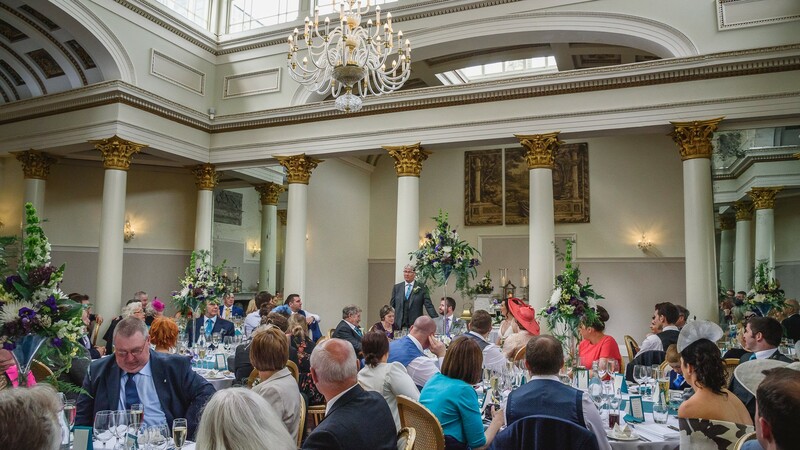 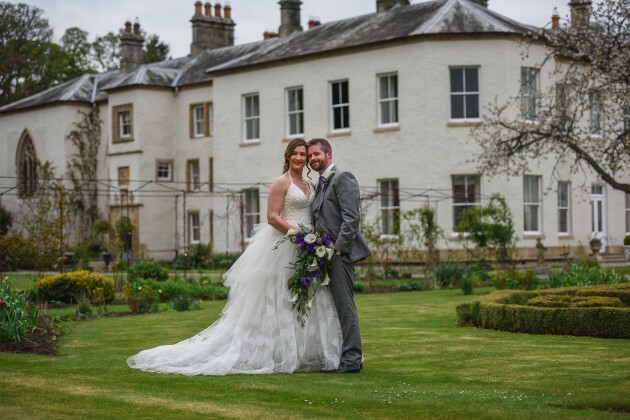 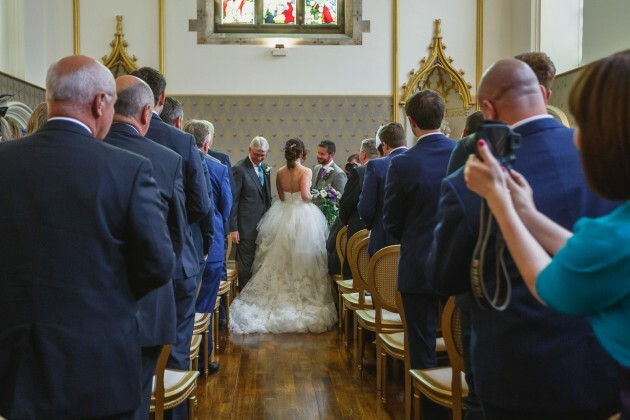 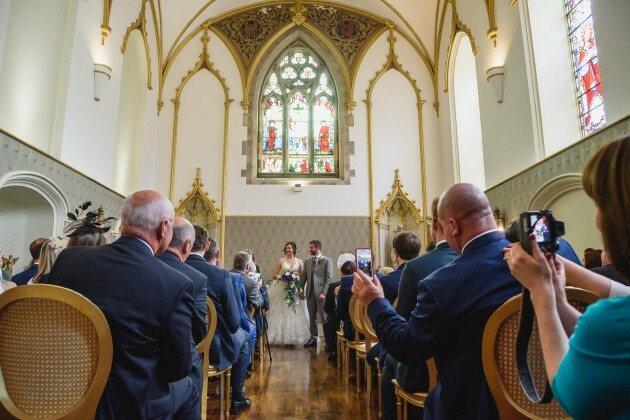 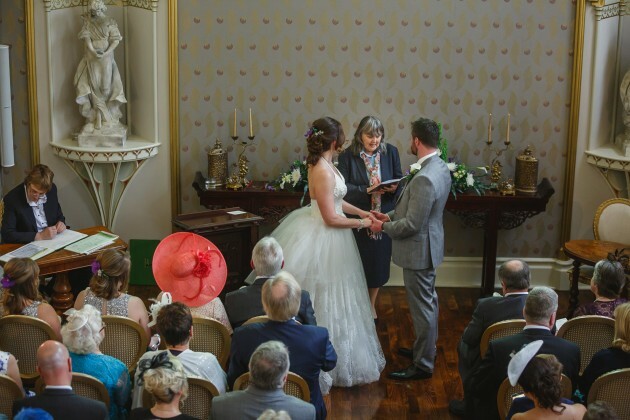 John and Helen knew at once that Lartington Hall was the perfect location for their wedding and to invite their their friends and family to. 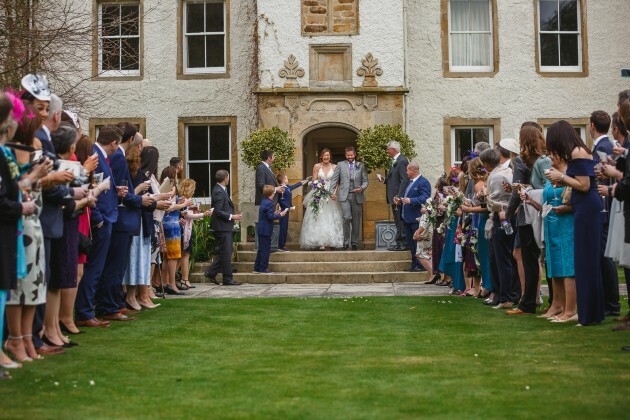 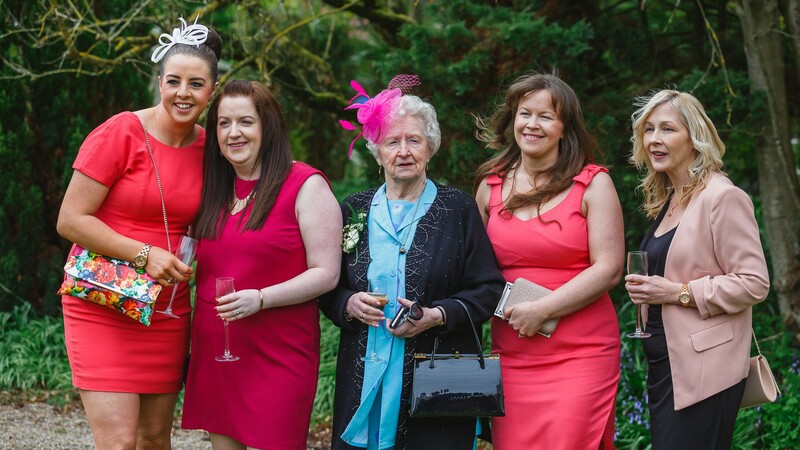 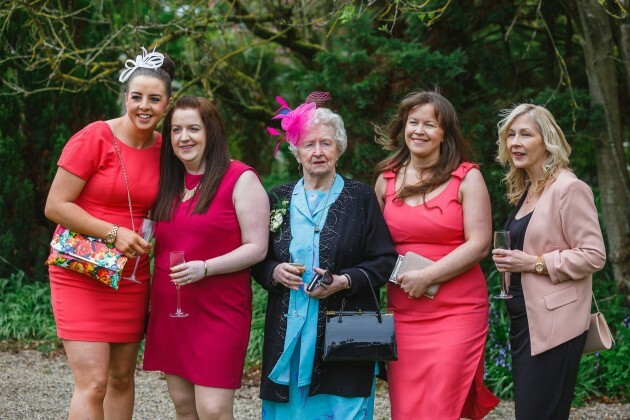 Many of their guests were travelling from varying parts of England and John's family from Ireland so what better place to have them visit in the than this lovely countryside hideaway? 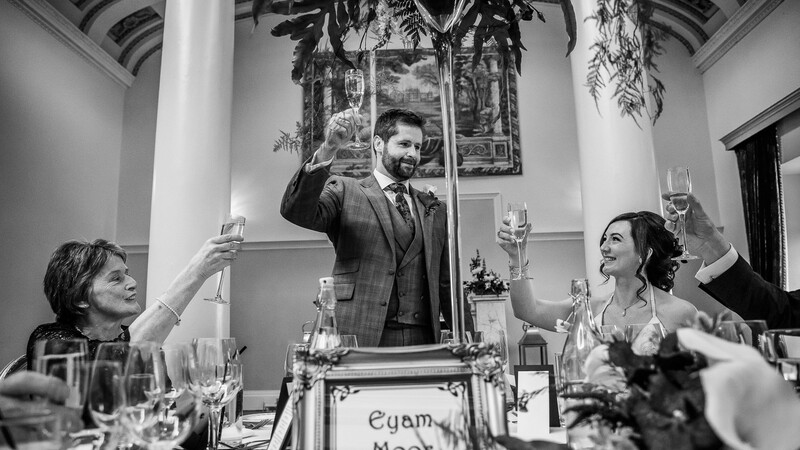 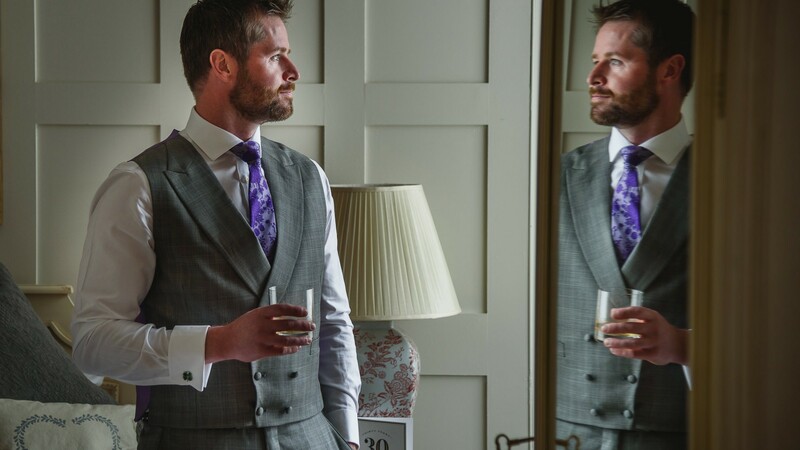 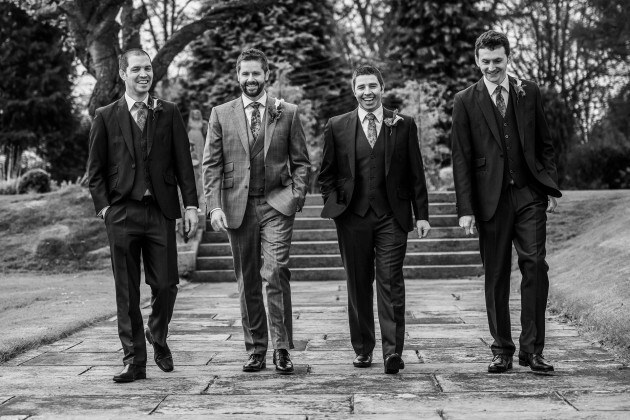 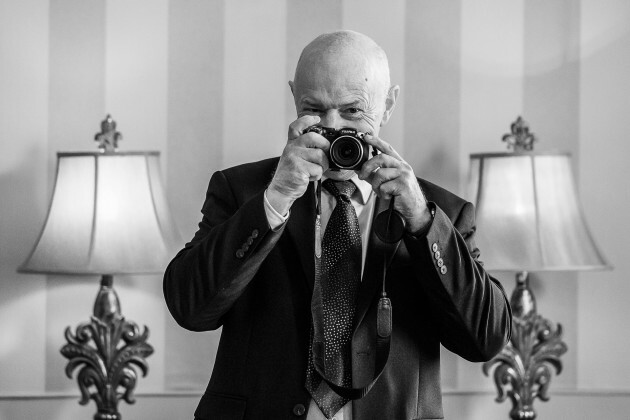 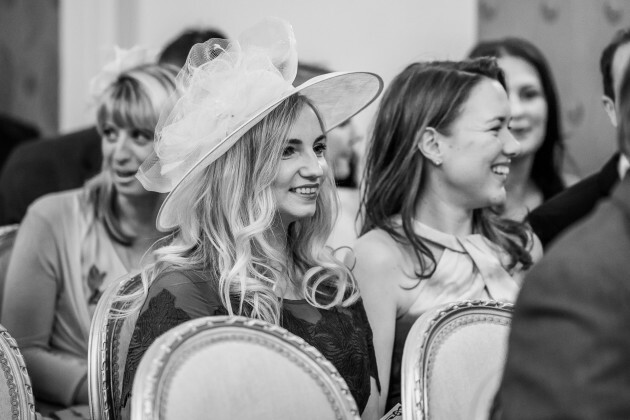 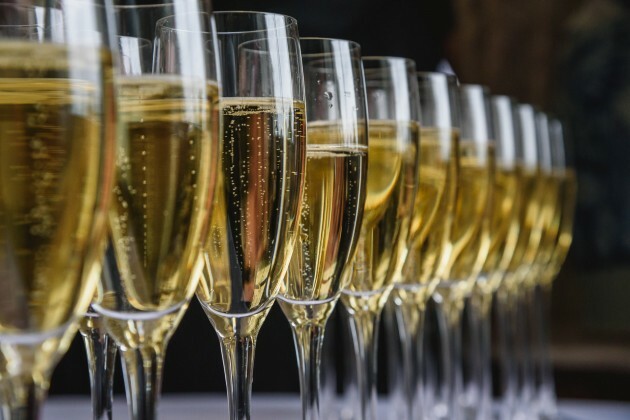 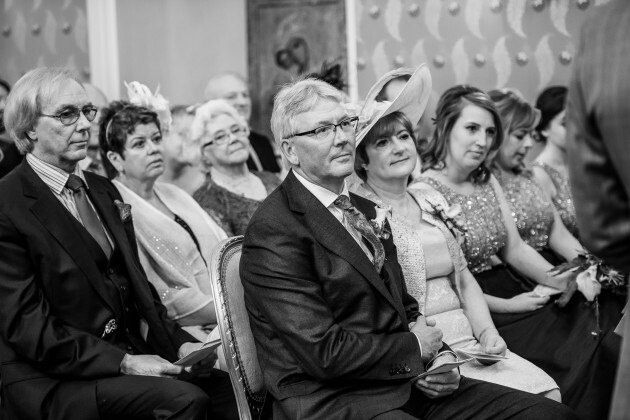 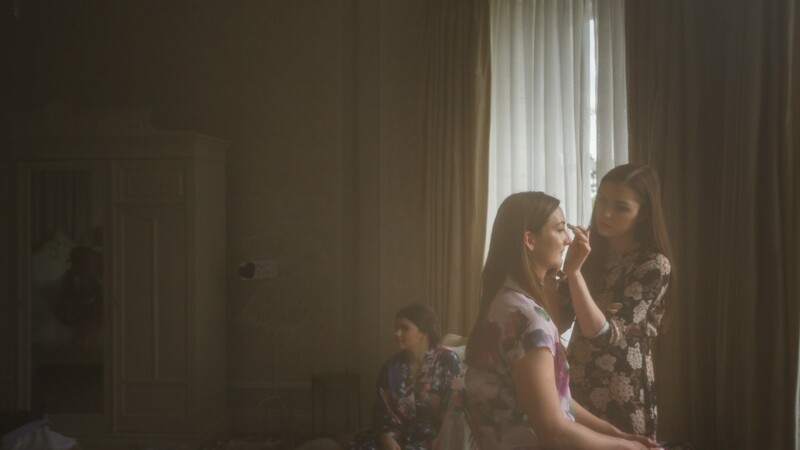 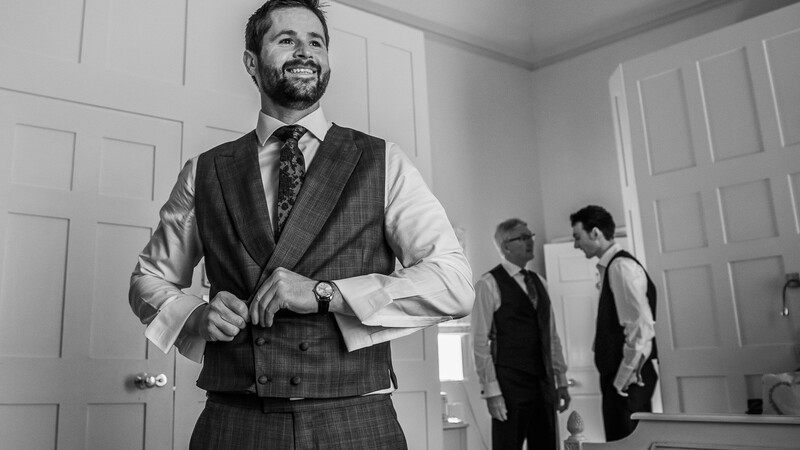 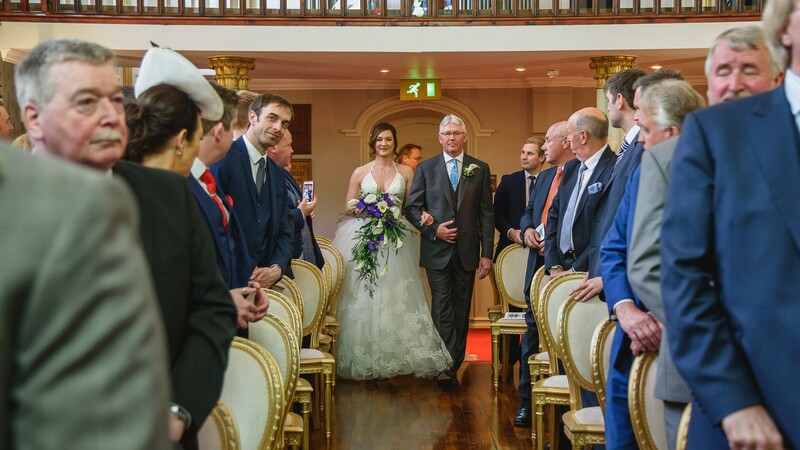 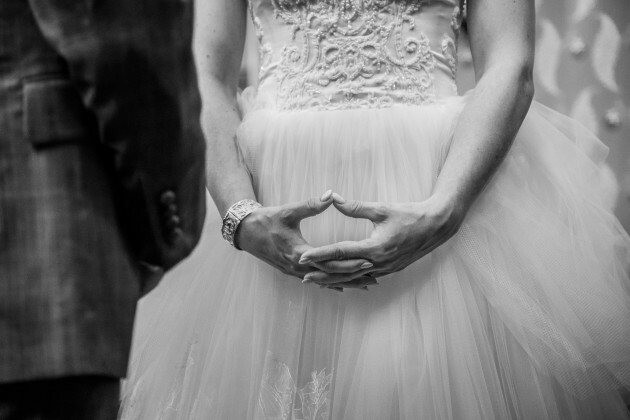 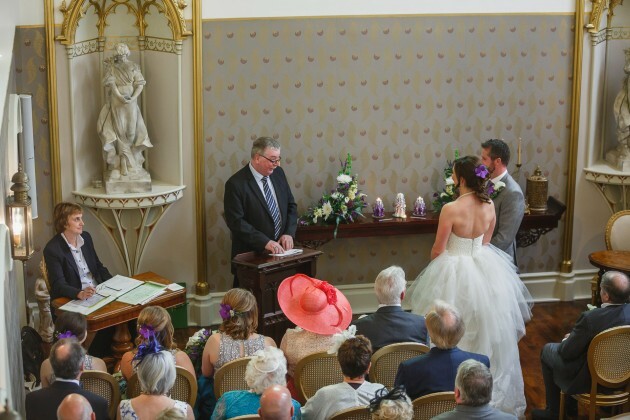 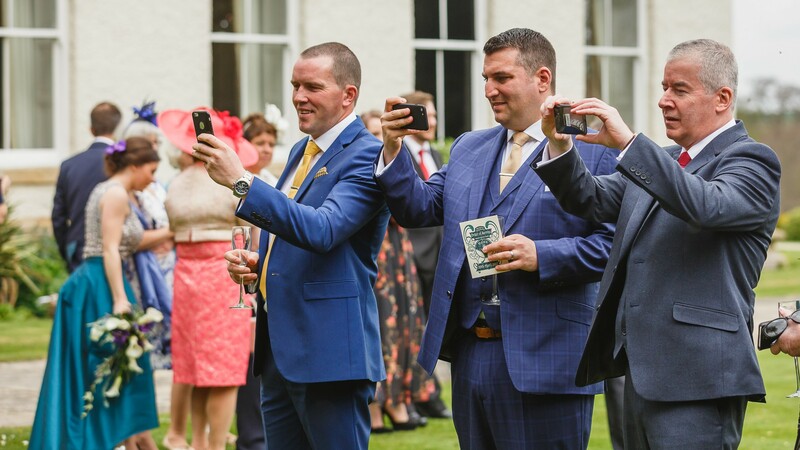 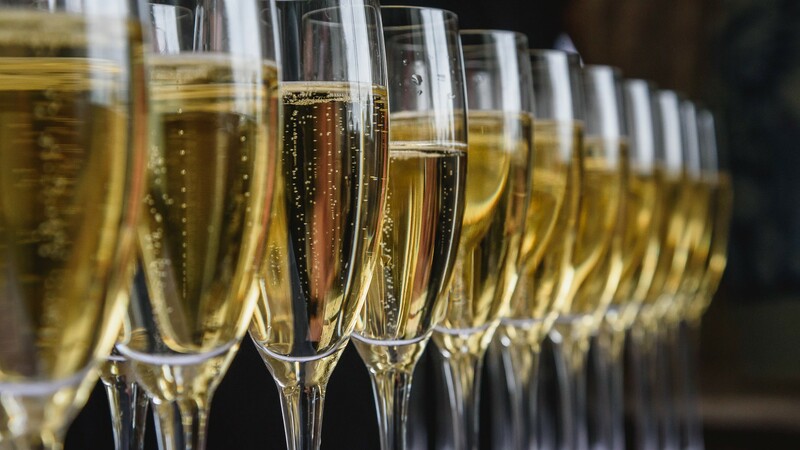 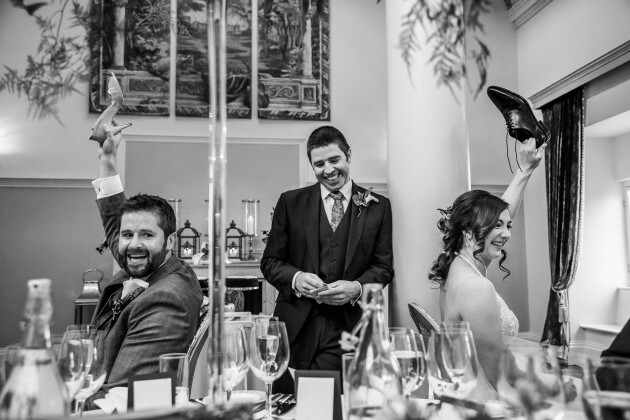 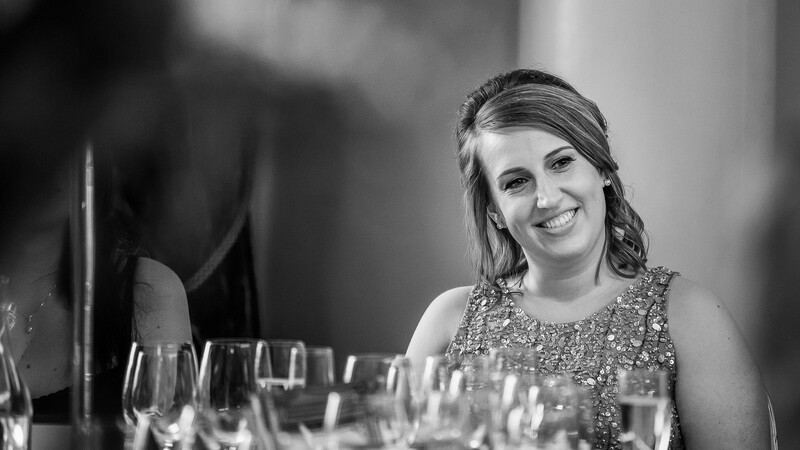 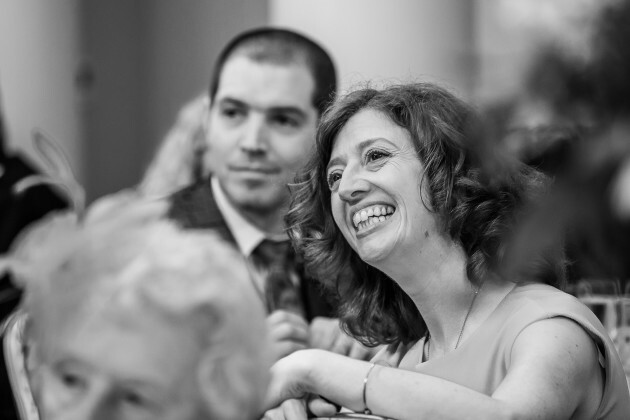 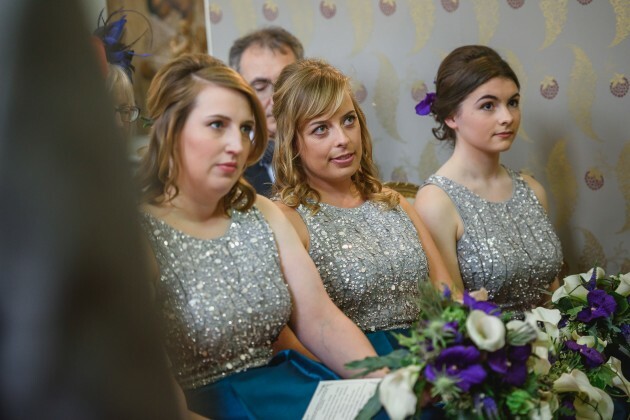 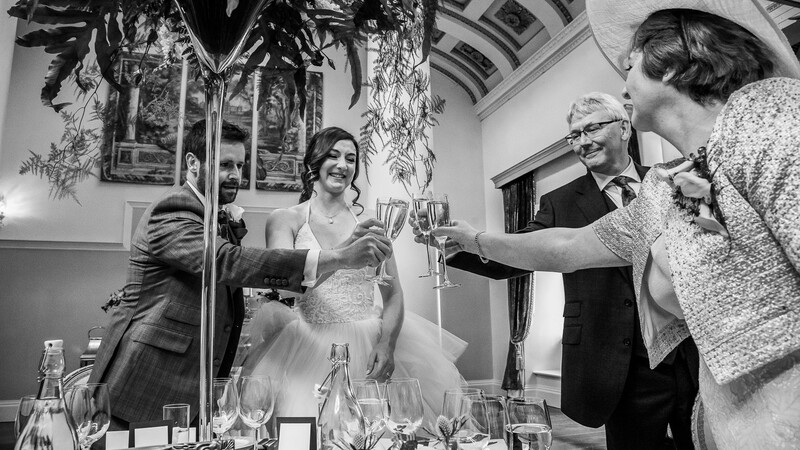 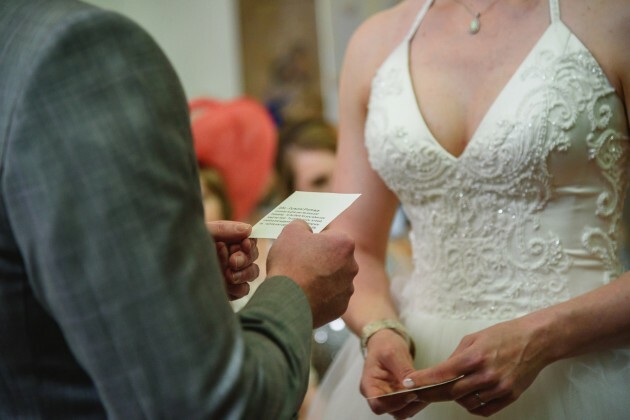 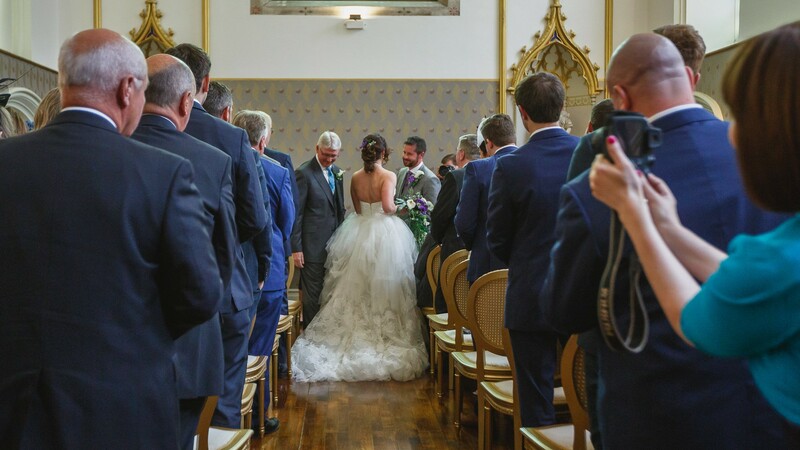 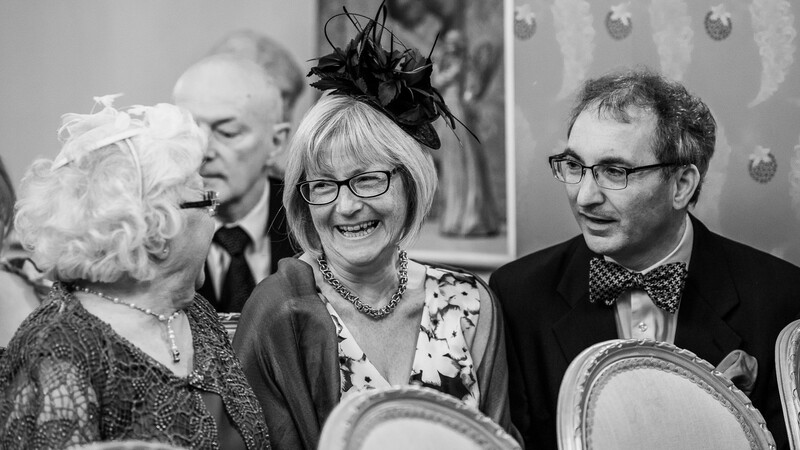 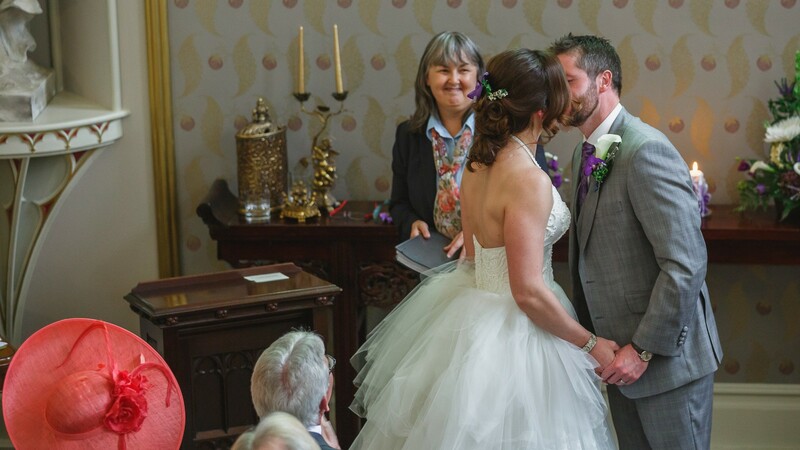 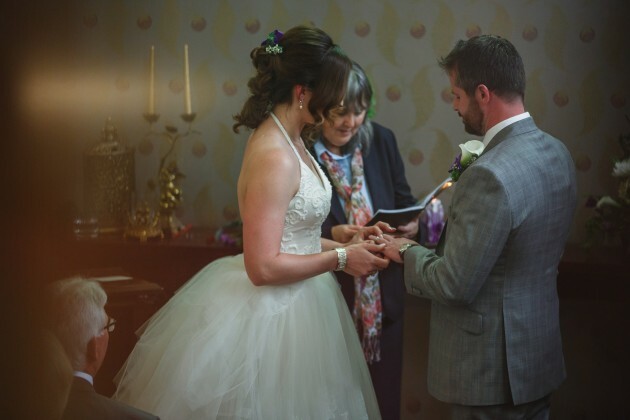 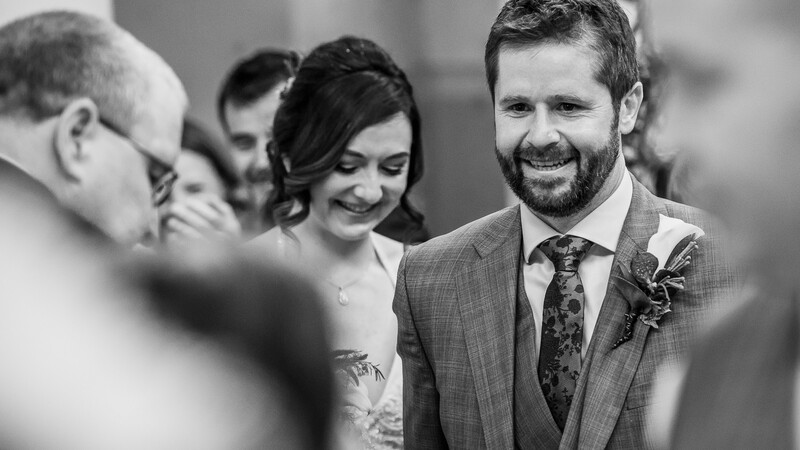 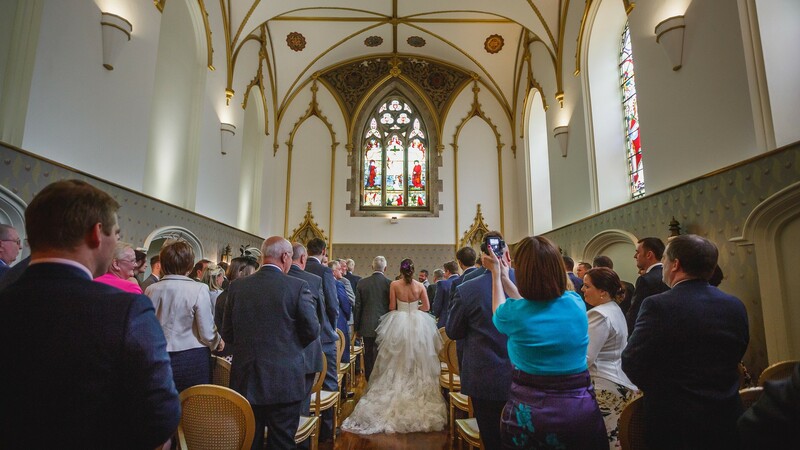 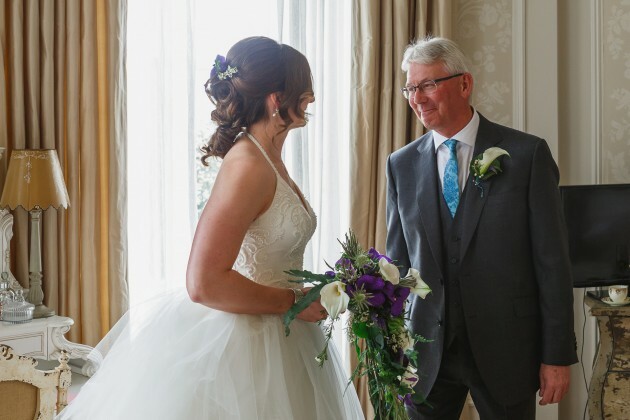 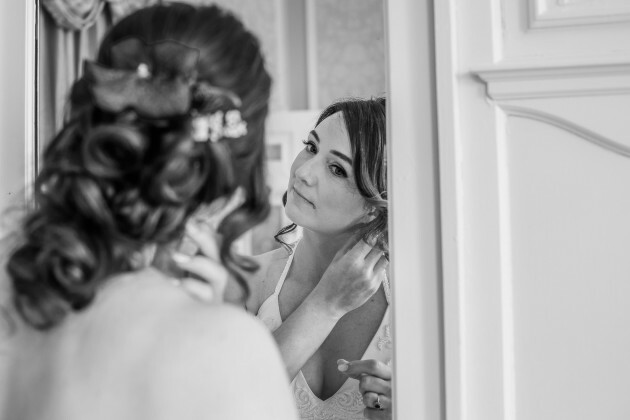 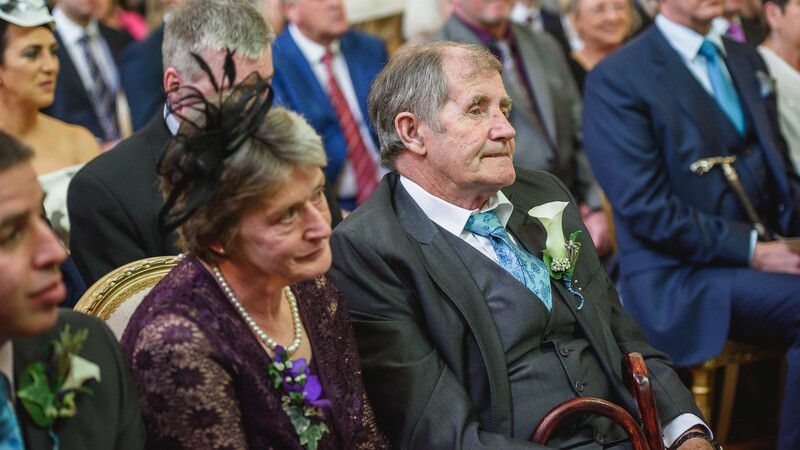 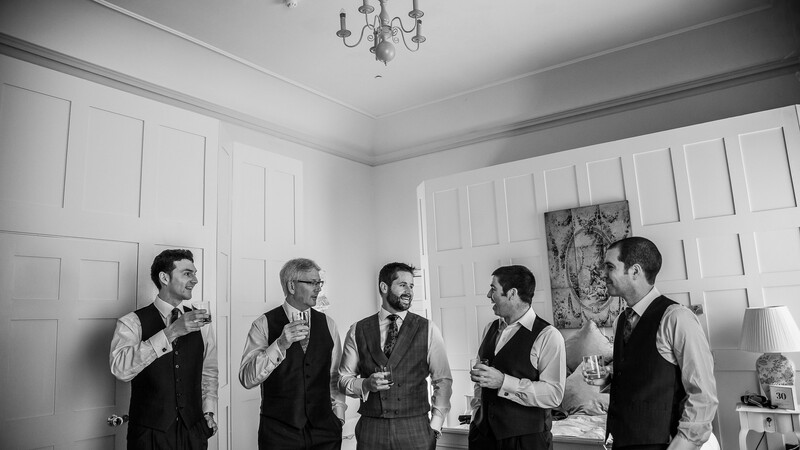 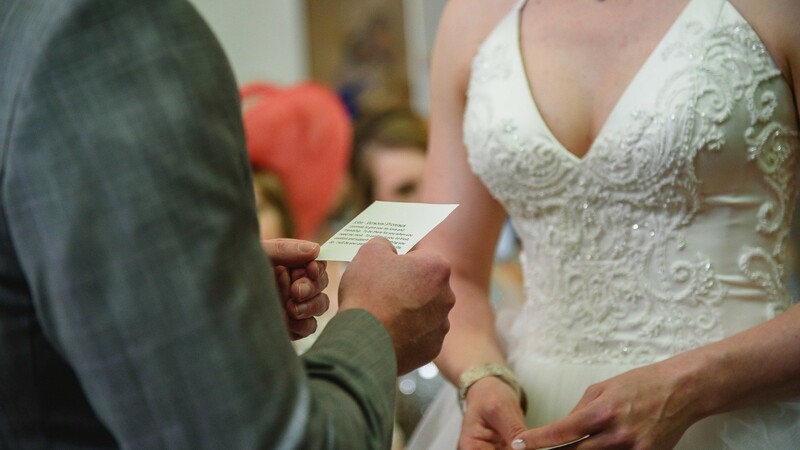 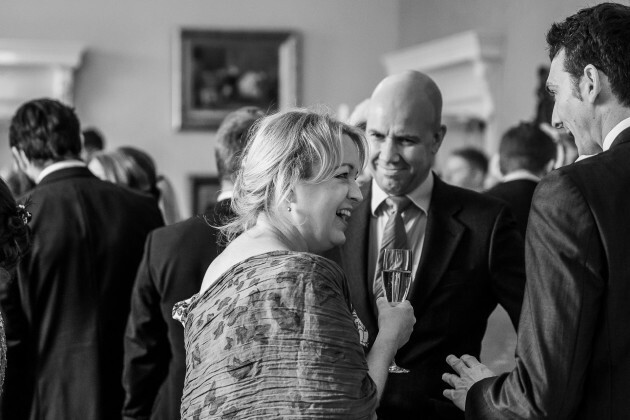 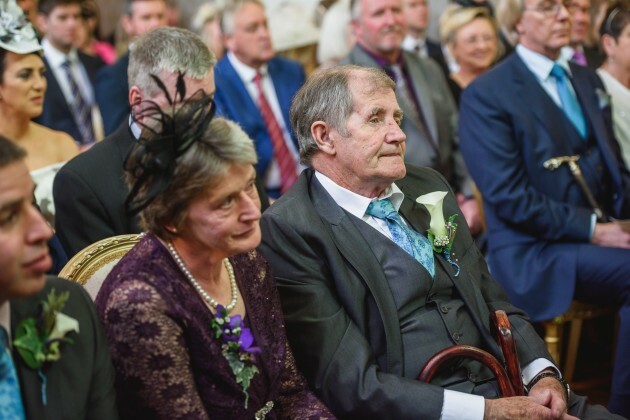 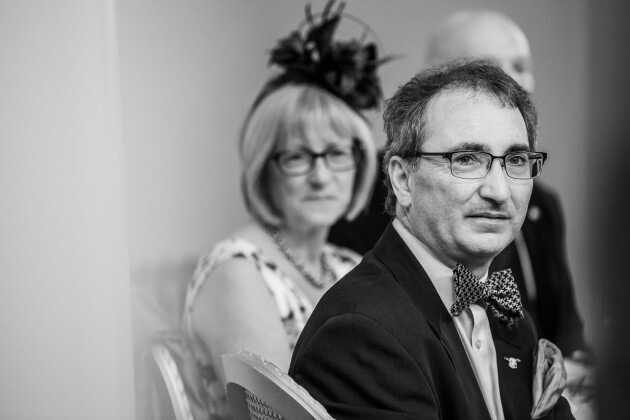 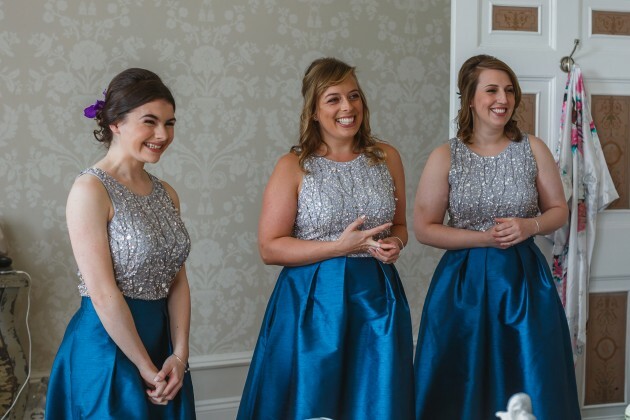 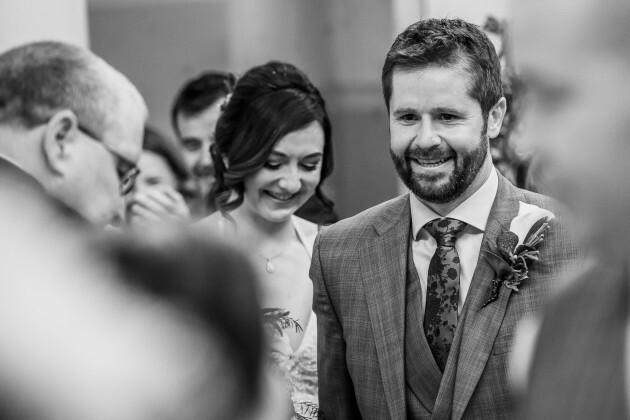 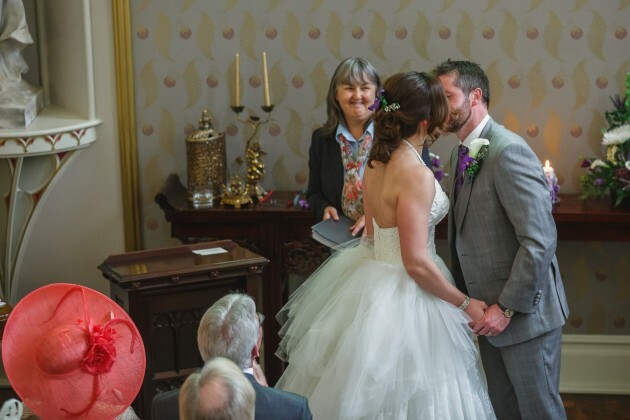 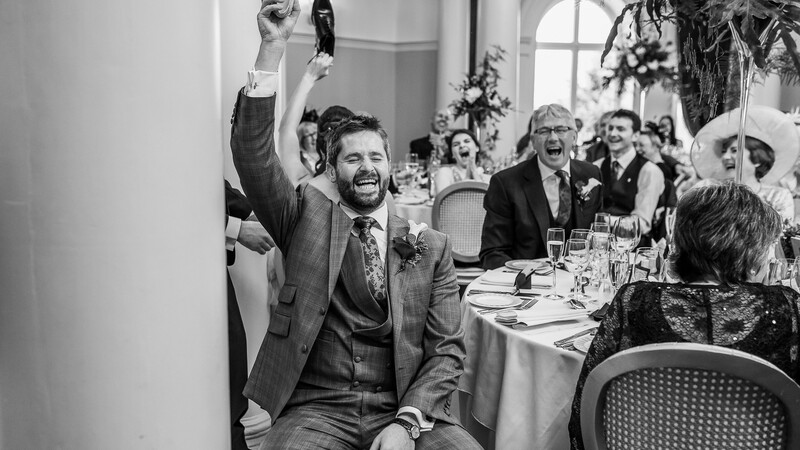 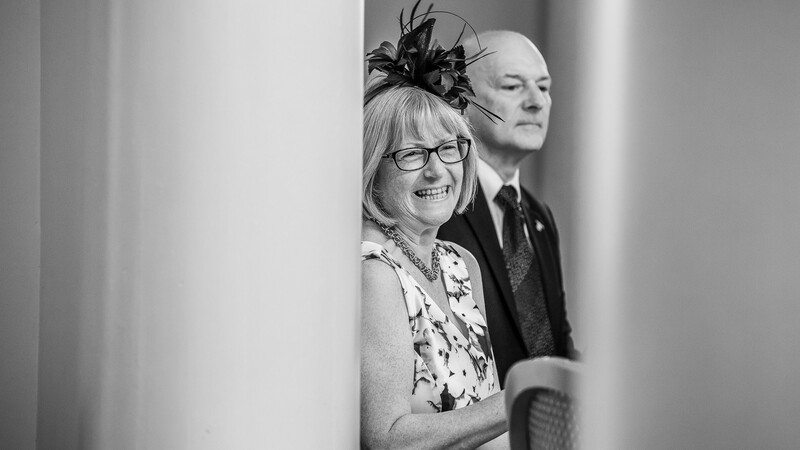 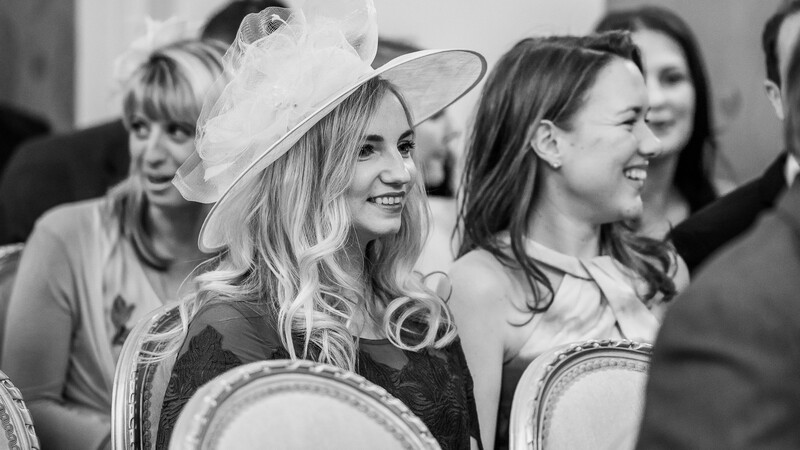 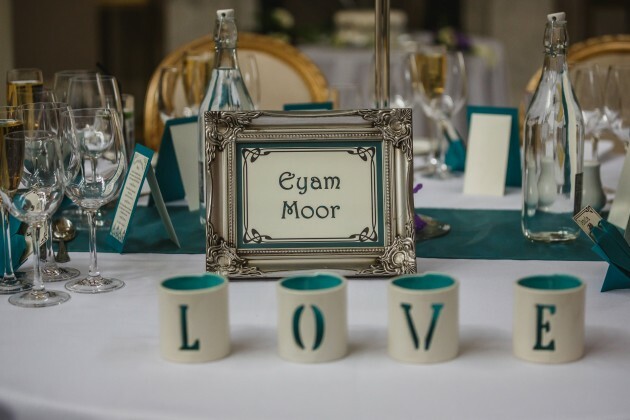 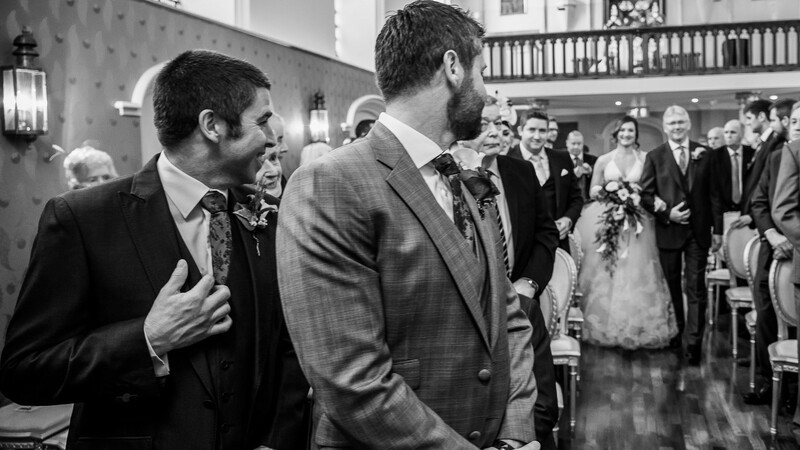 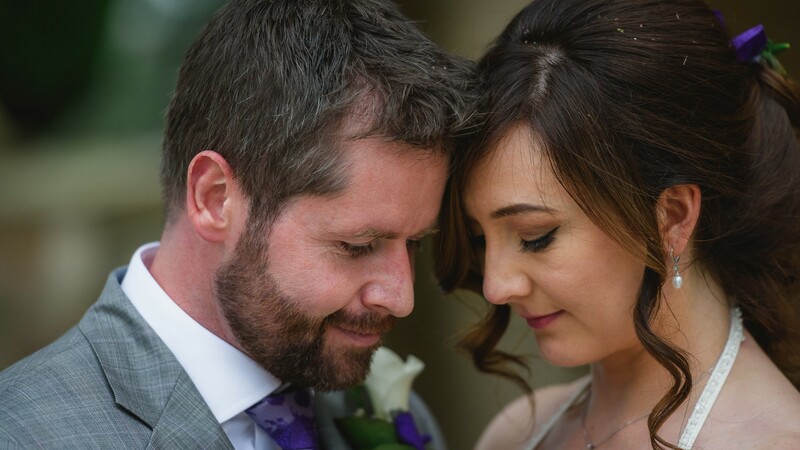 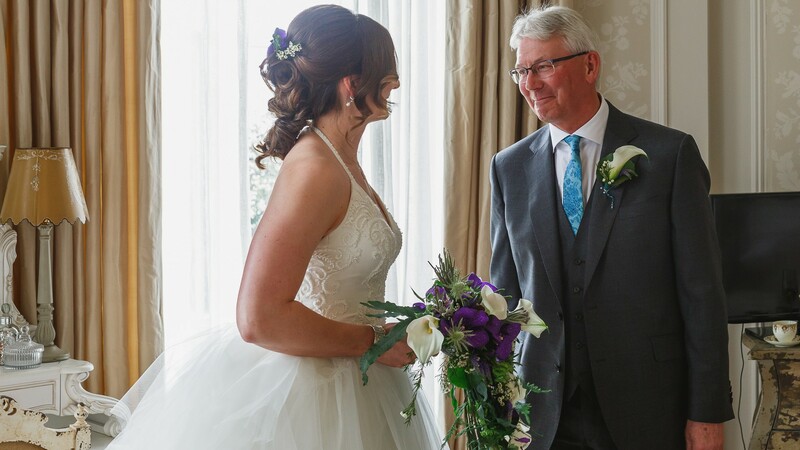 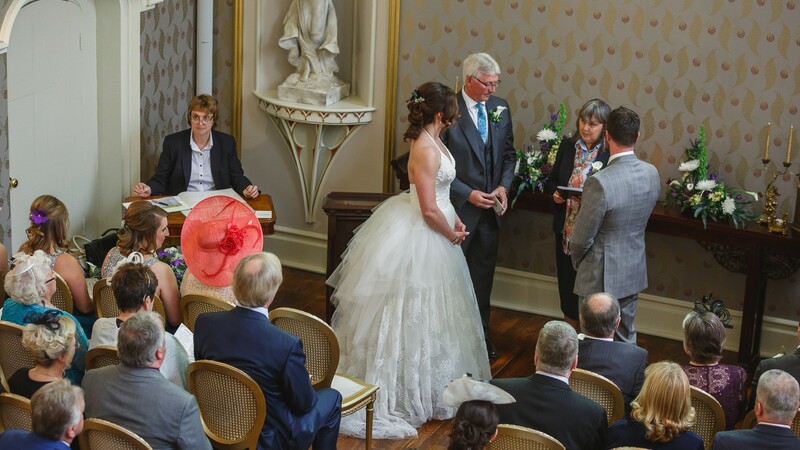 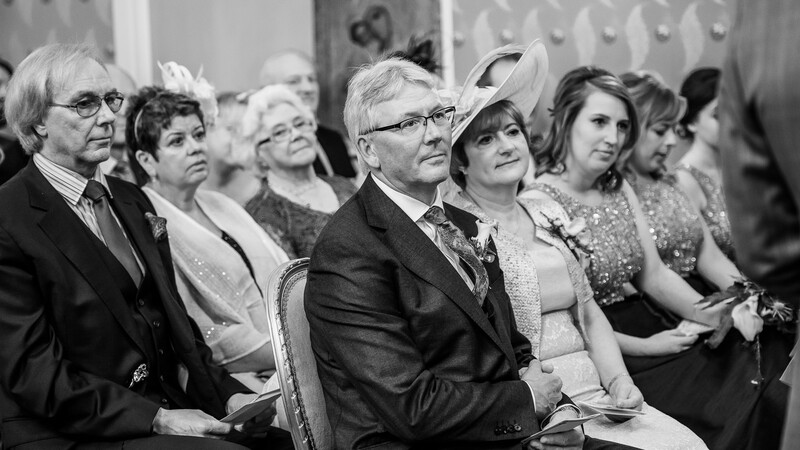 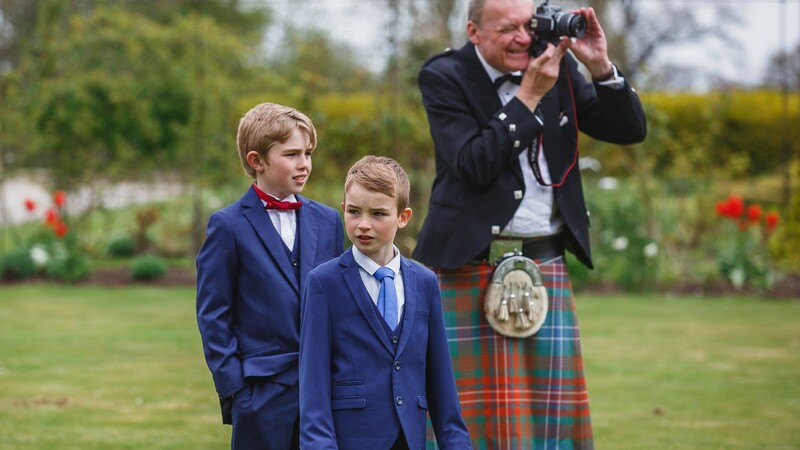 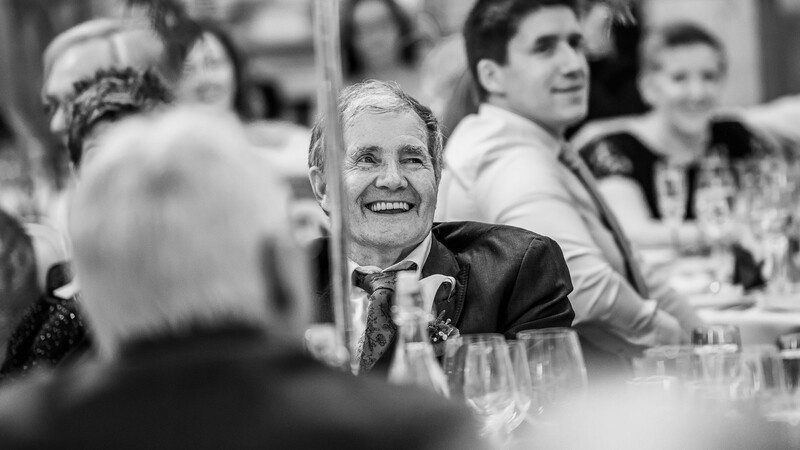 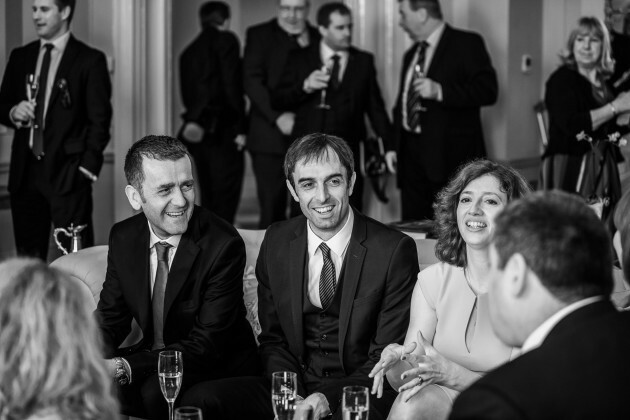 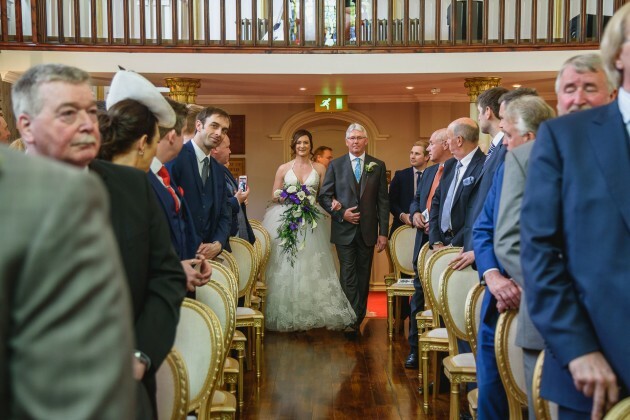 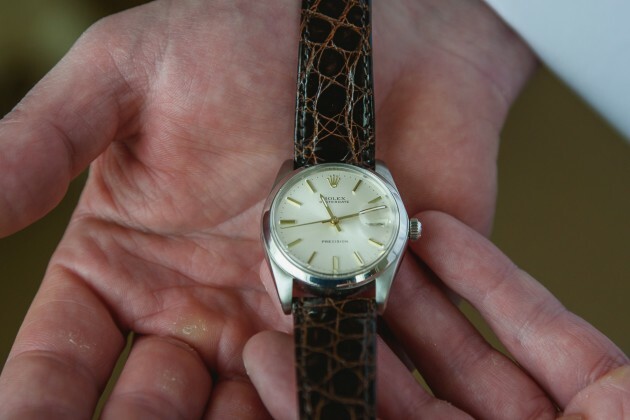 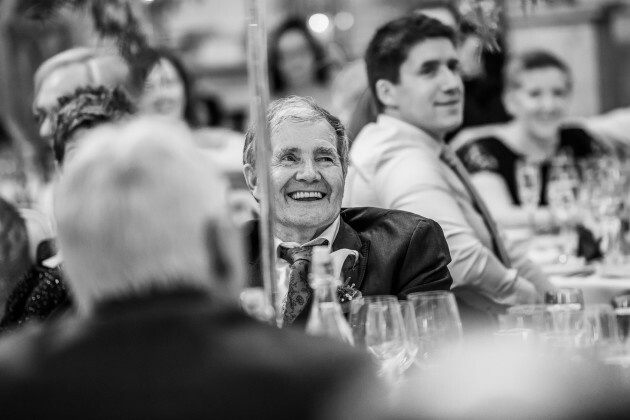 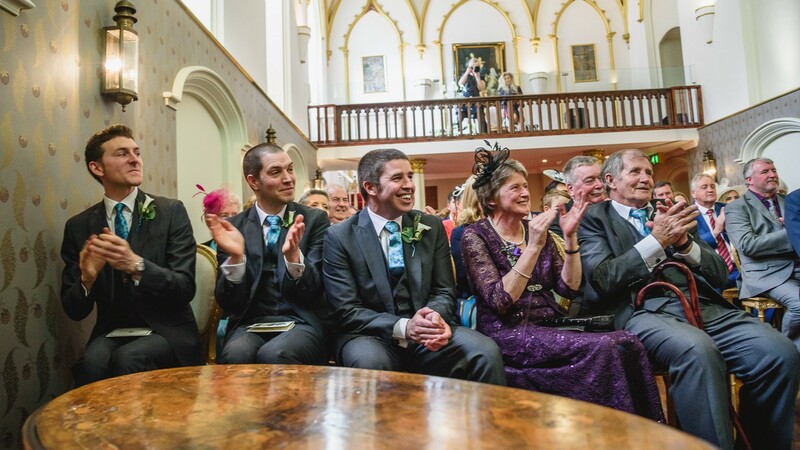 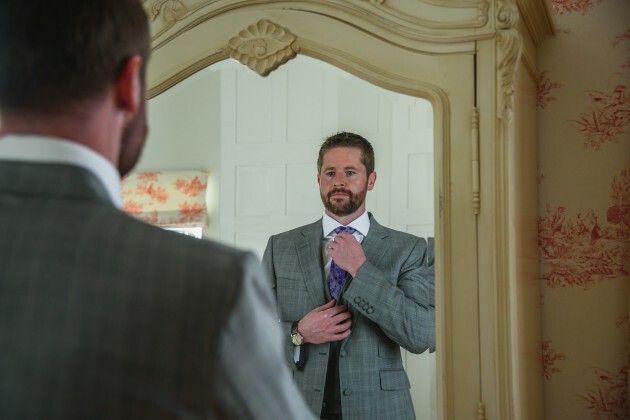 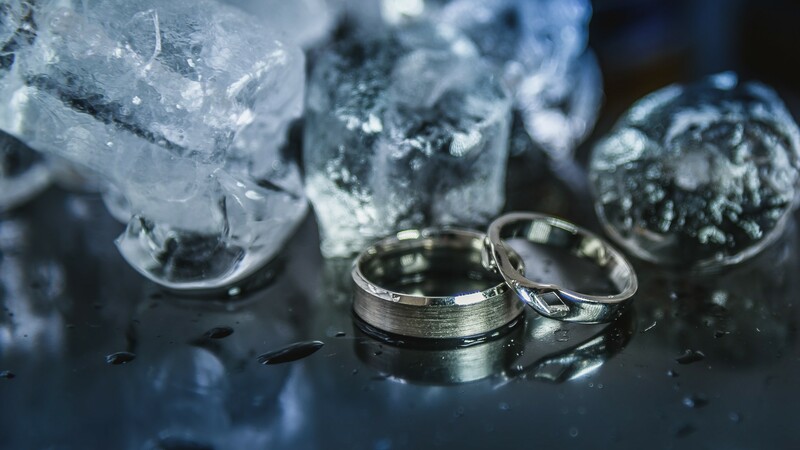 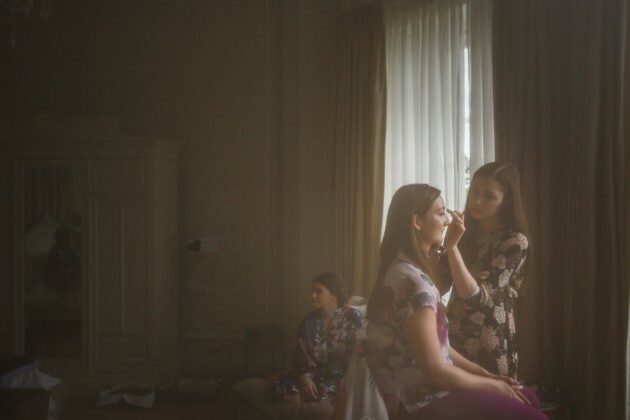 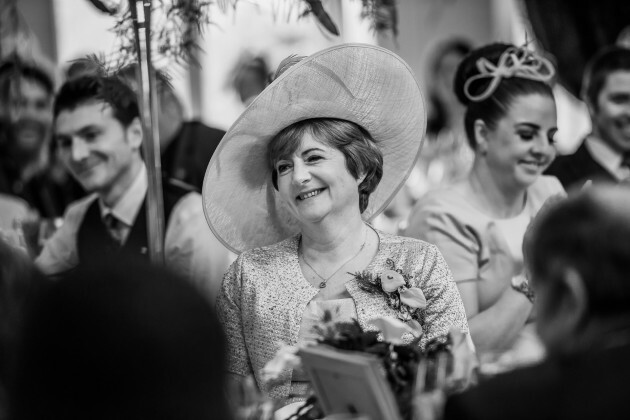 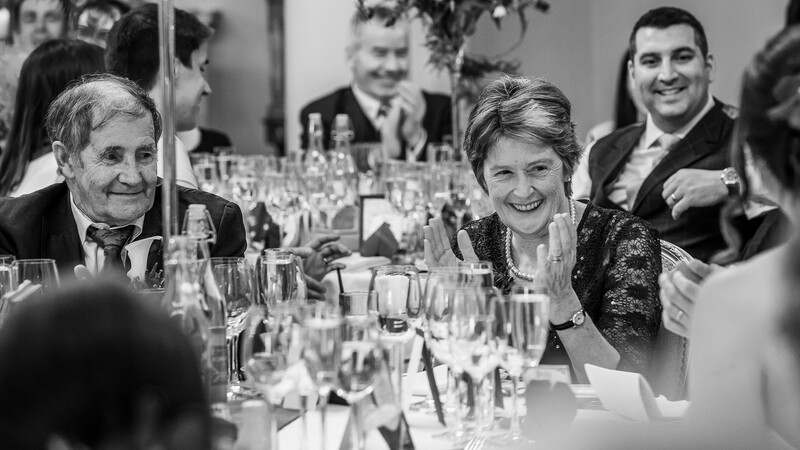 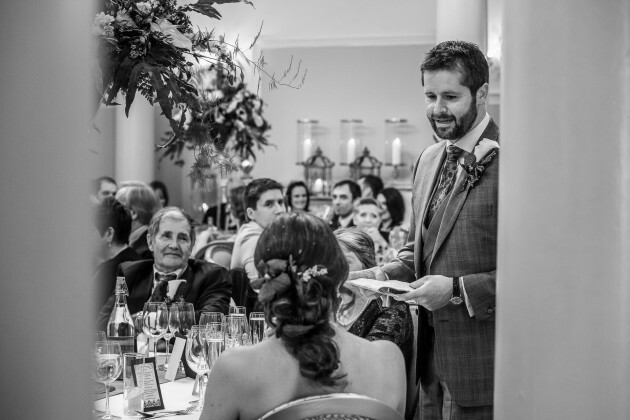 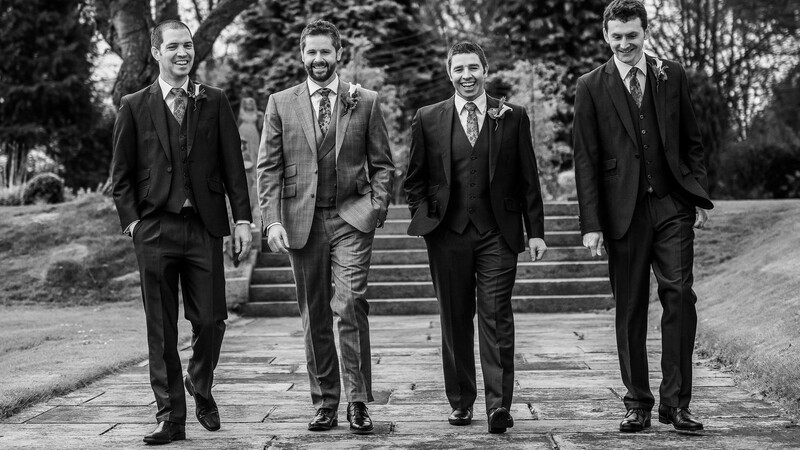 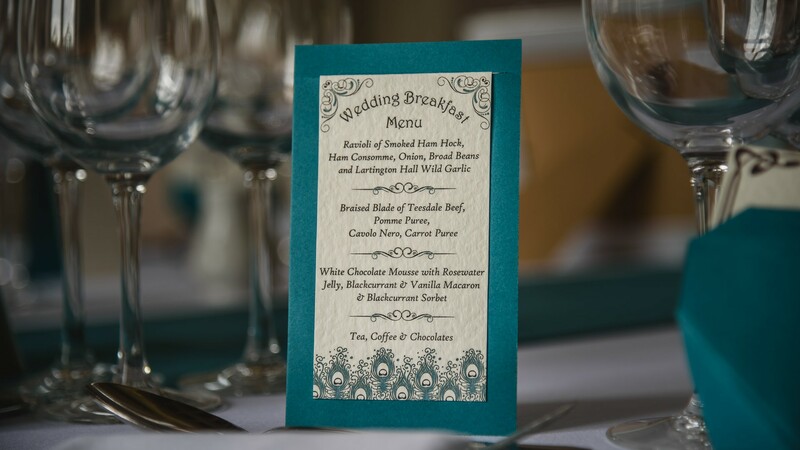 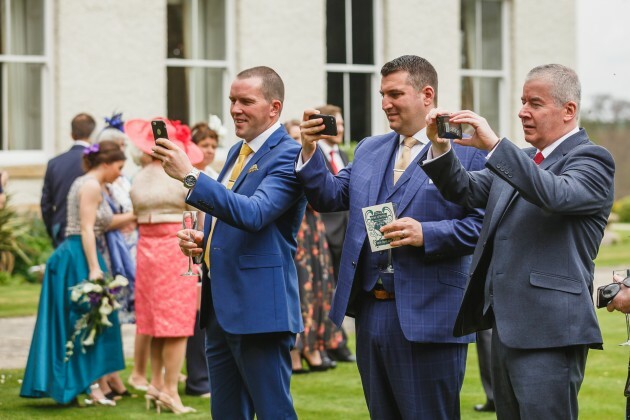 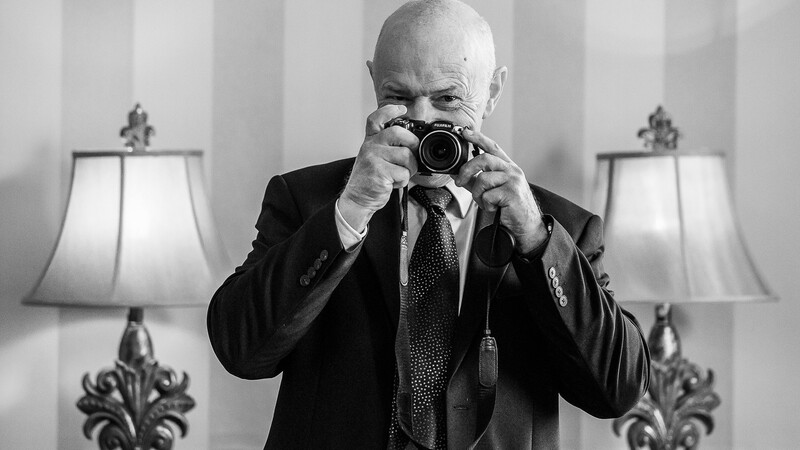 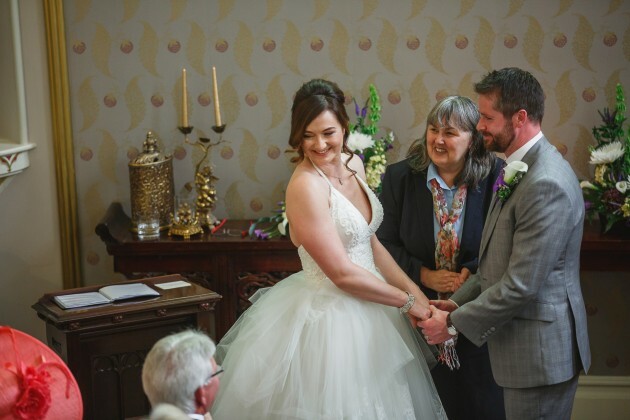 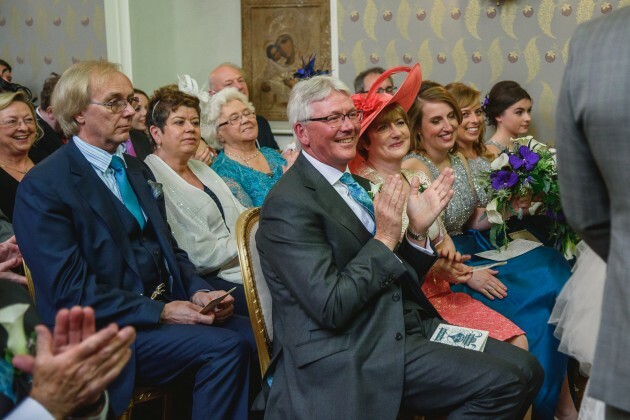 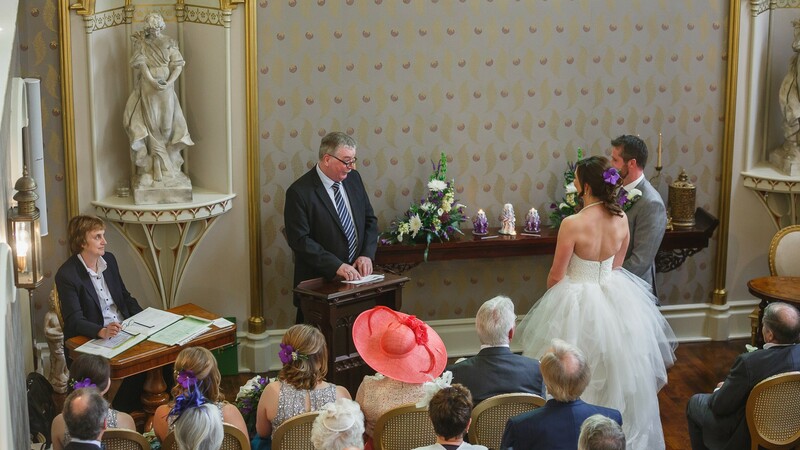 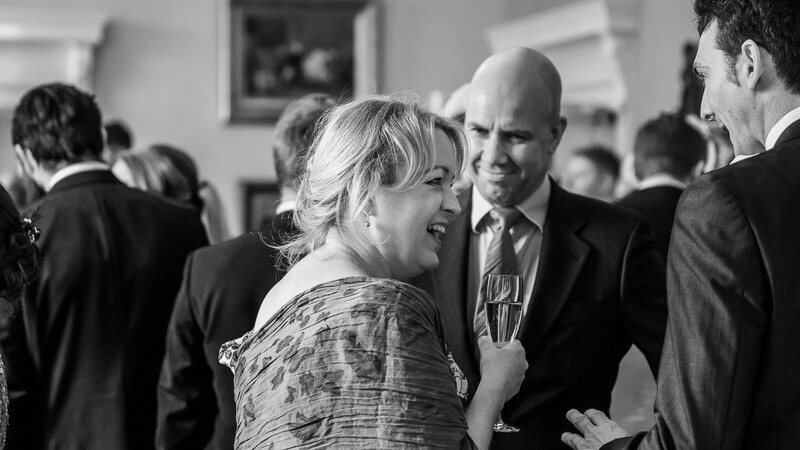 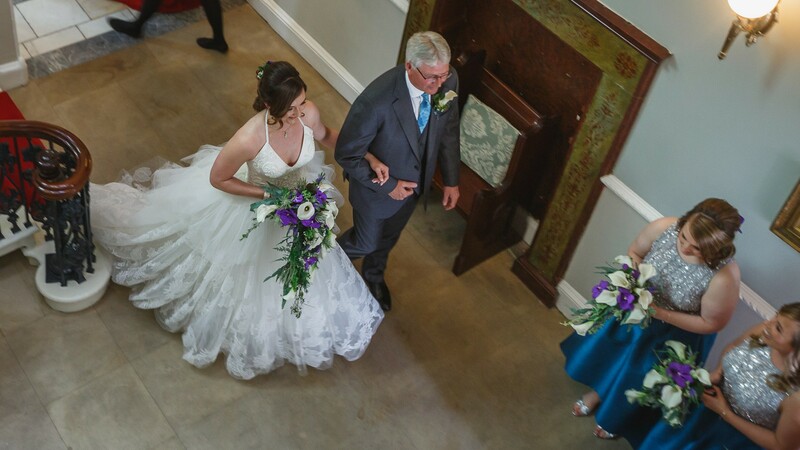 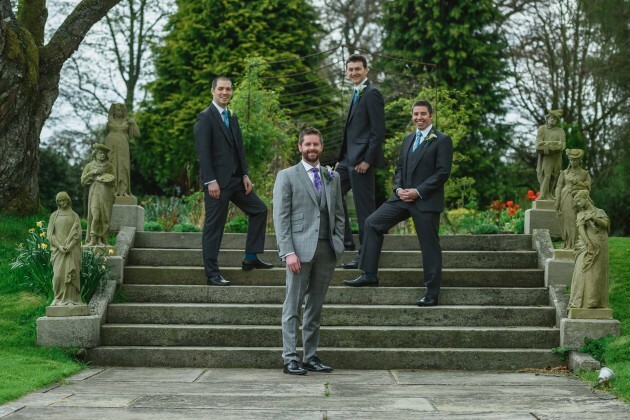 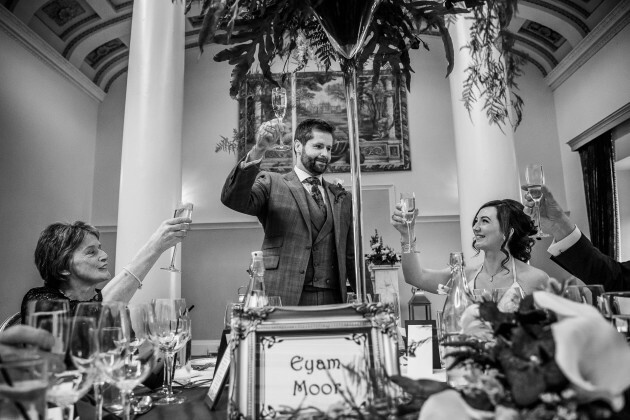 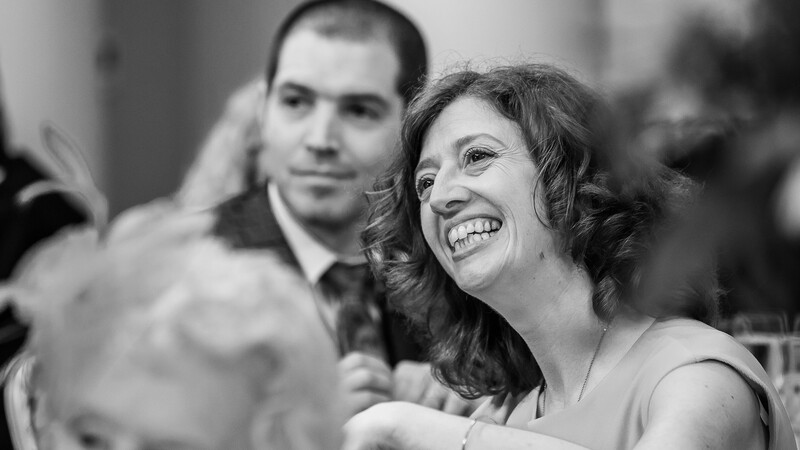 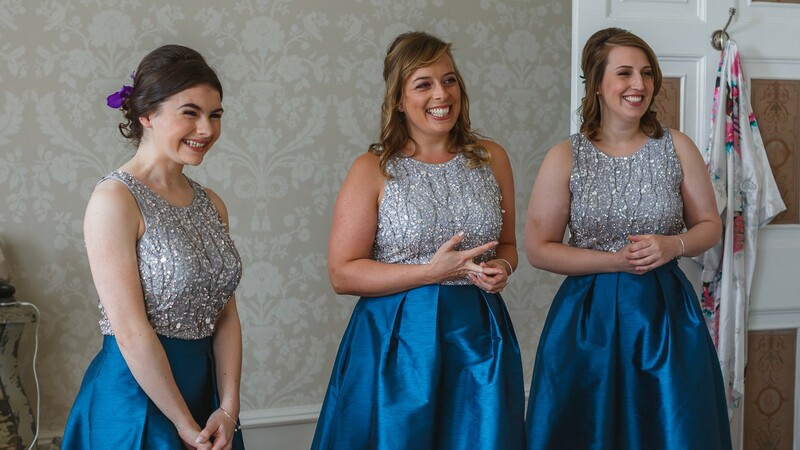 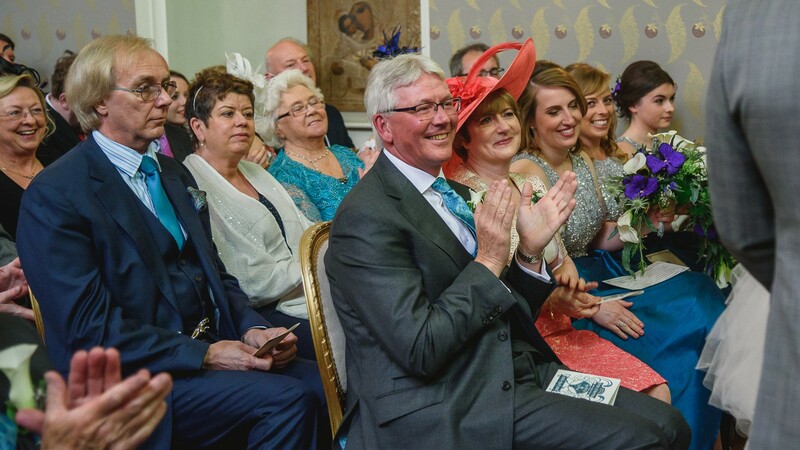 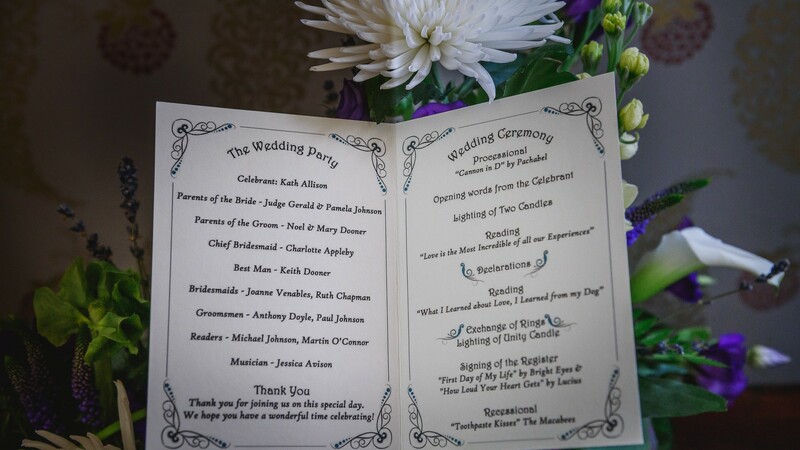 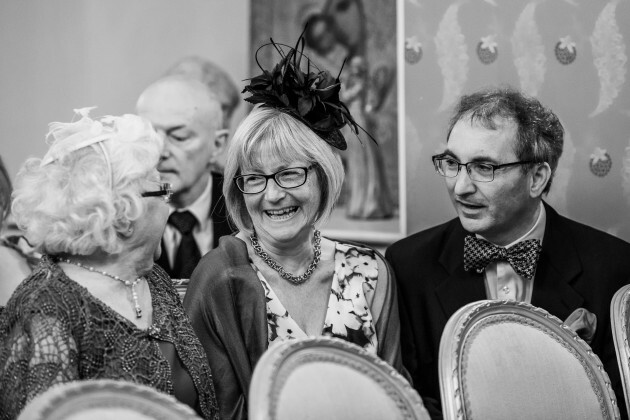 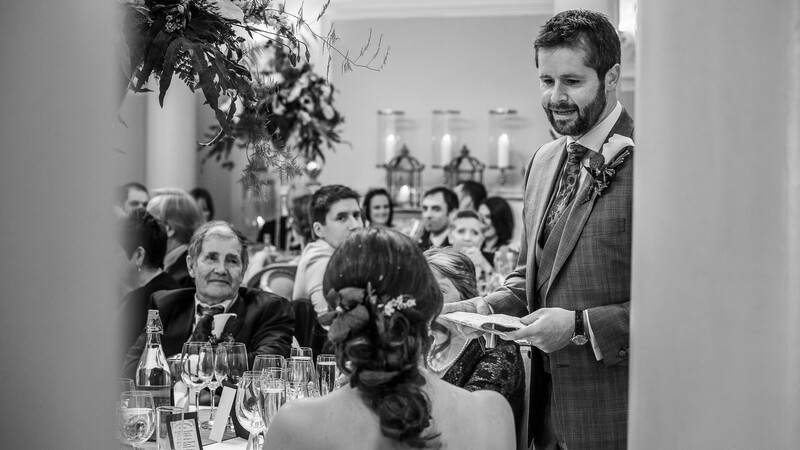 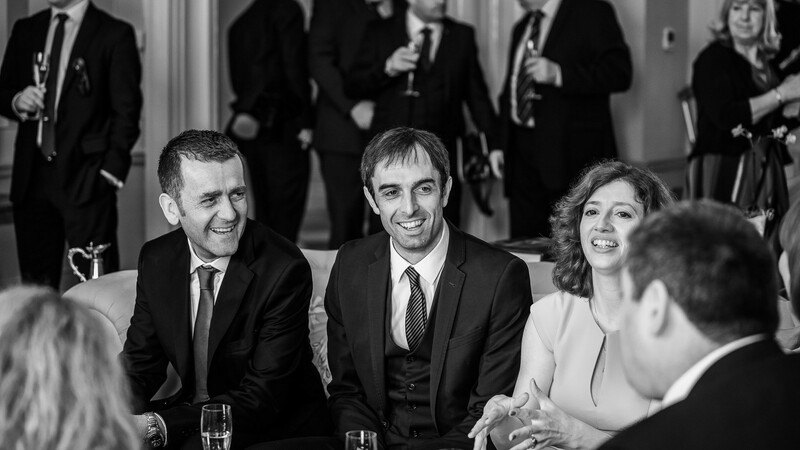 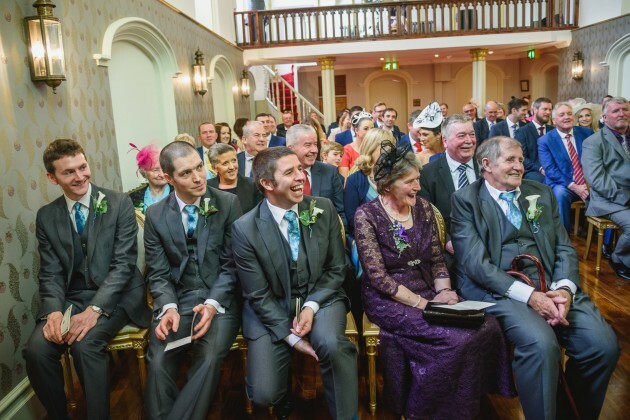 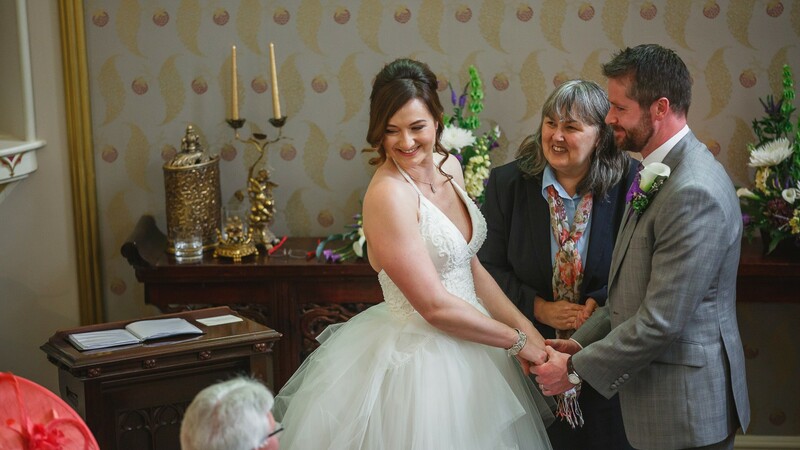 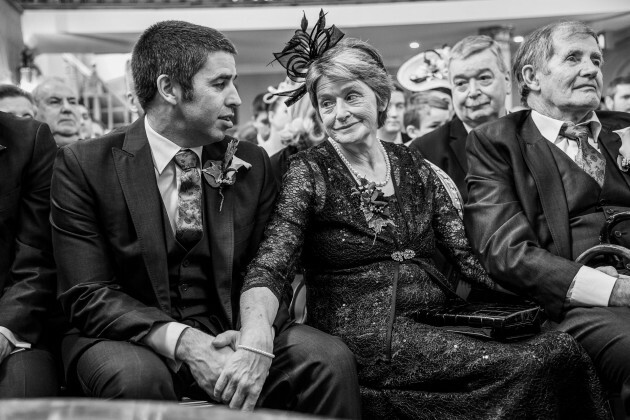 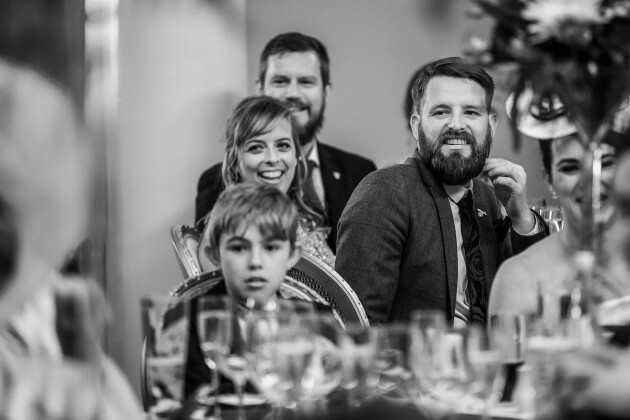 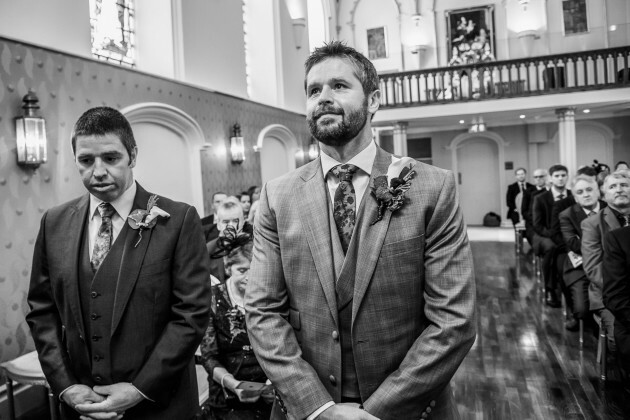 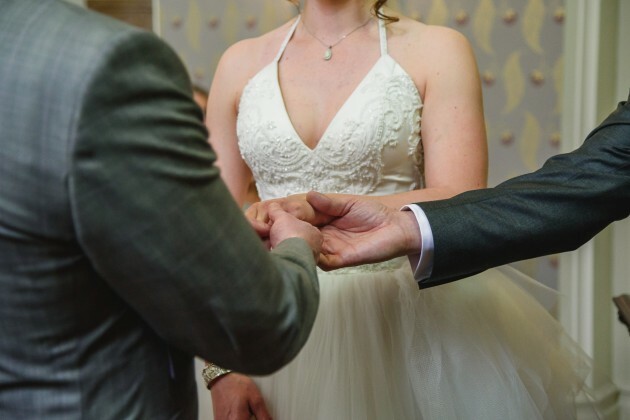 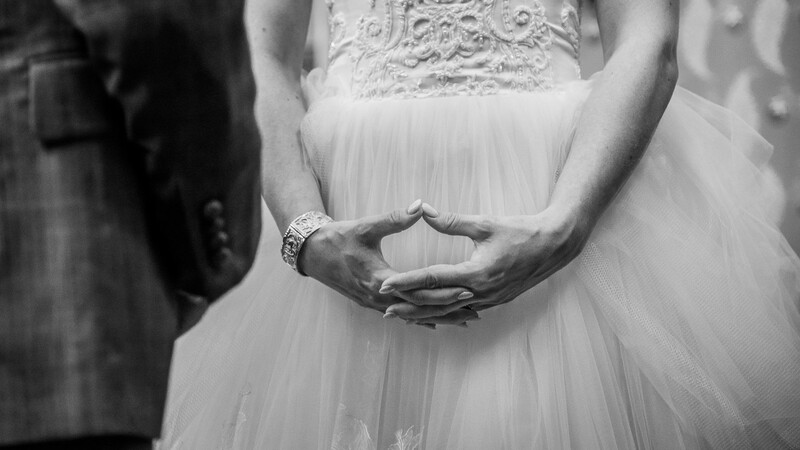 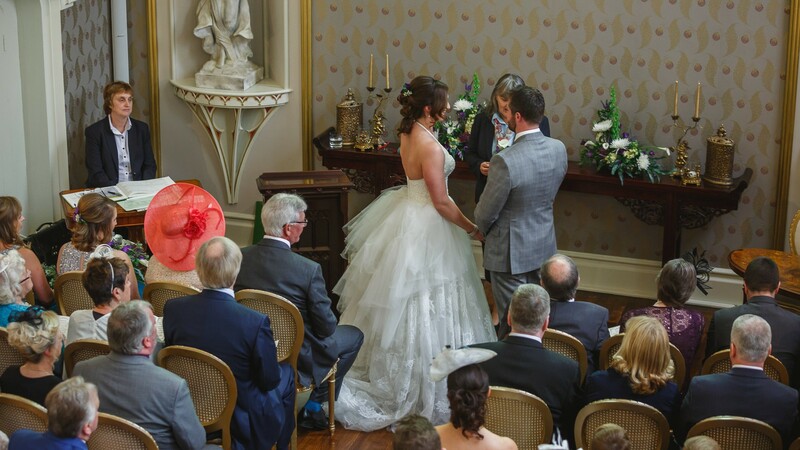 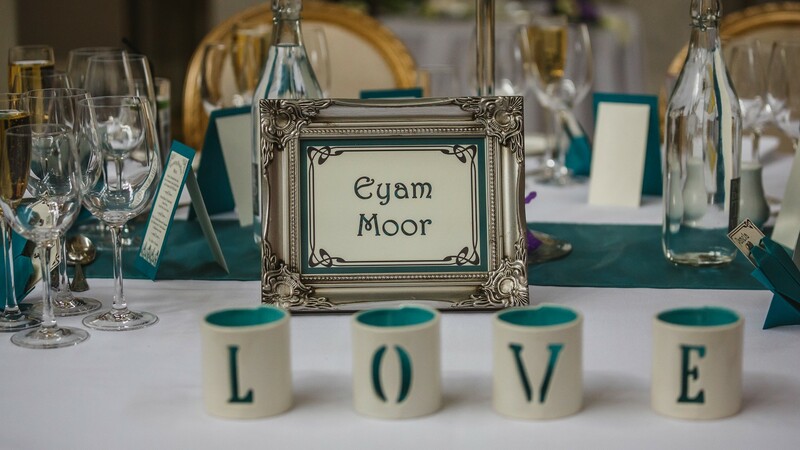 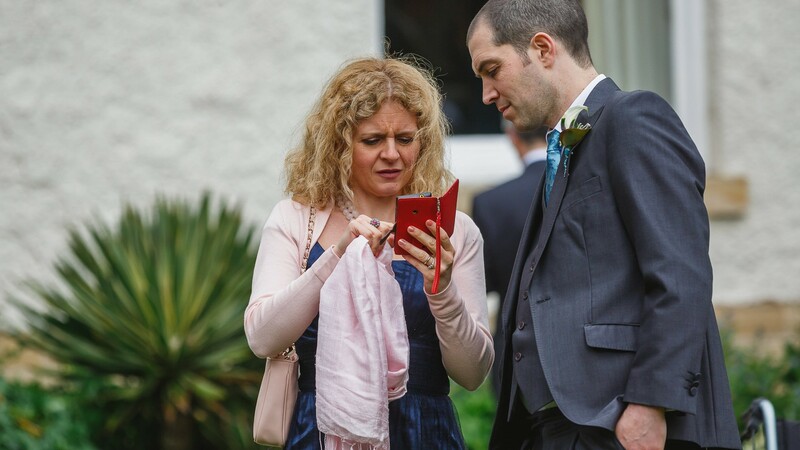 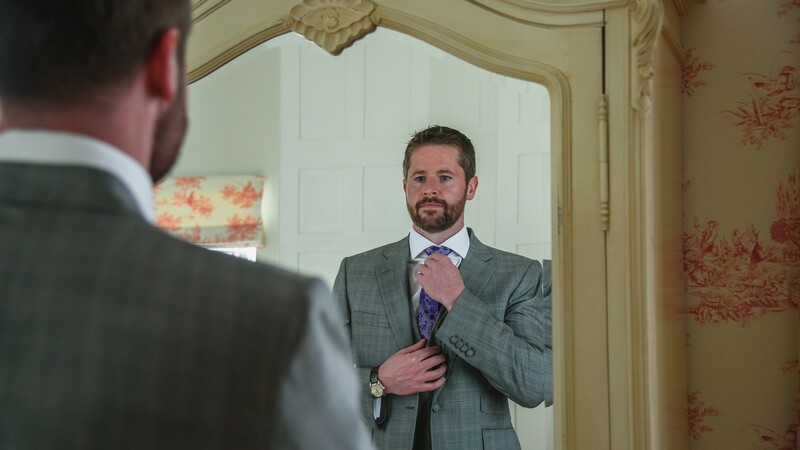 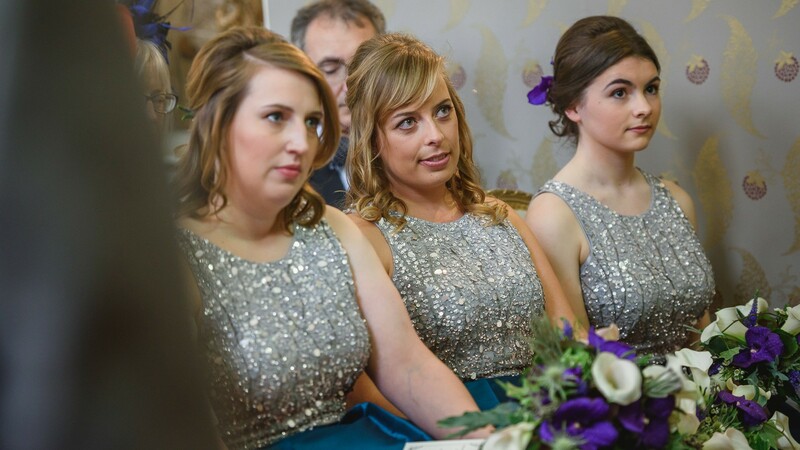 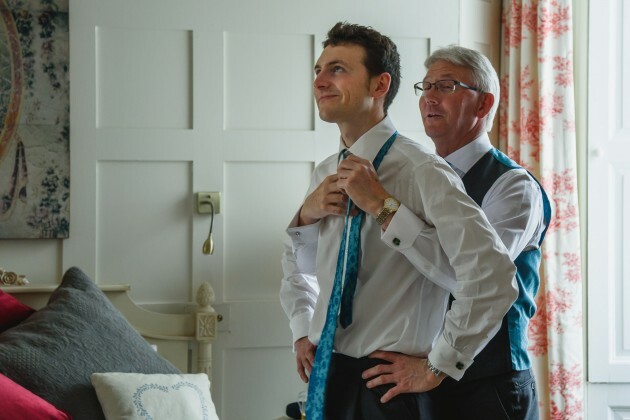 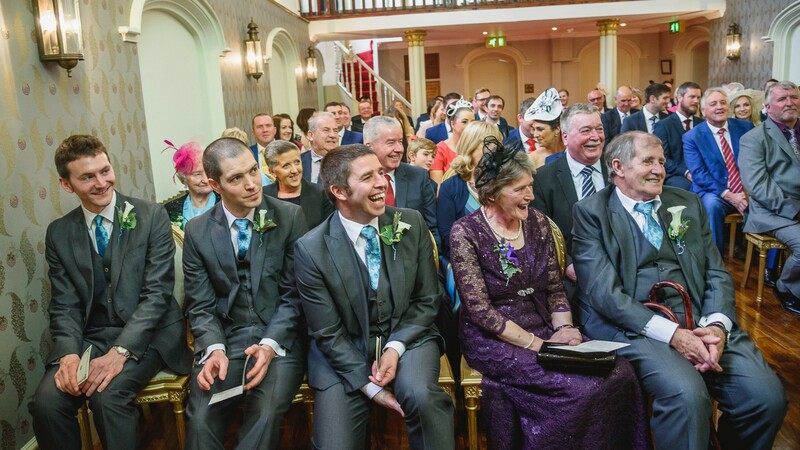 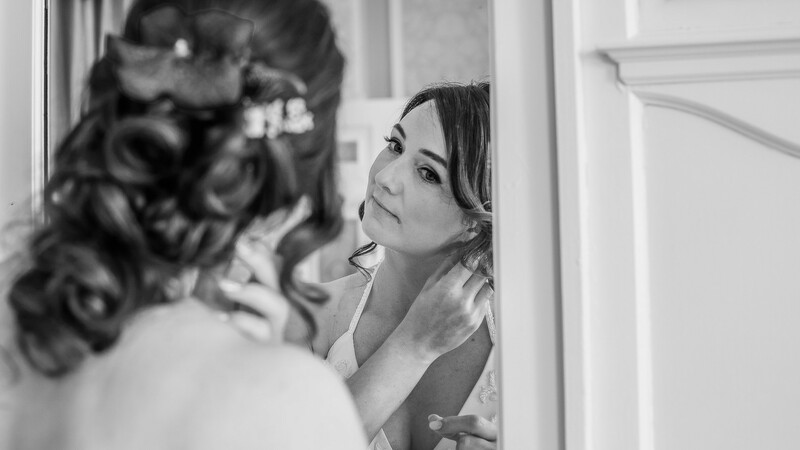 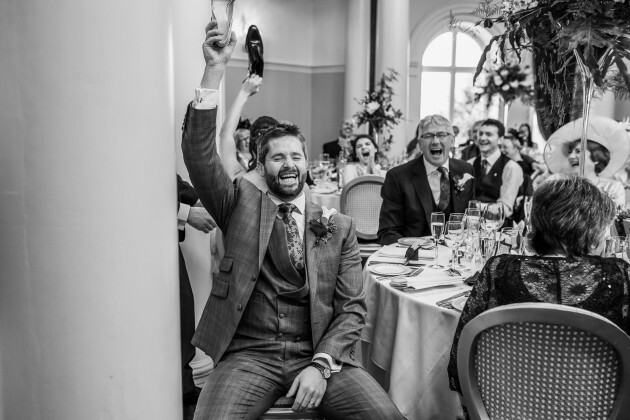 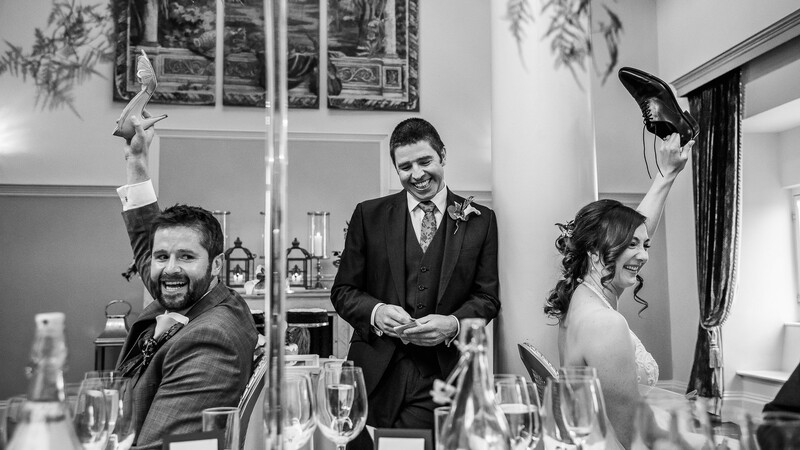 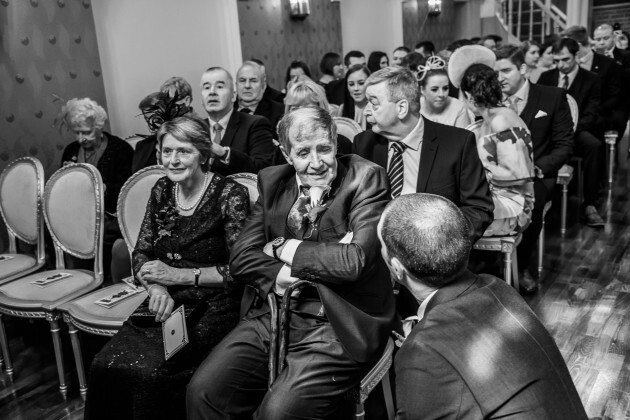 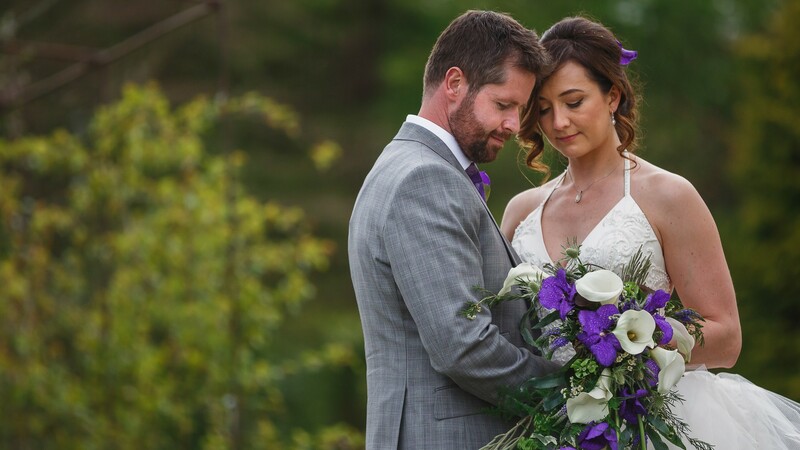 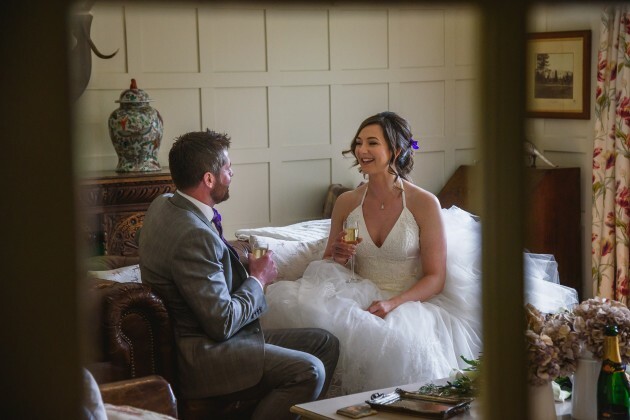 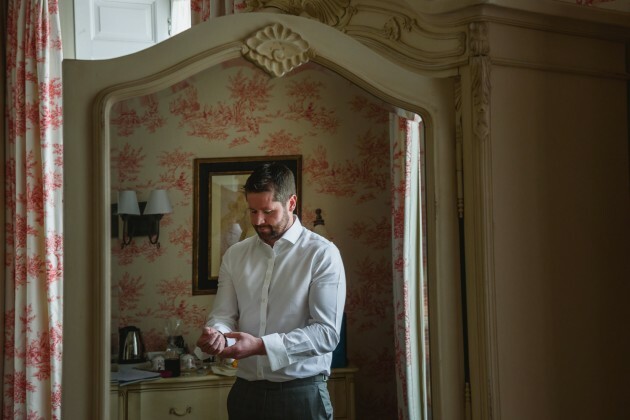 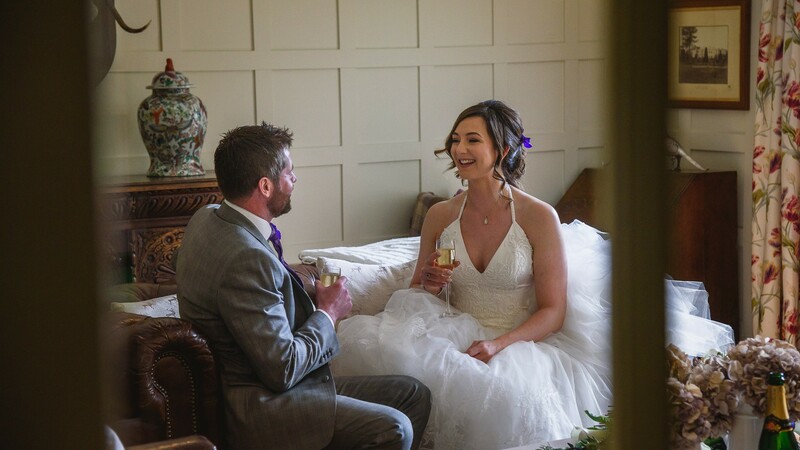 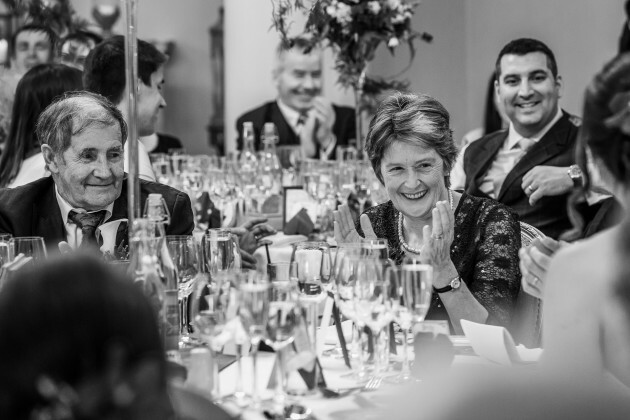 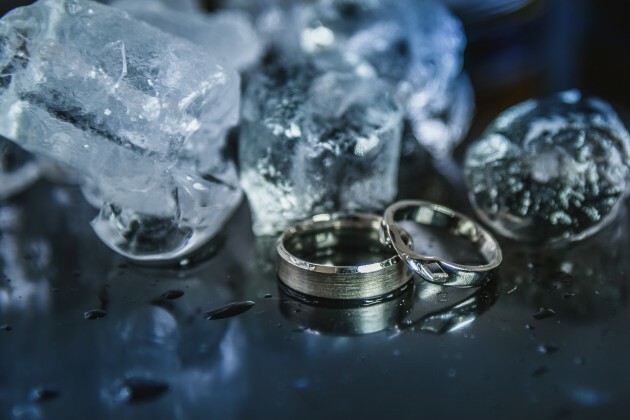 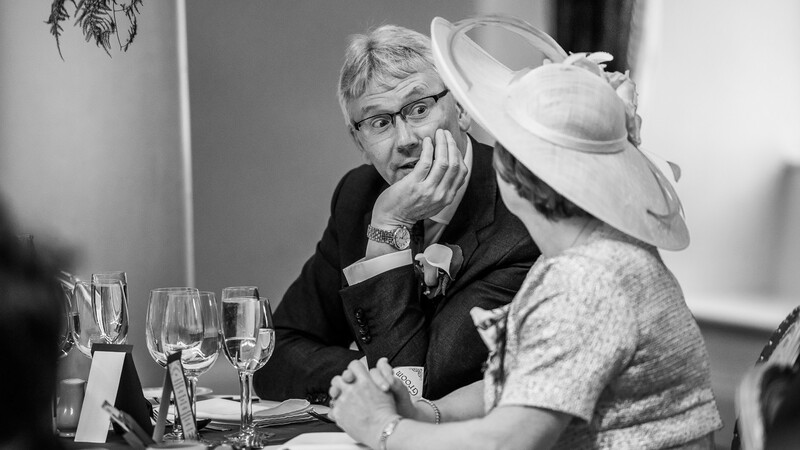 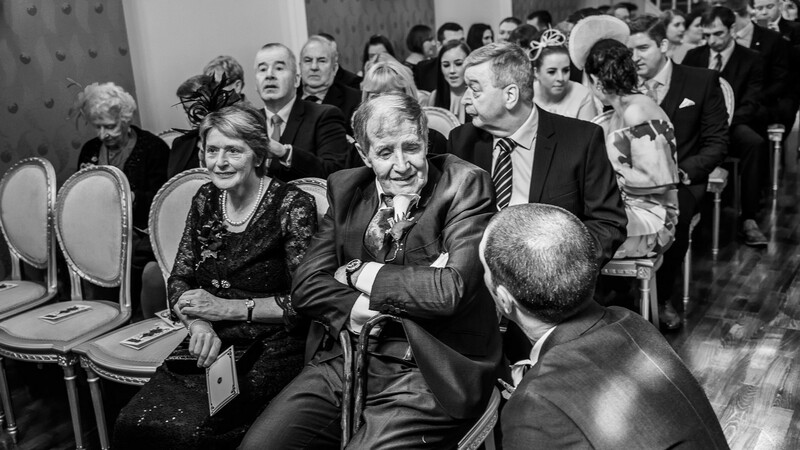 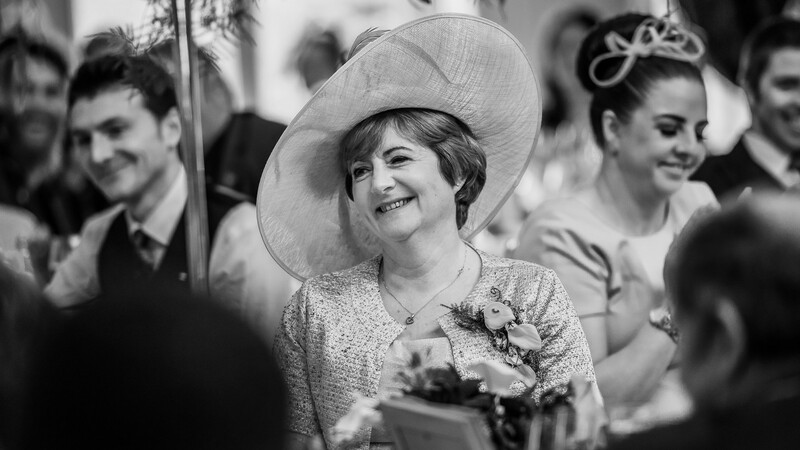 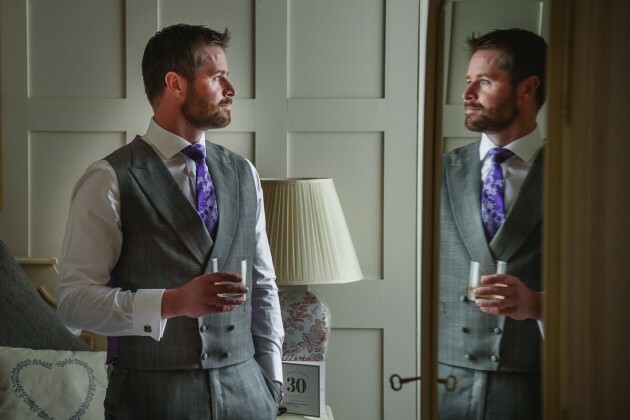 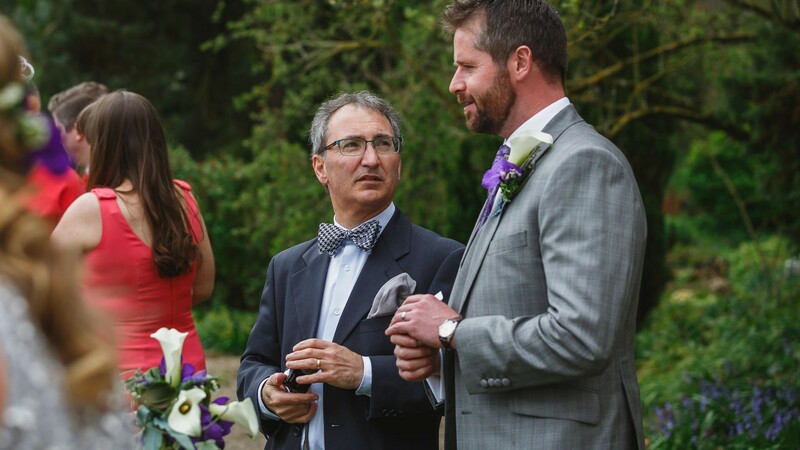 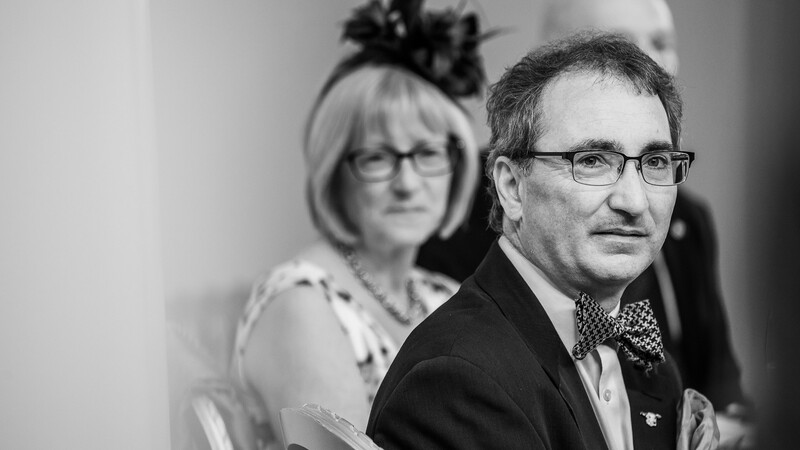 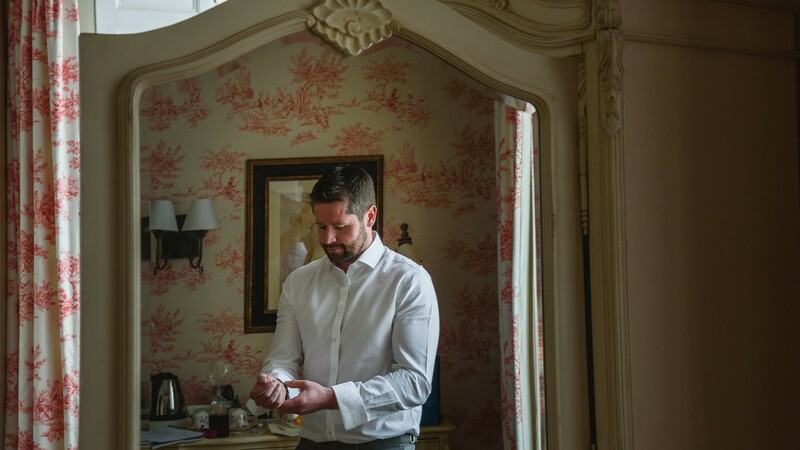 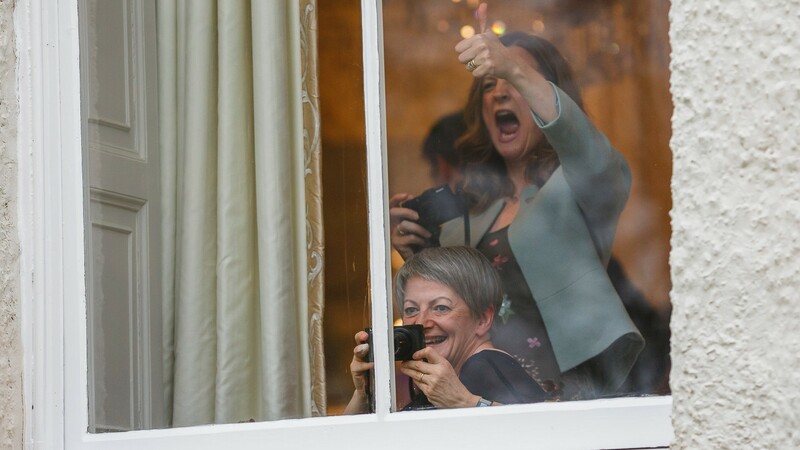 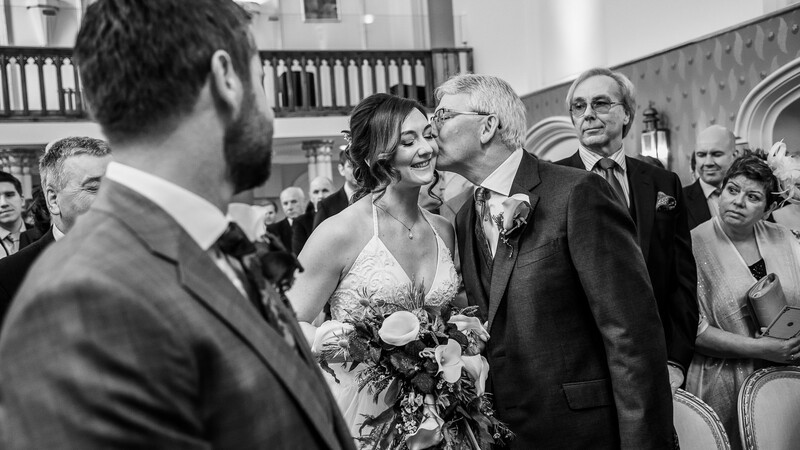 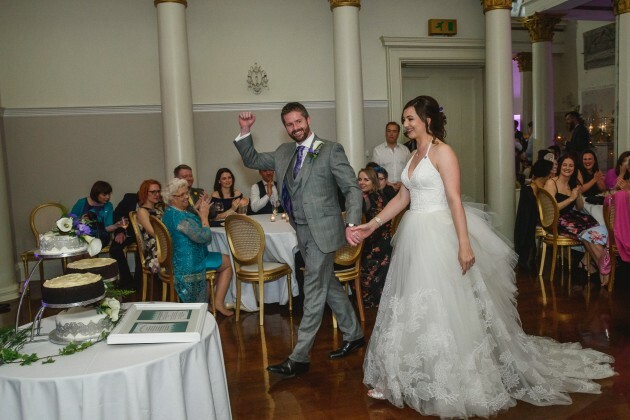 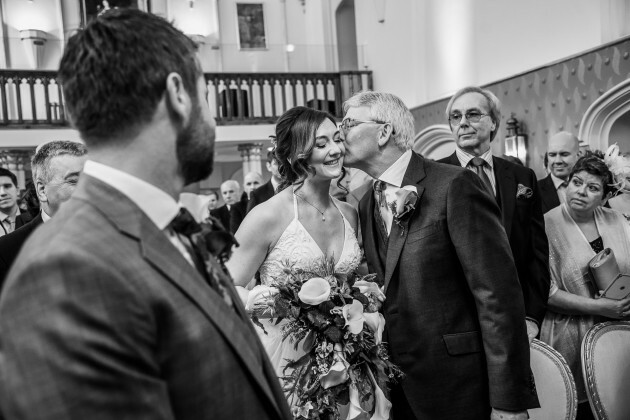 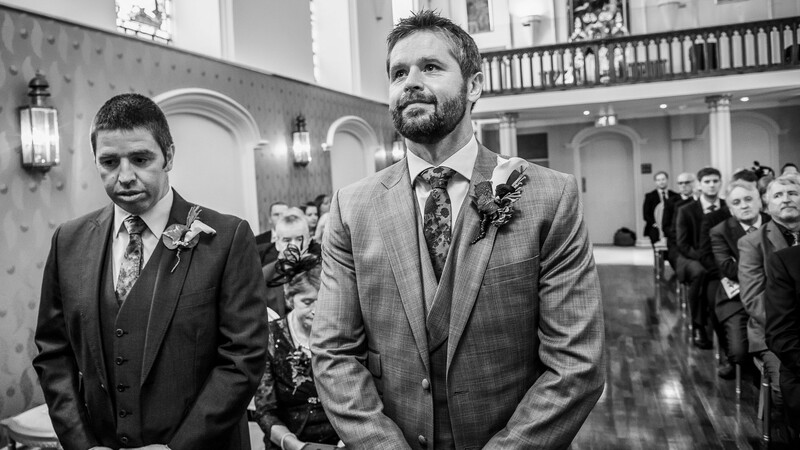 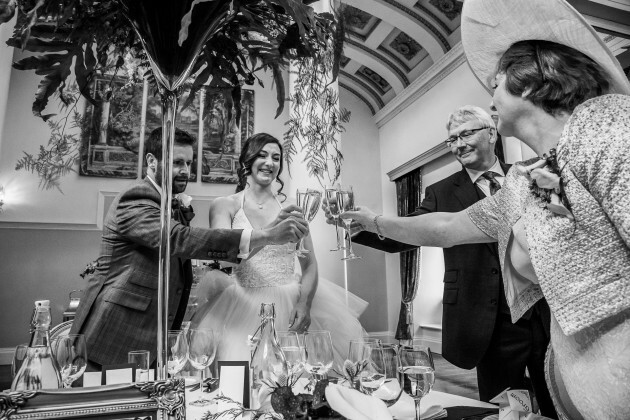 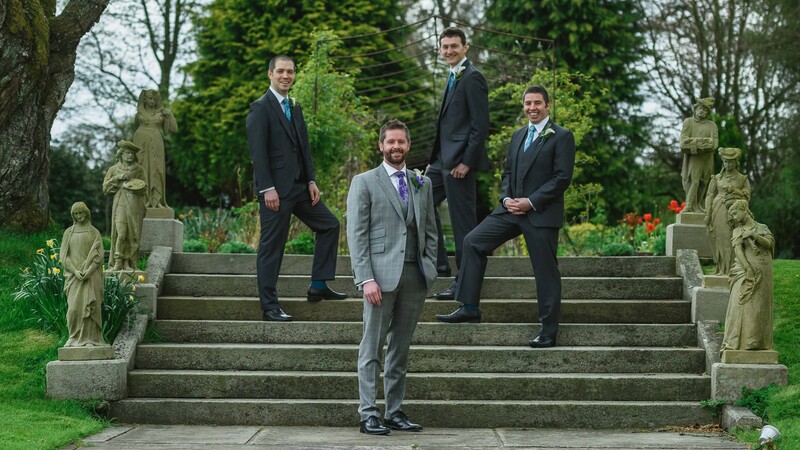 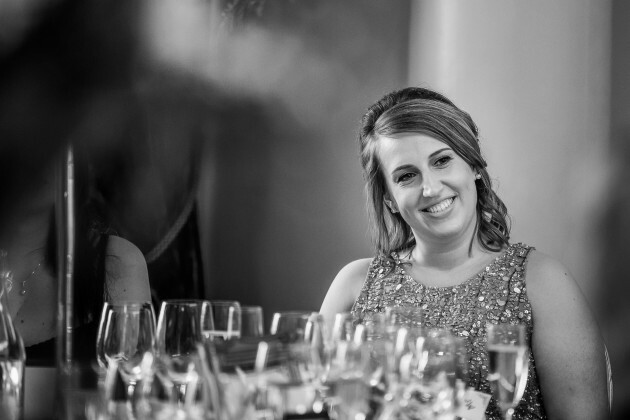 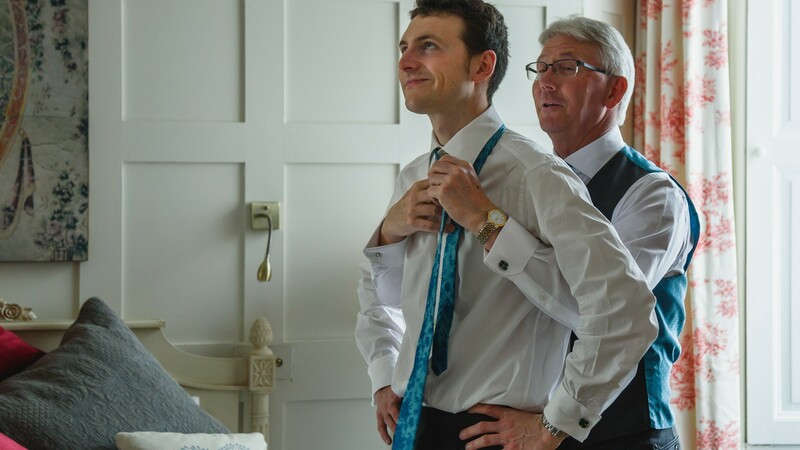 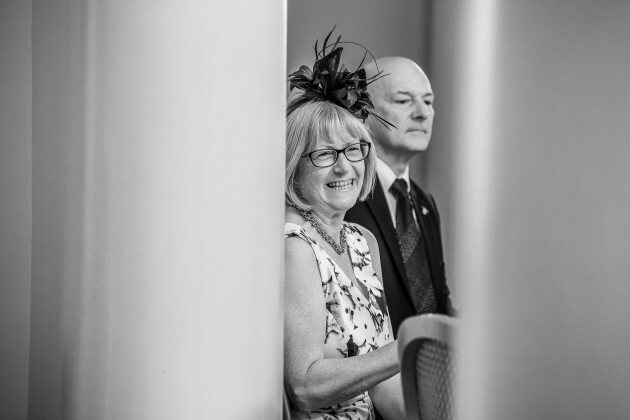 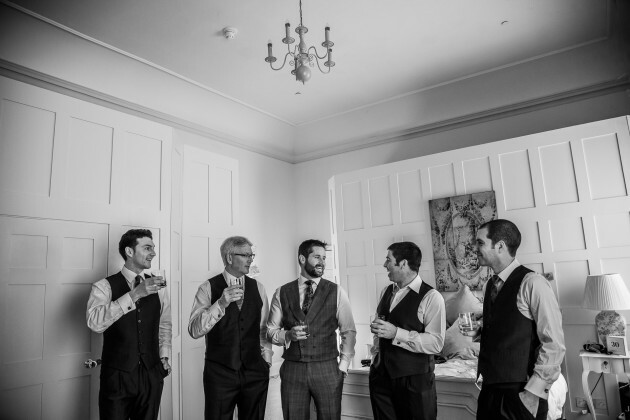 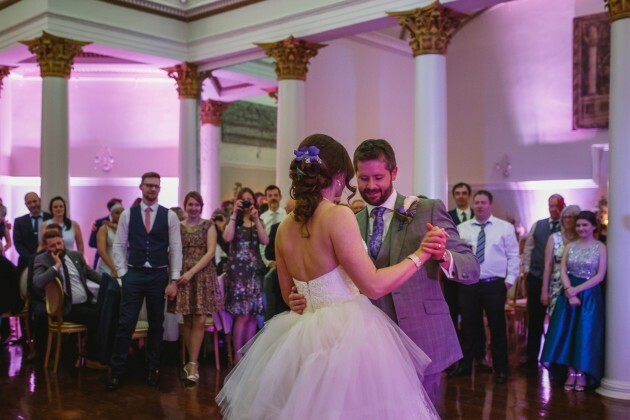 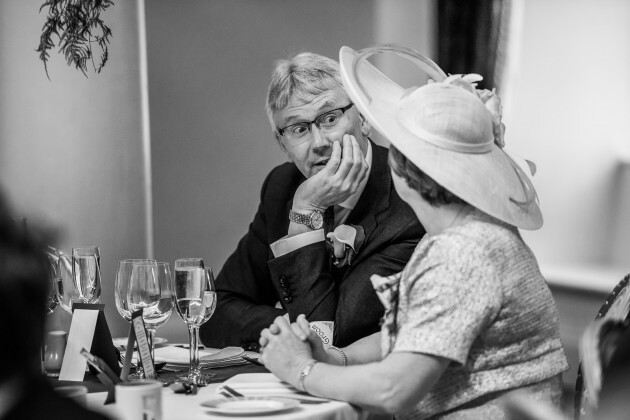 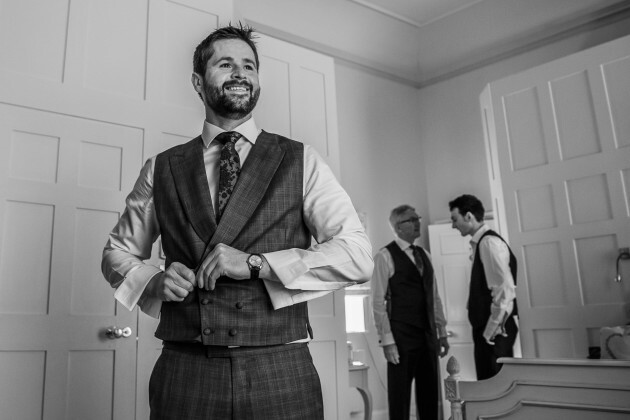 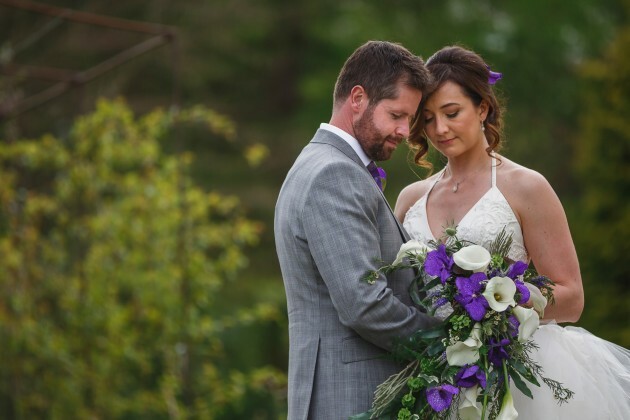 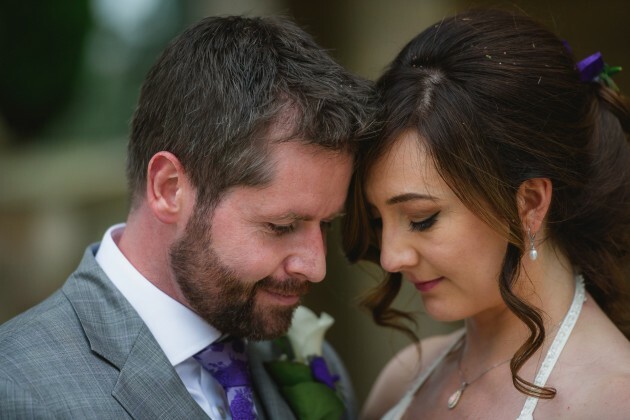 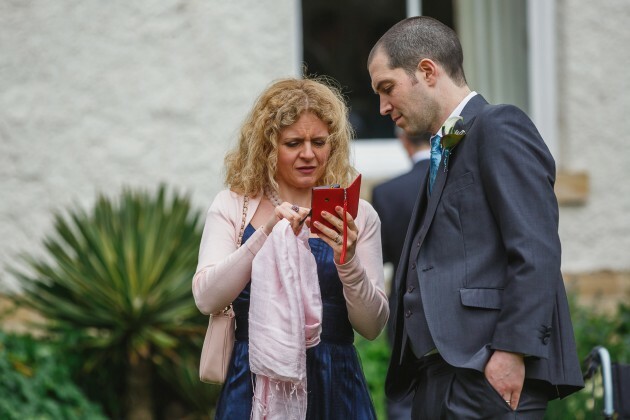 Their wedding day was always going to be relaxed, organised and beautiful, three words that we would say can also be used to sum up John and Helen. 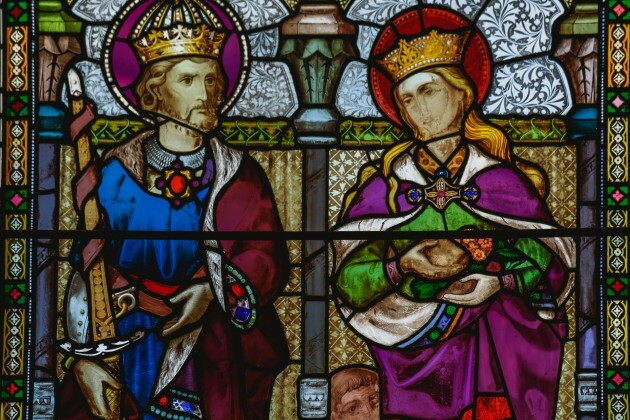 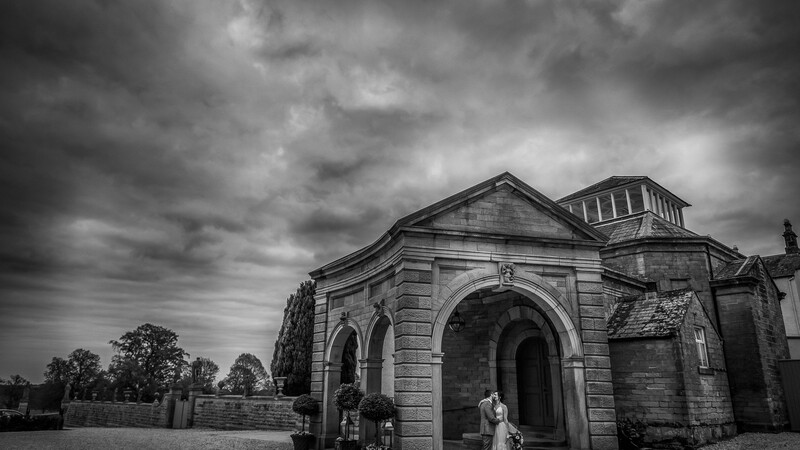 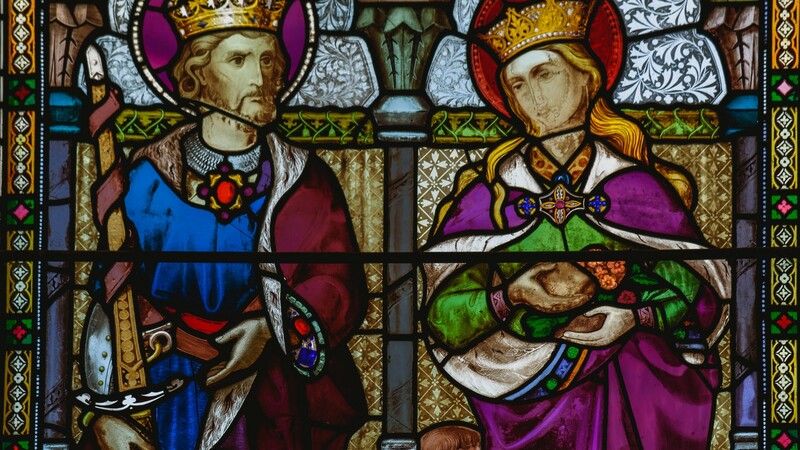 They weren't even phased on their pre wedding shoot at Auckland Castle when we had torrential rain. 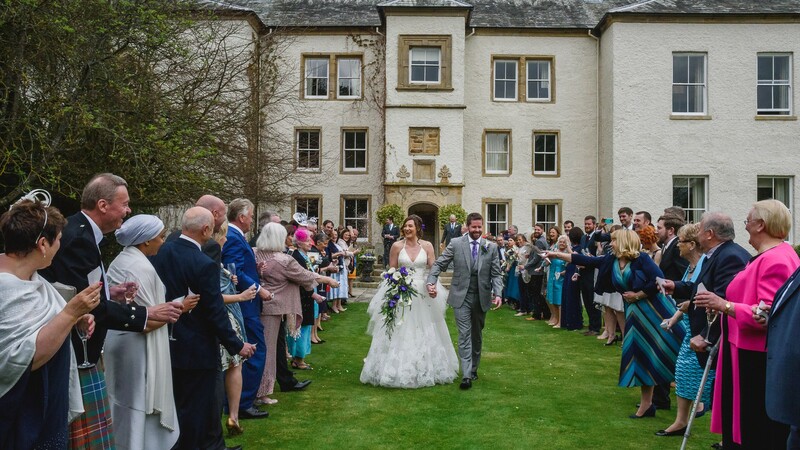 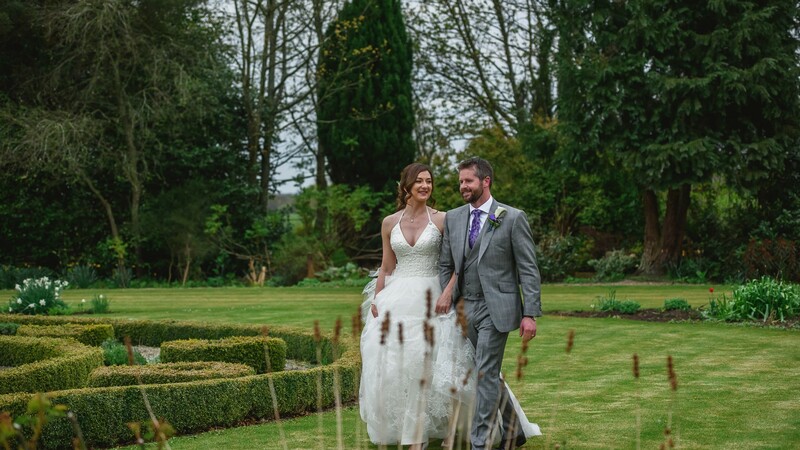 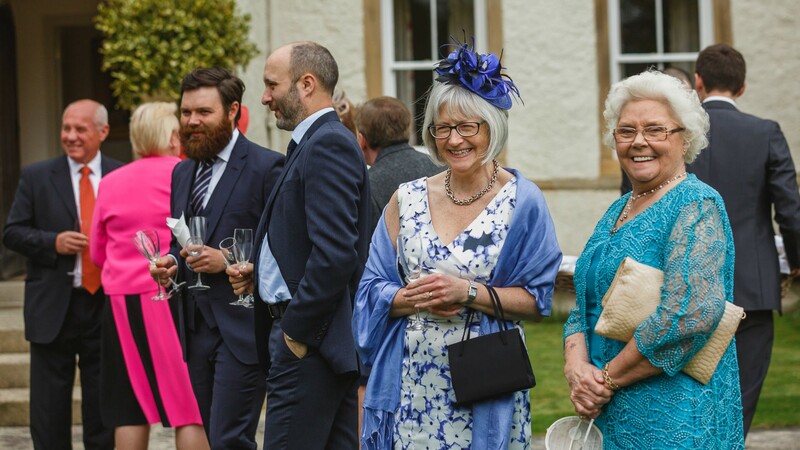 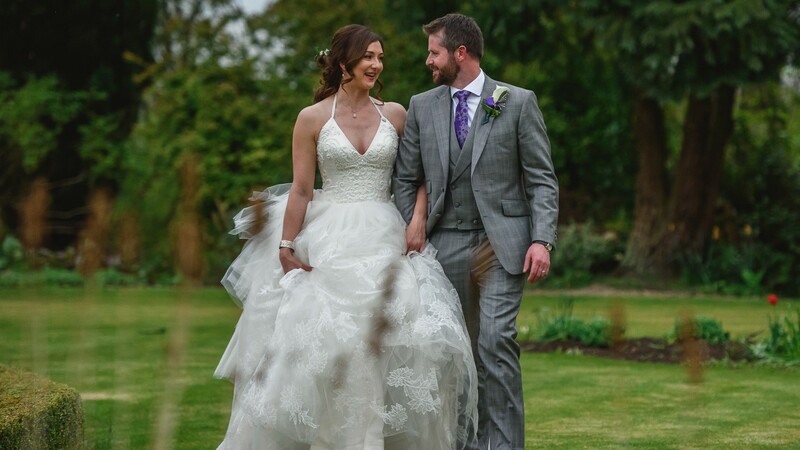 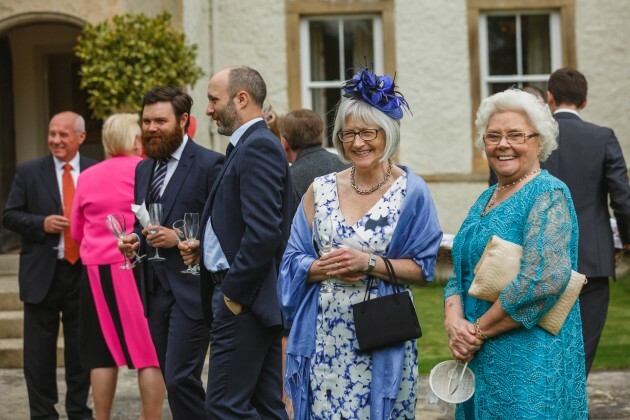 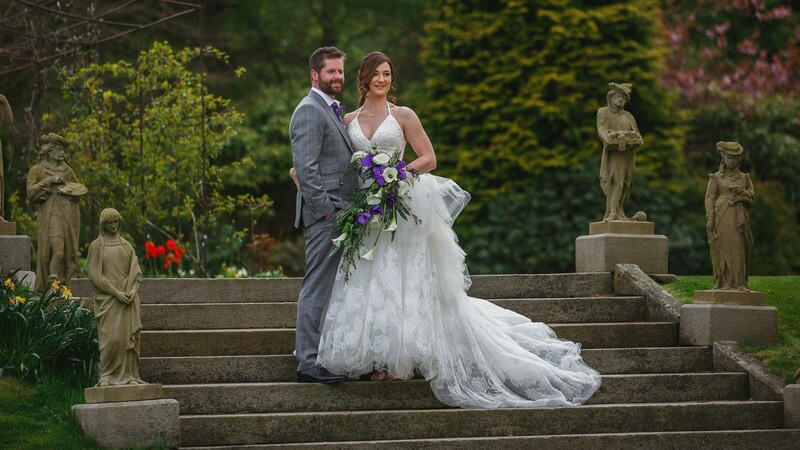 On their wedding day they were much luckier and had a perfect warm day for guests to enjoy the surrounding gardens at Lartington Hall. 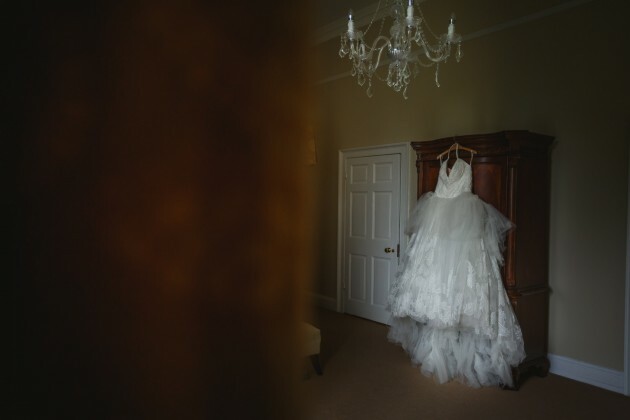 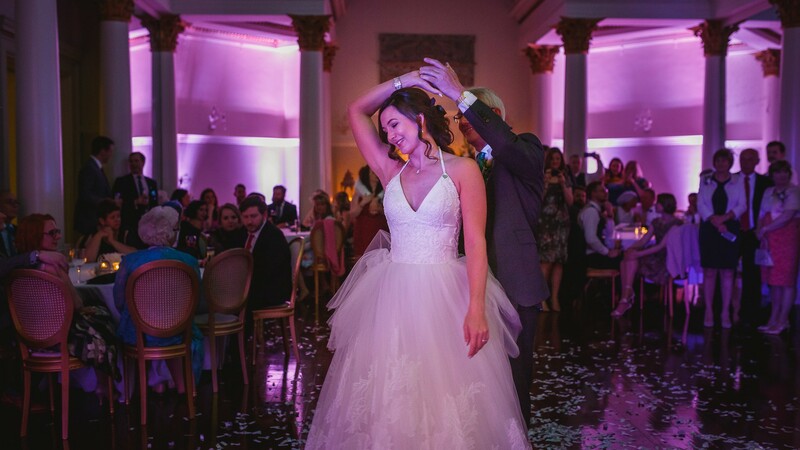 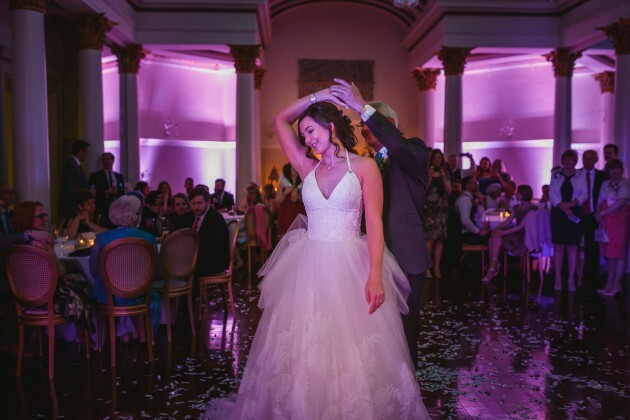 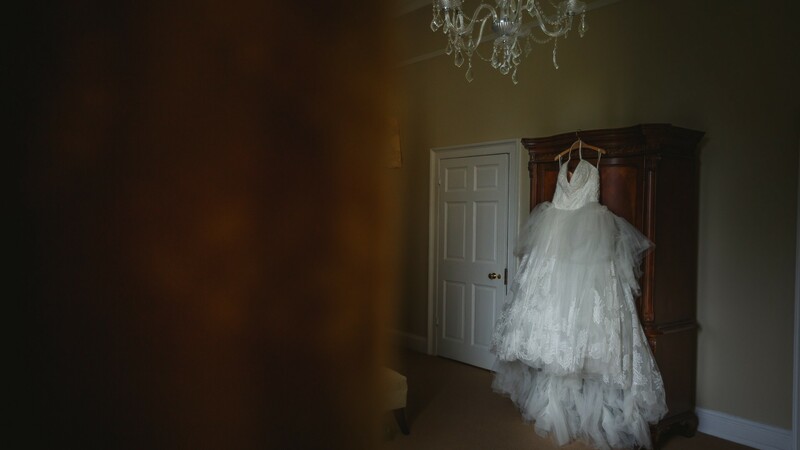 Helen's wedding gown was from designer Vera Wang and was named Odette, which was very apt as Helen danced a lot in her younger days and her favourite ballet is Swan Lake. 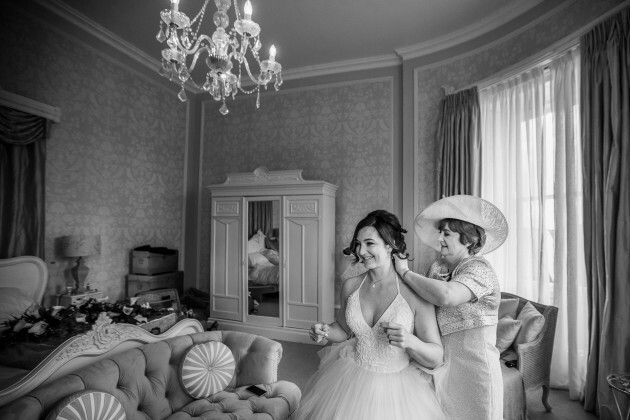 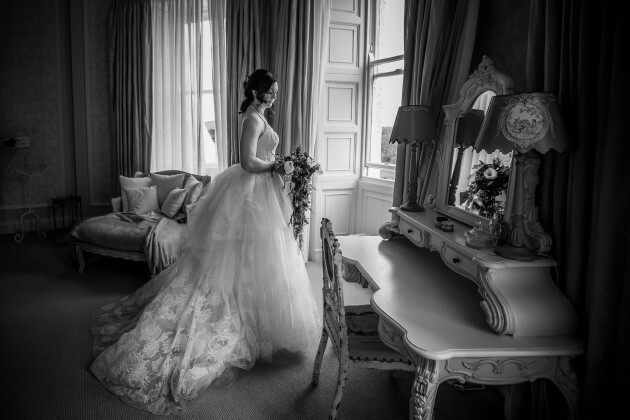 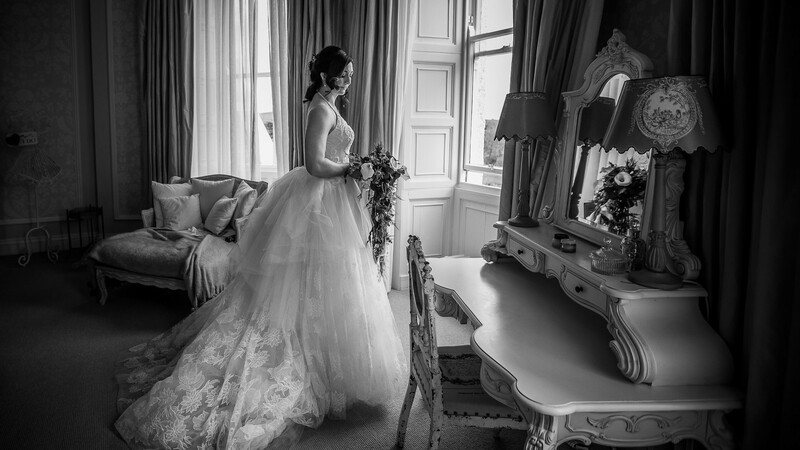 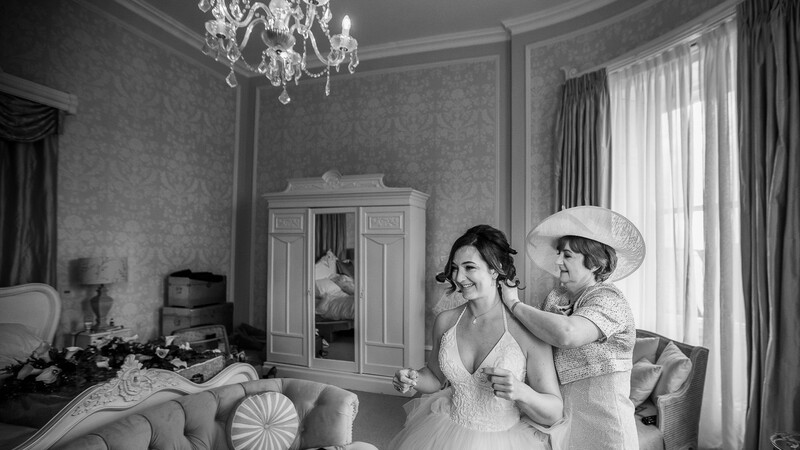 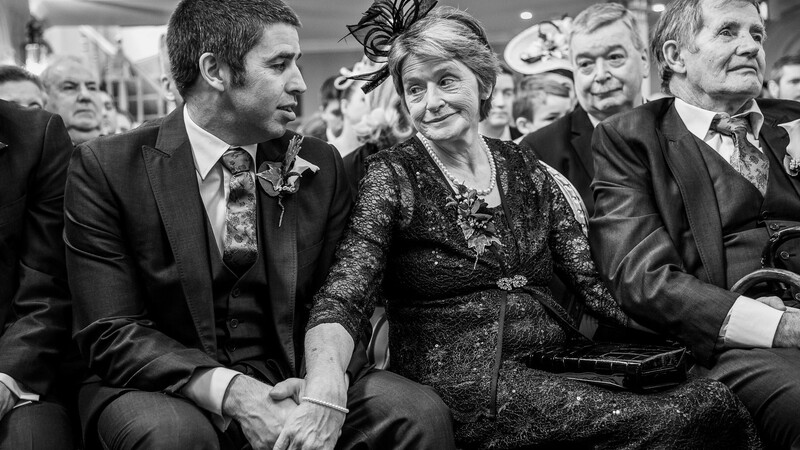 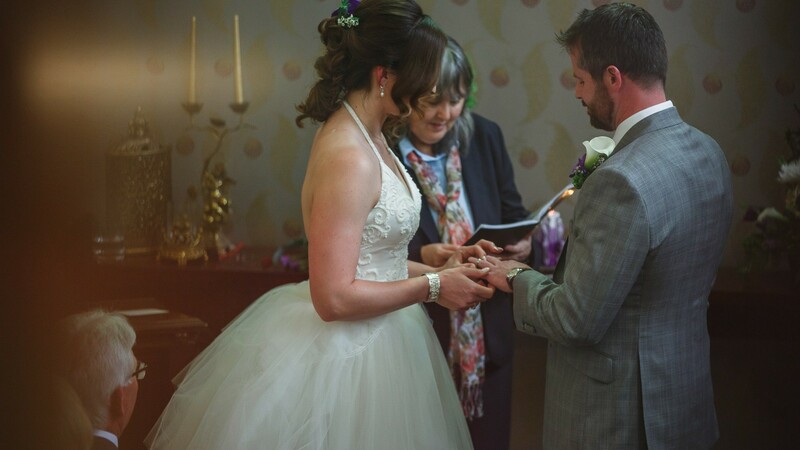 On top of this Helen's mum is a seamstress and customised the bodice of her dress, it really was exceptionally stunning.